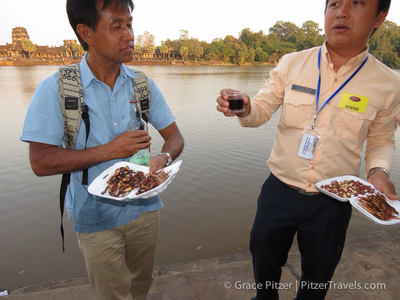 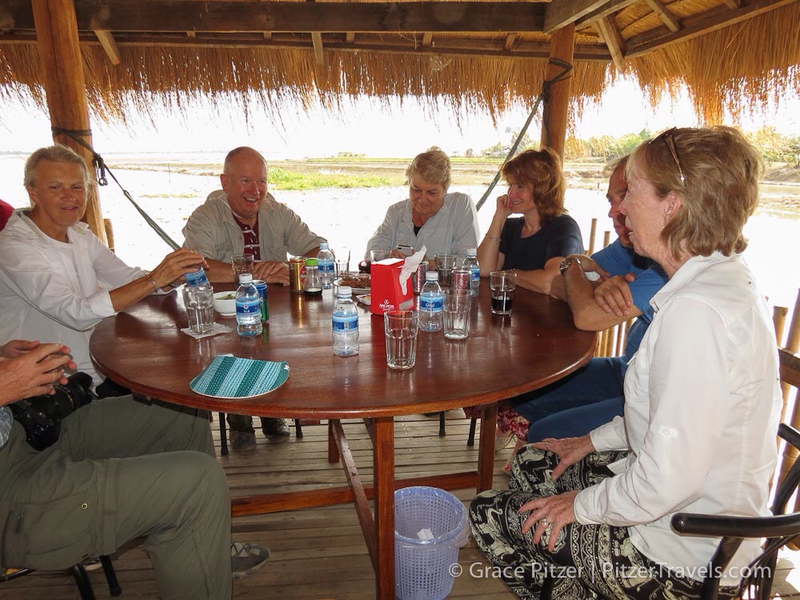 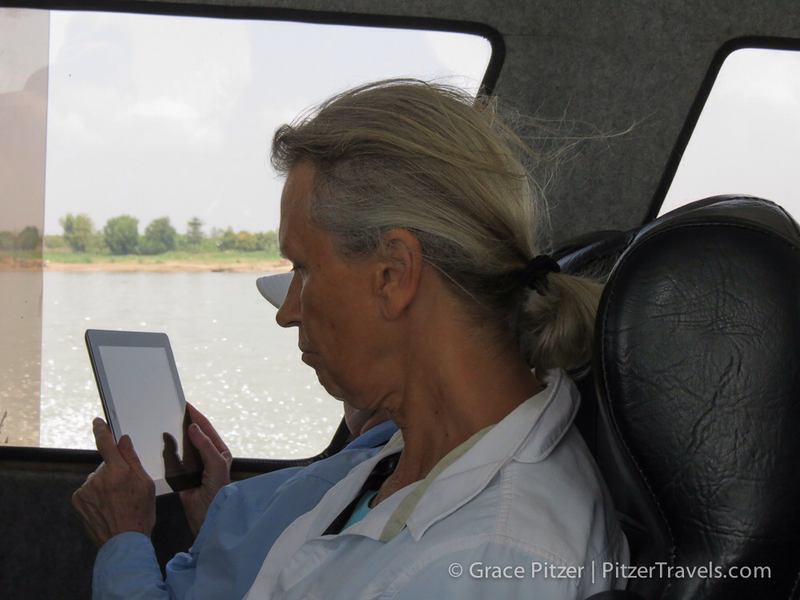 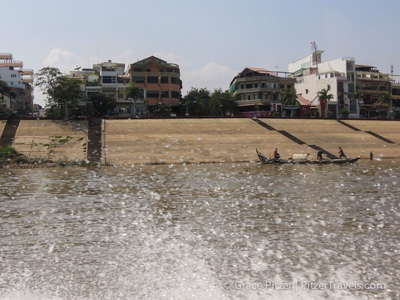 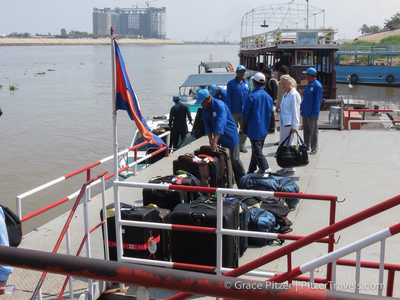 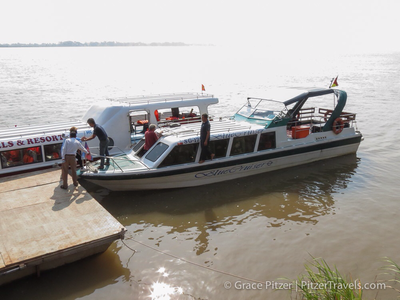 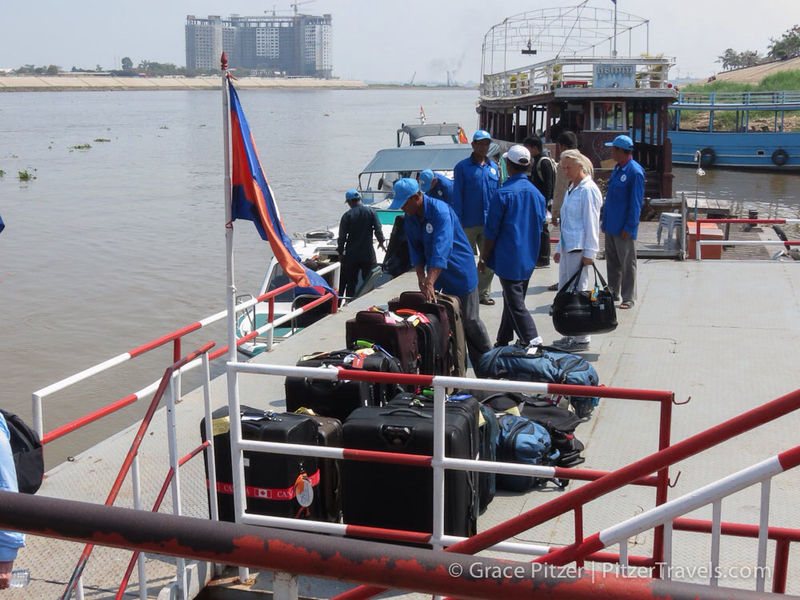 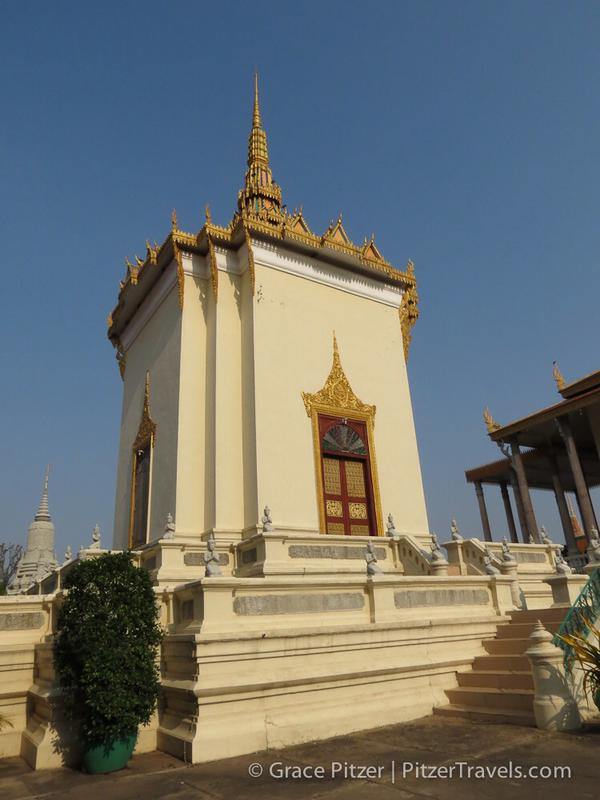 It took a full morning on a speed boat on the Mekong River to go from Chau Doc, Vietnam to Phnom Penh, Cambodia. 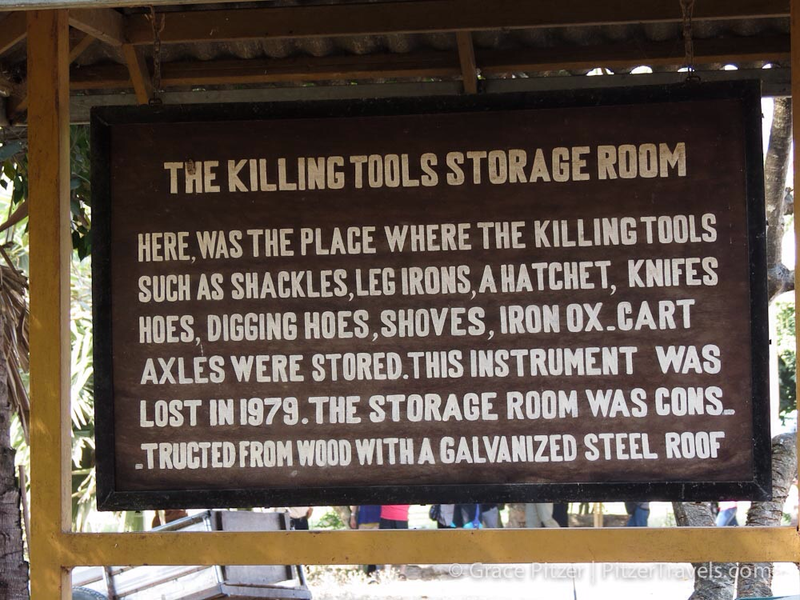 We stayed there two days. 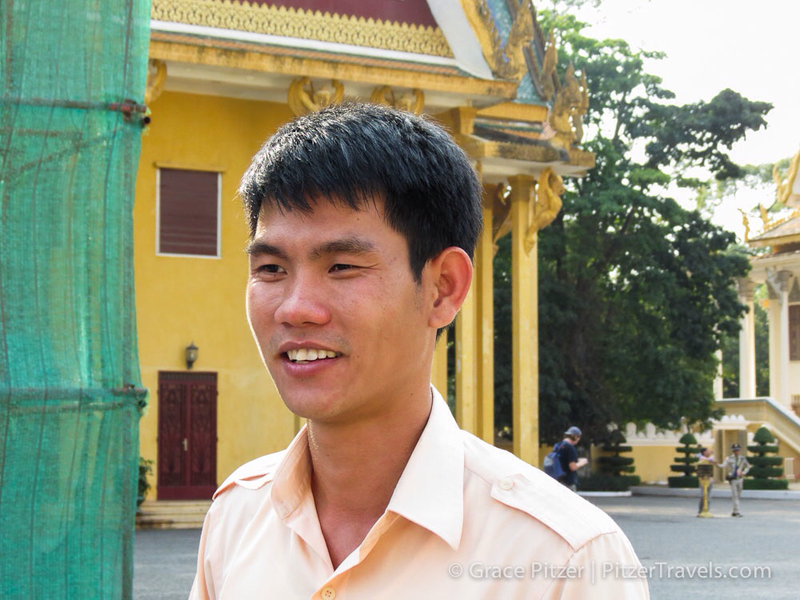 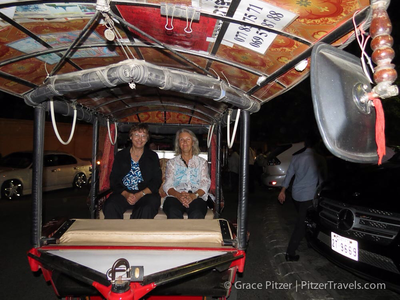 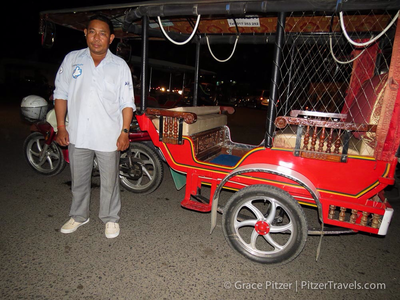 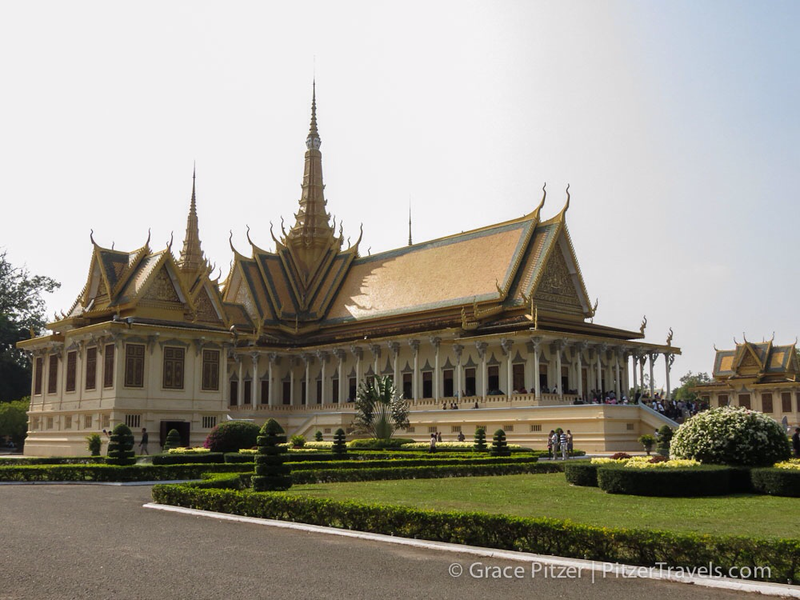 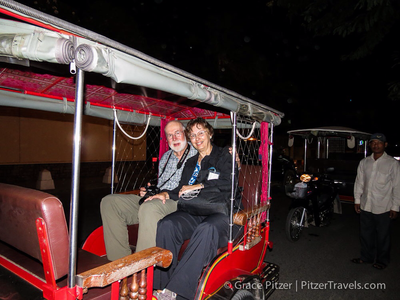 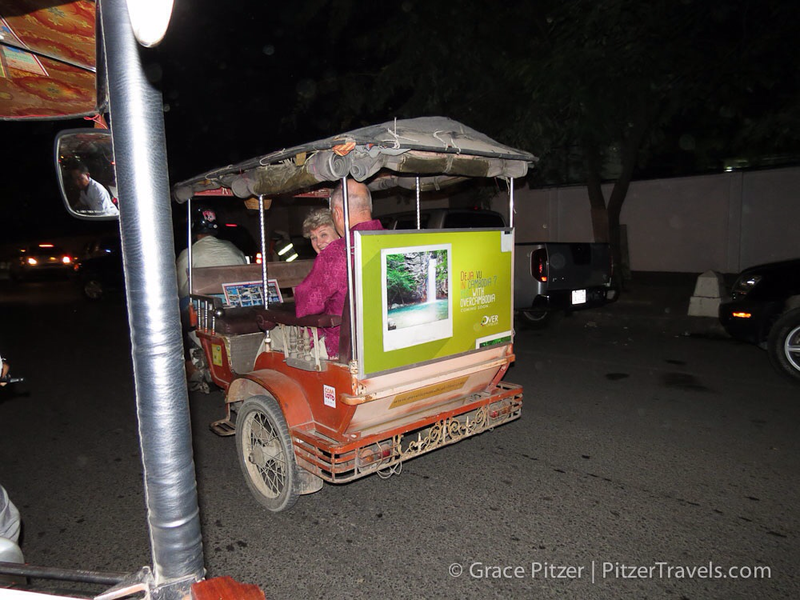 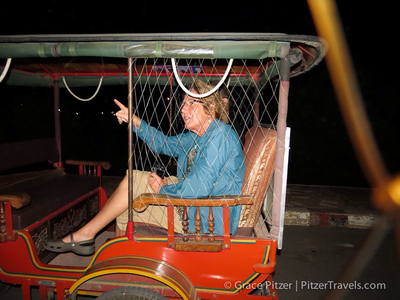 In Phnom Penh we added smaller Tuk Tuks and motorized rickshaws to the forms of transportation we had used. 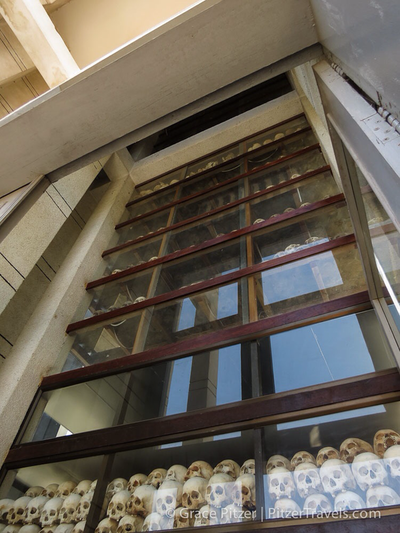 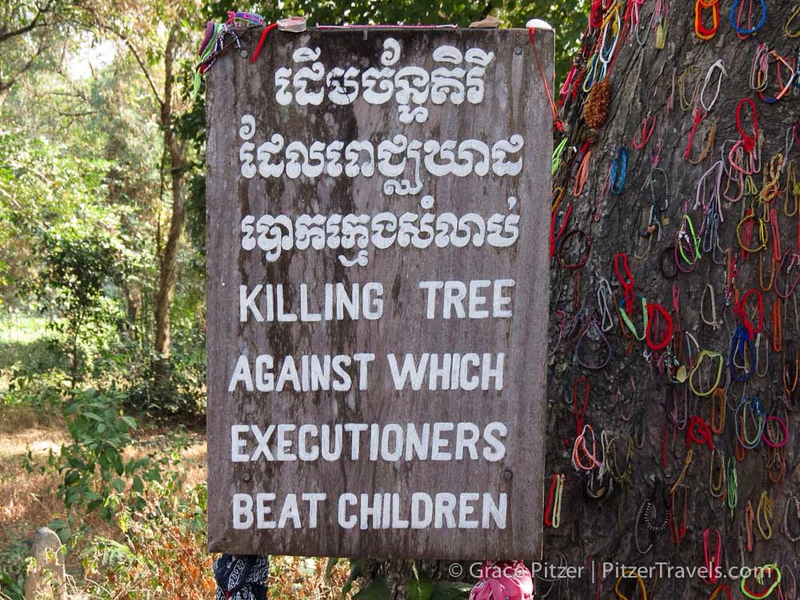 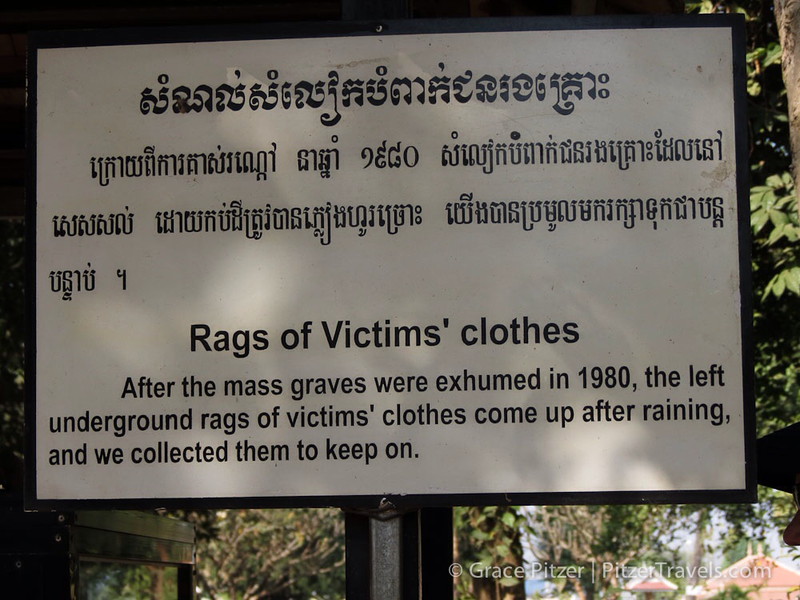 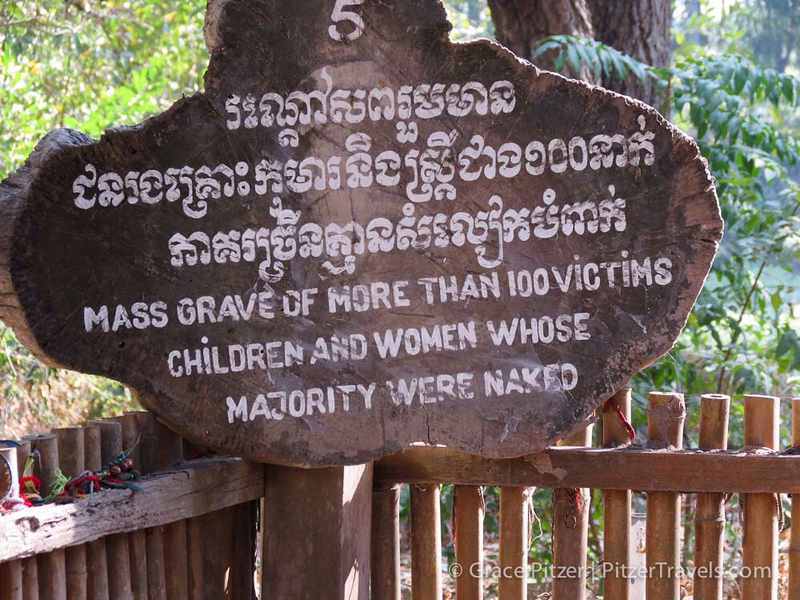 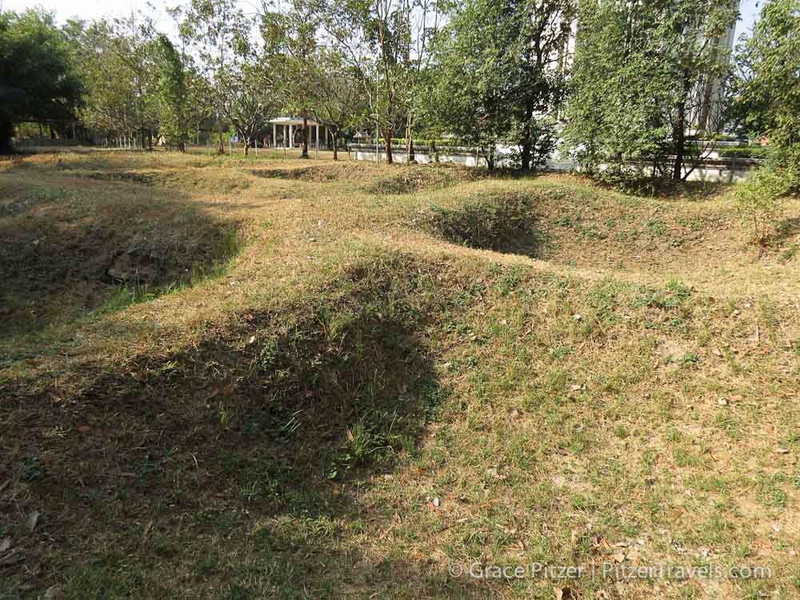 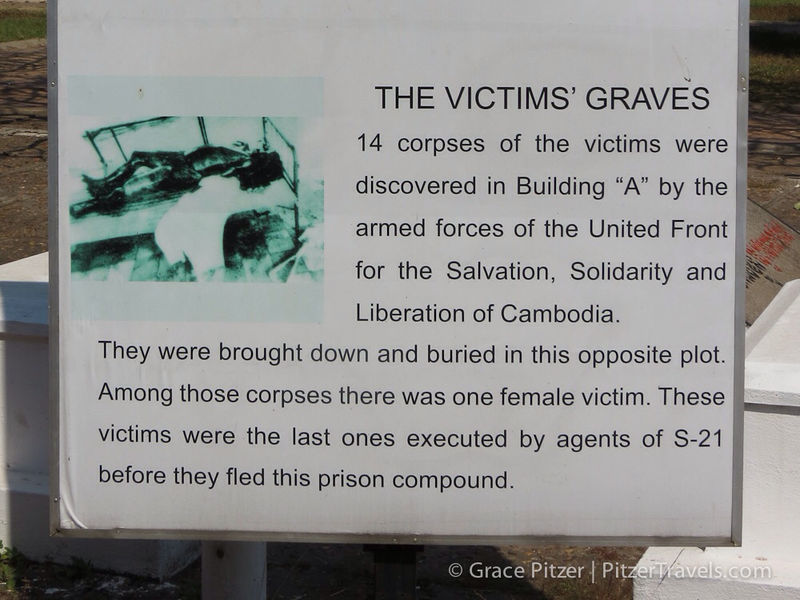 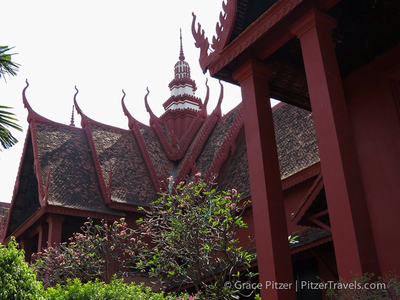 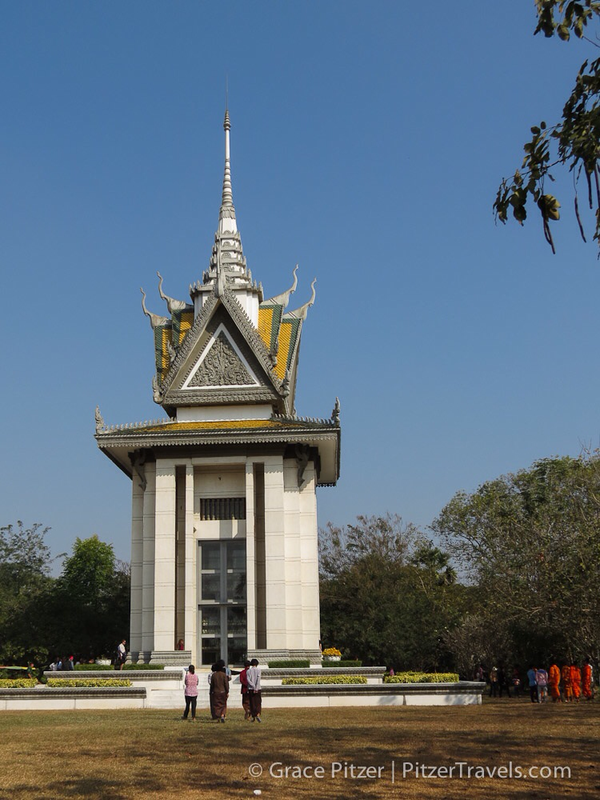 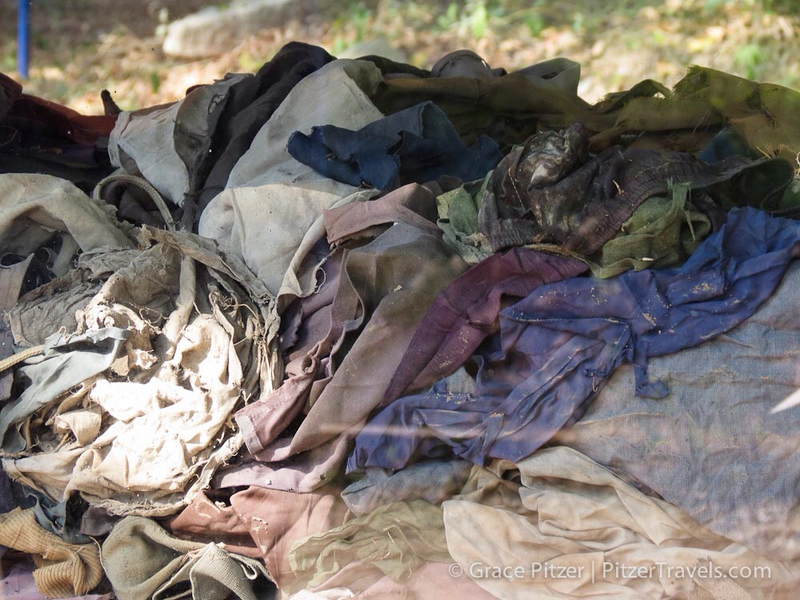 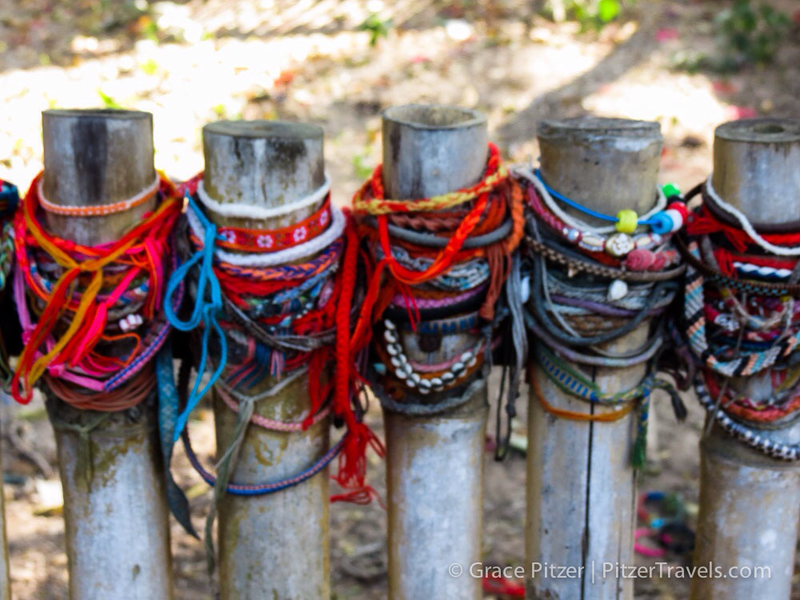 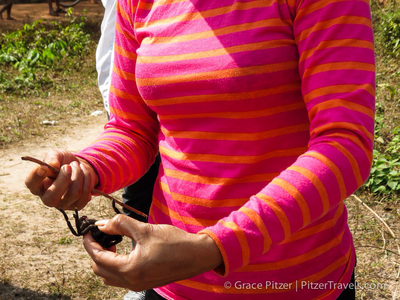 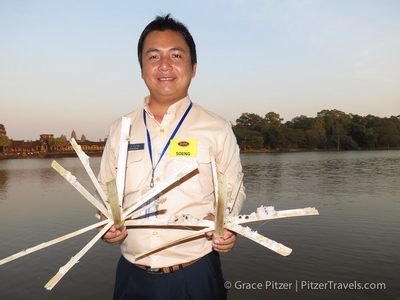 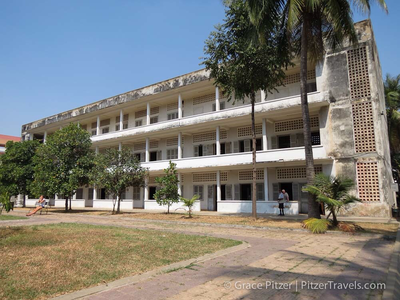 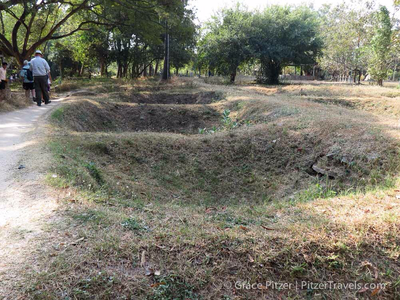 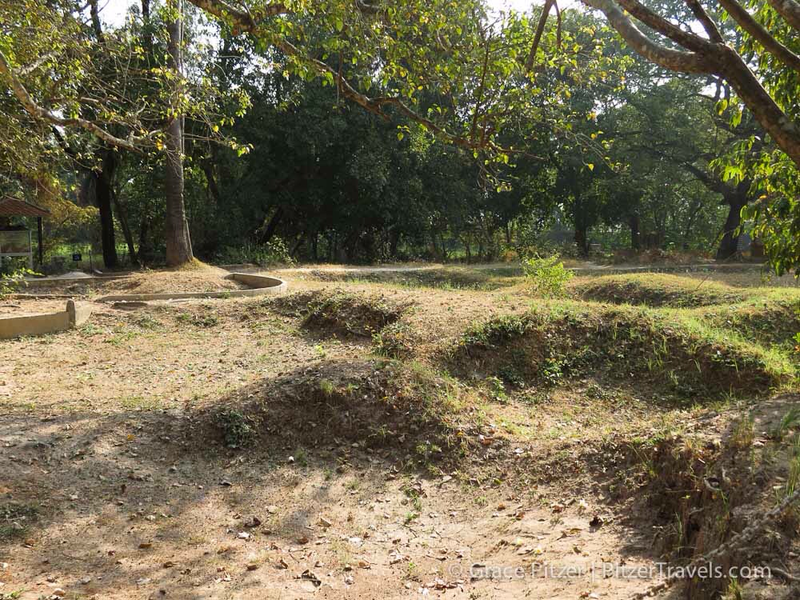 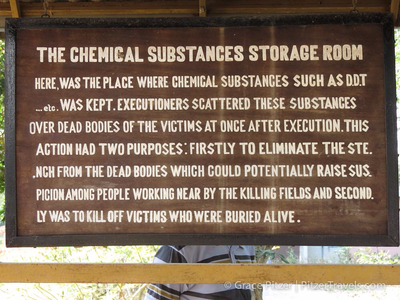 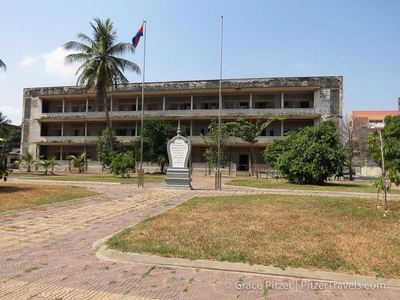 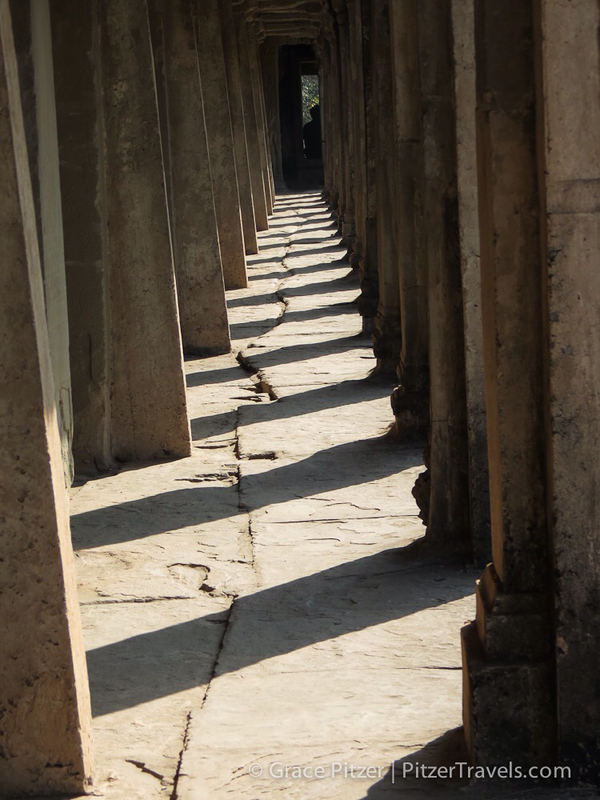 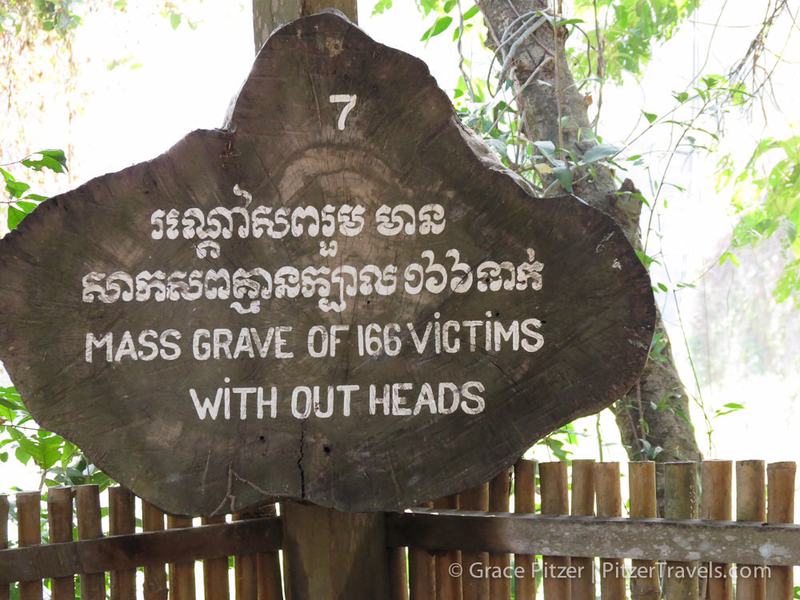 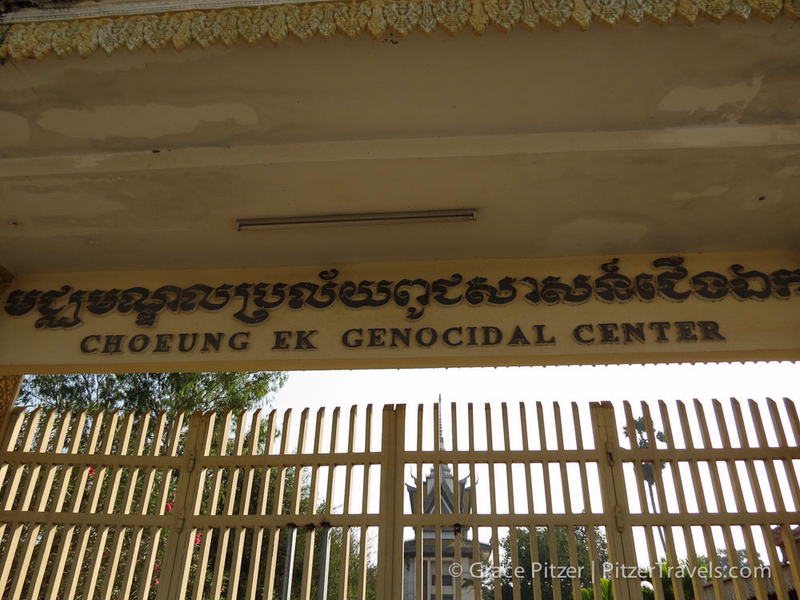 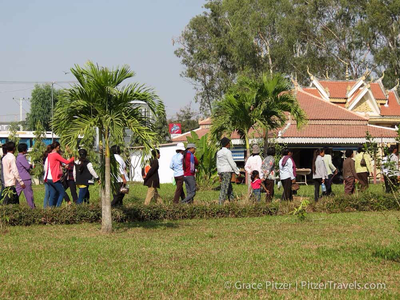 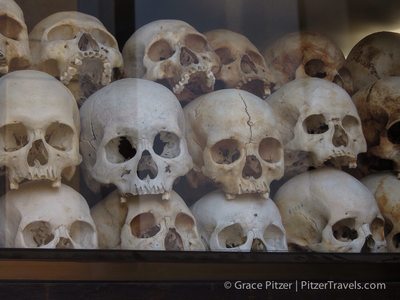 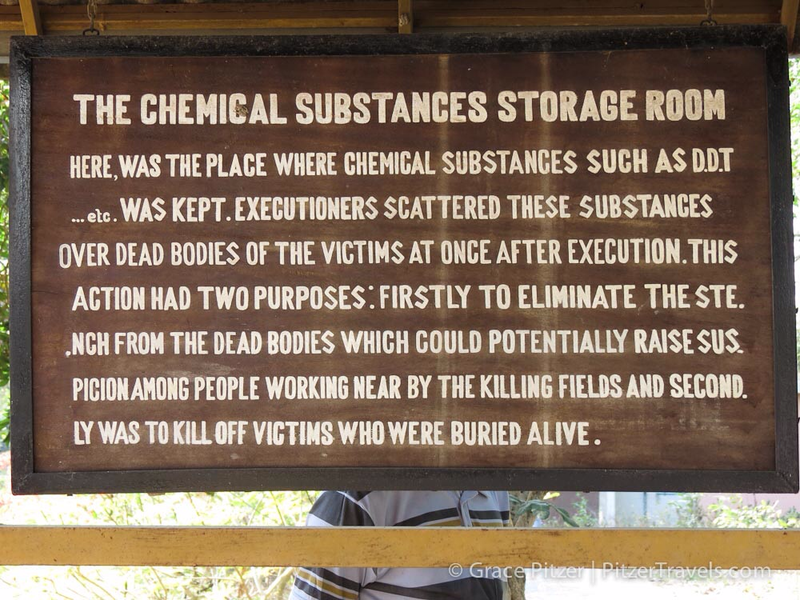 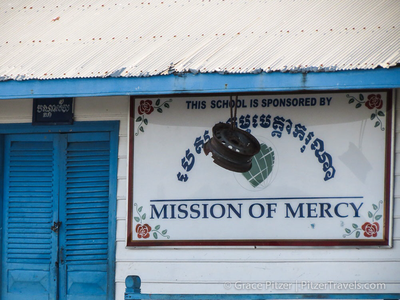 Visits to the Killing Fields and Prison Museum were a sobering reminder of the horrors of war in this area. 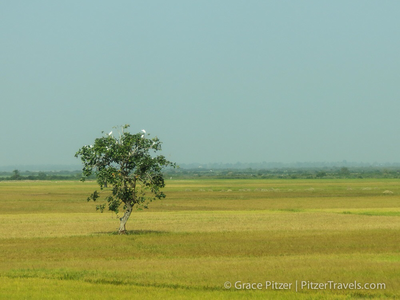 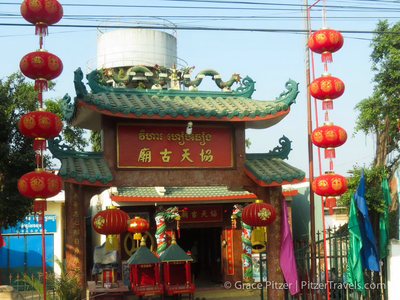 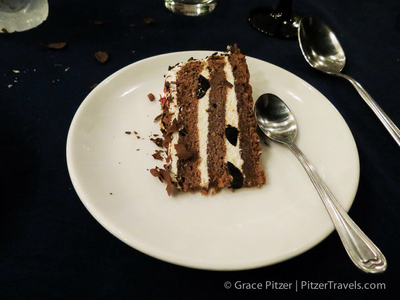 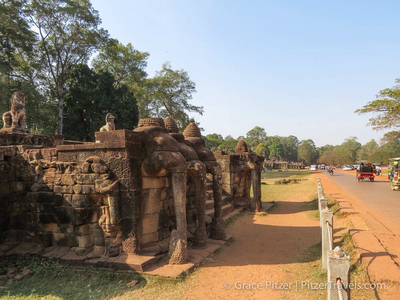 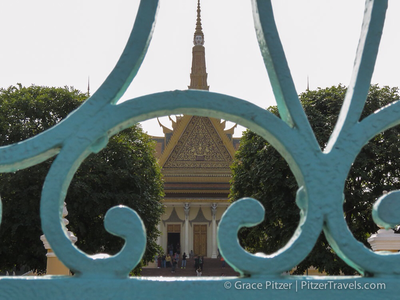 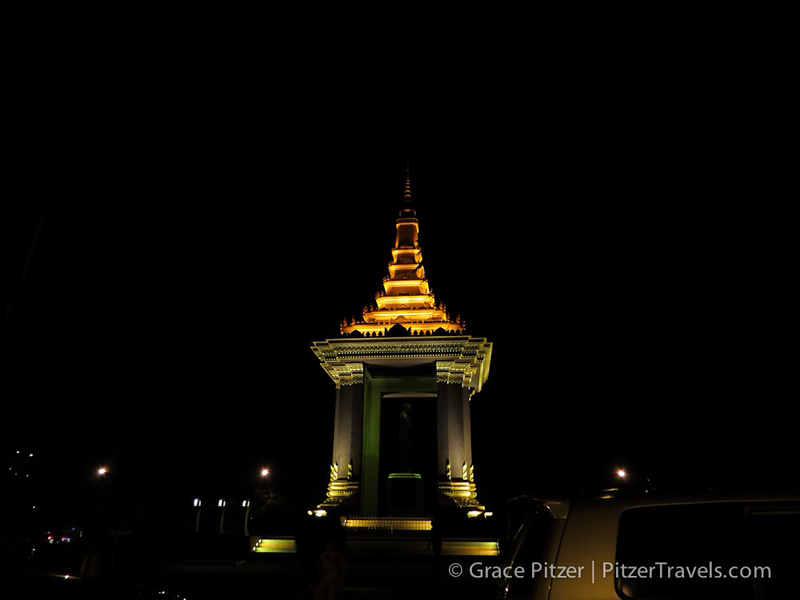 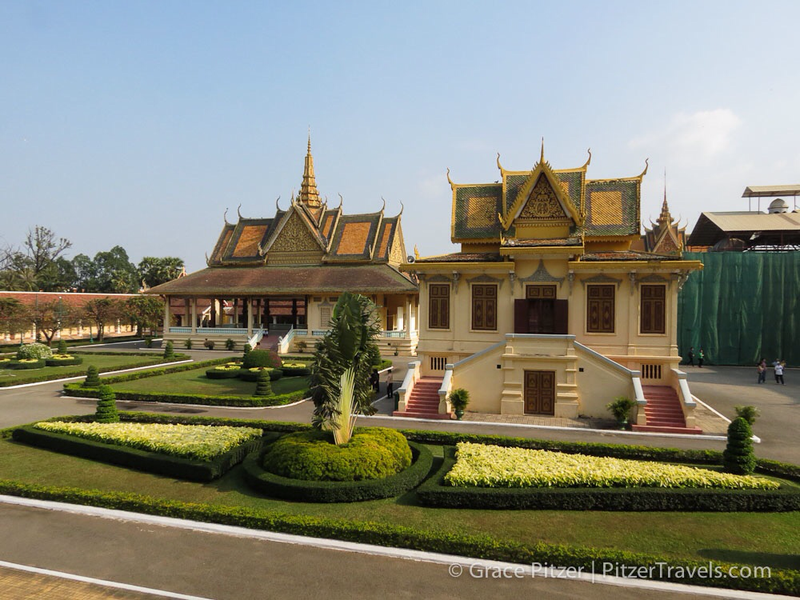 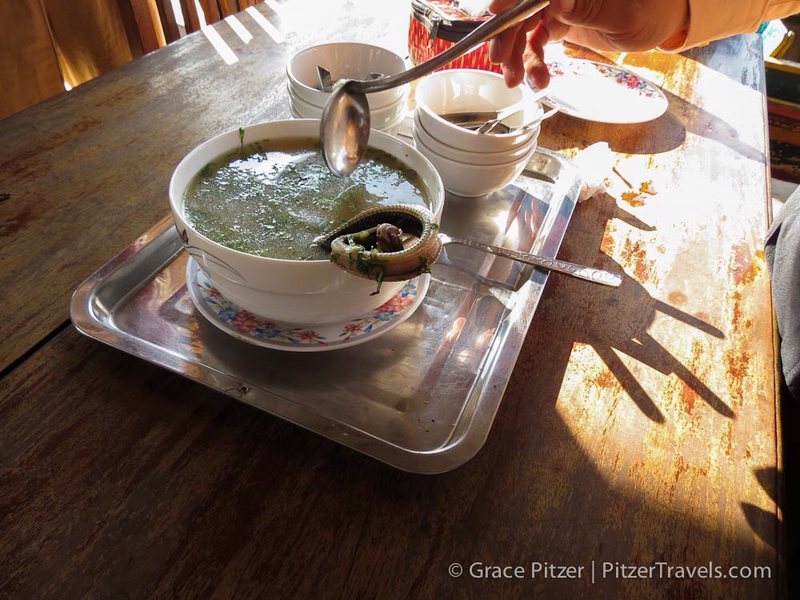 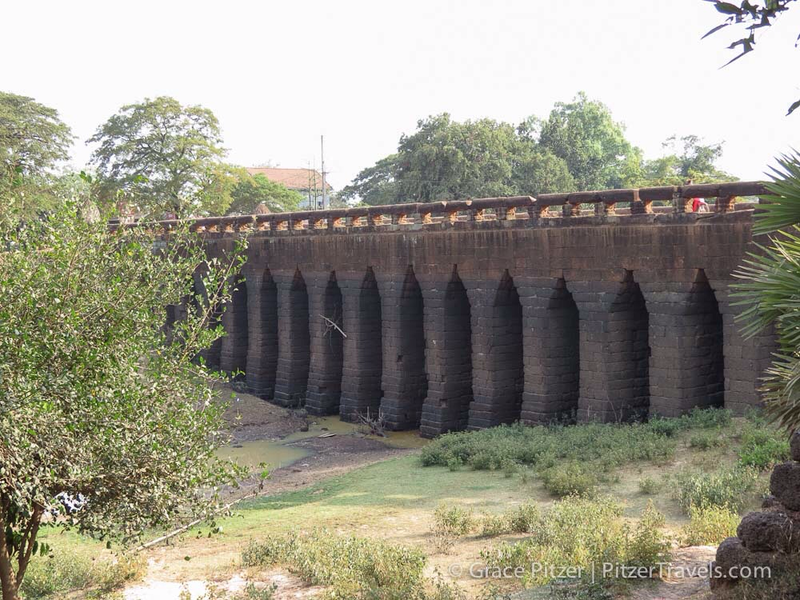 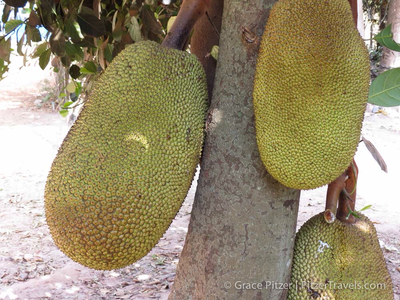 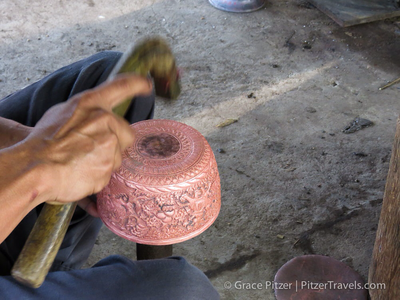 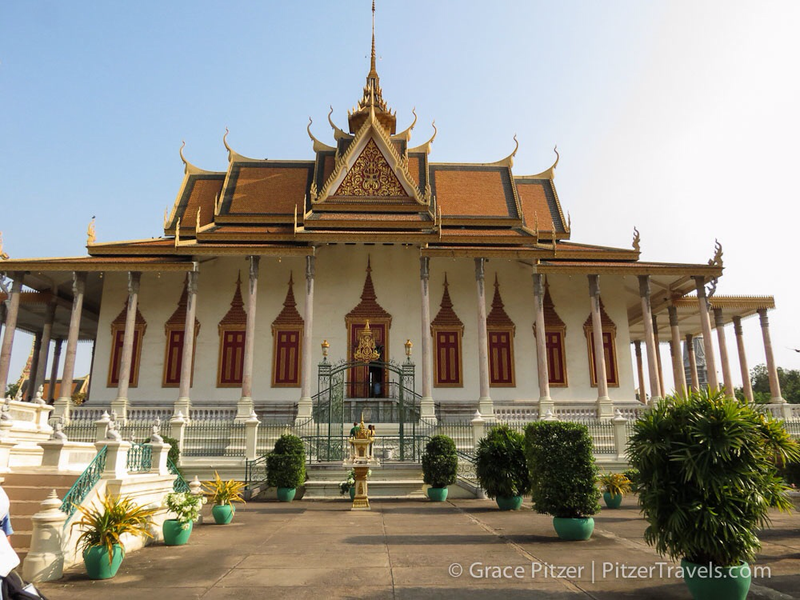 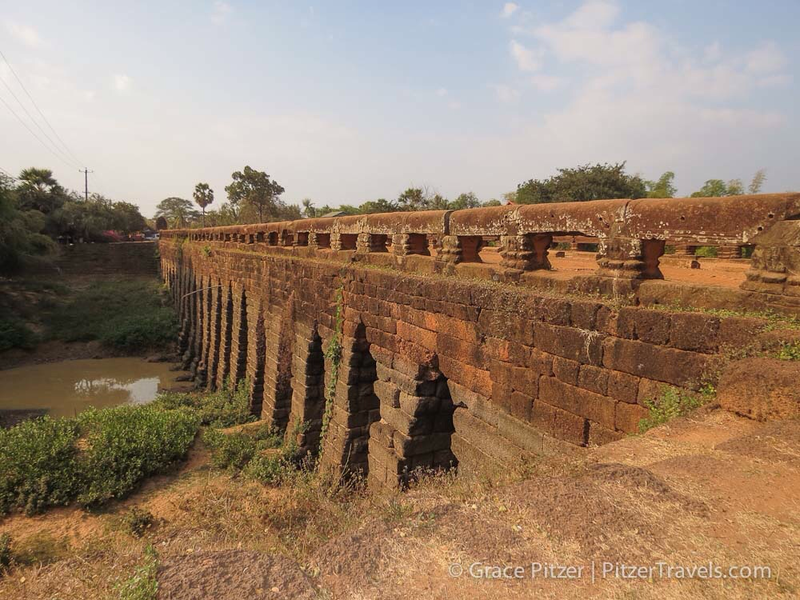 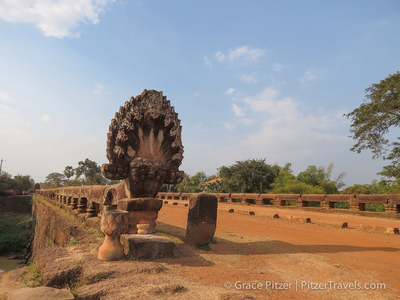 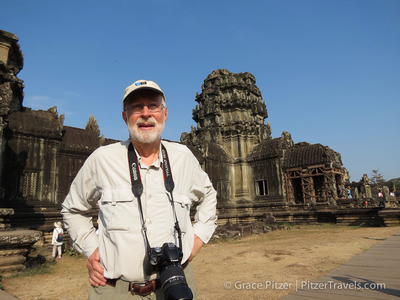 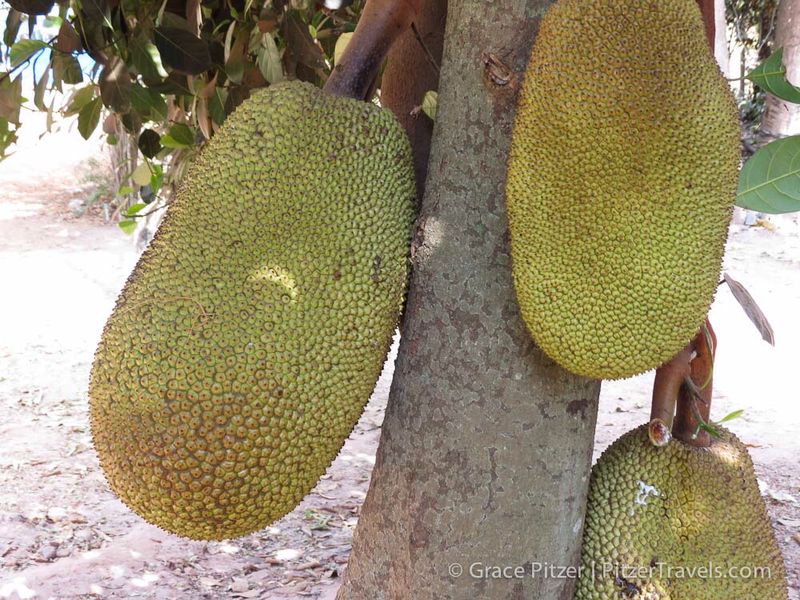 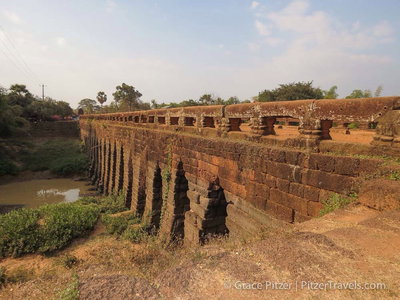 It was a long day’s drive from Phnom Penh to Siem Reap, with stops along the way. 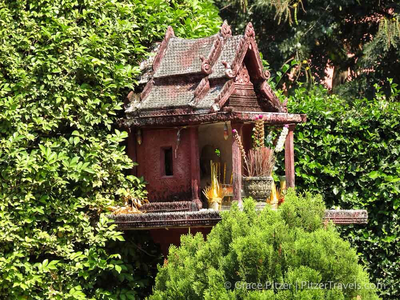 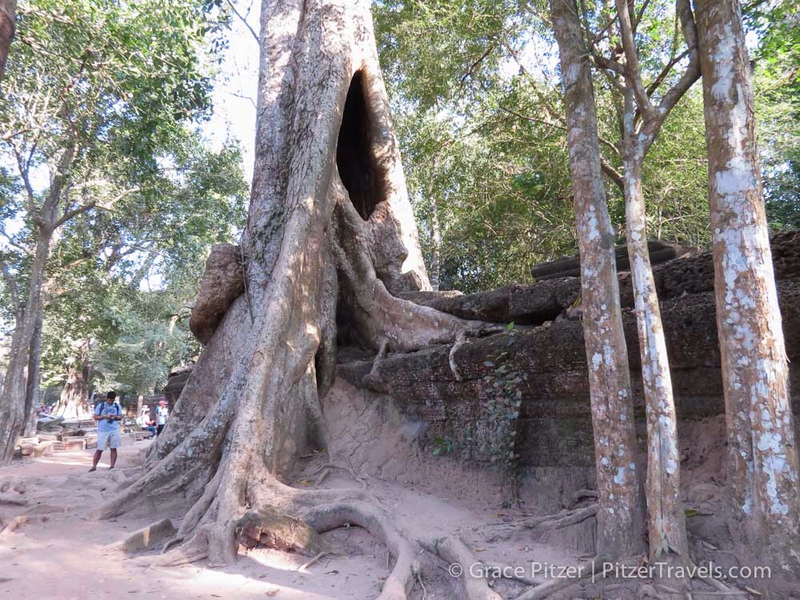 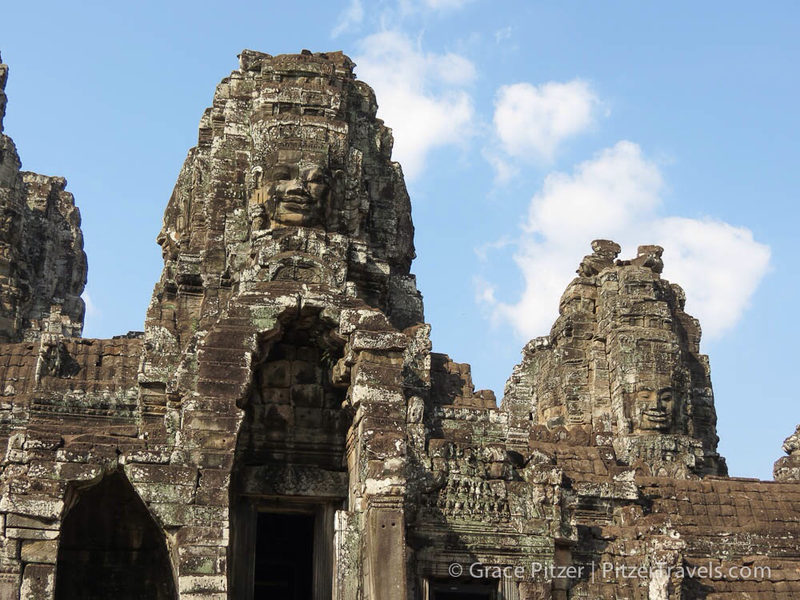 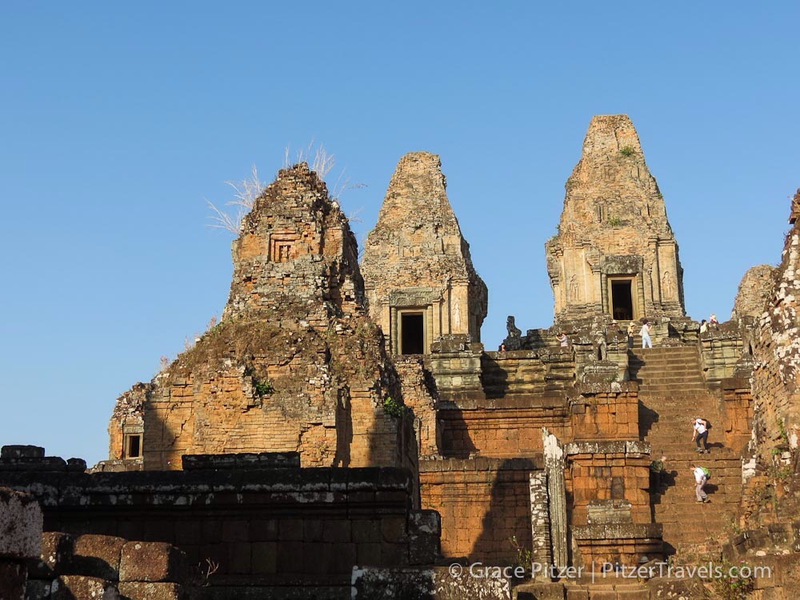 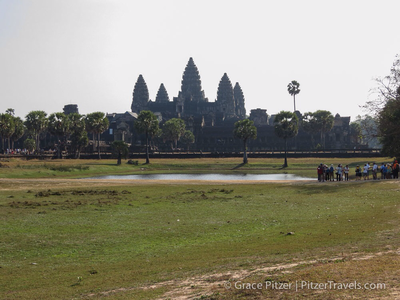 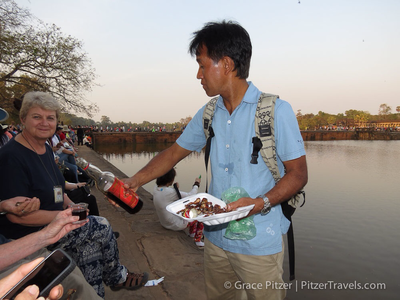 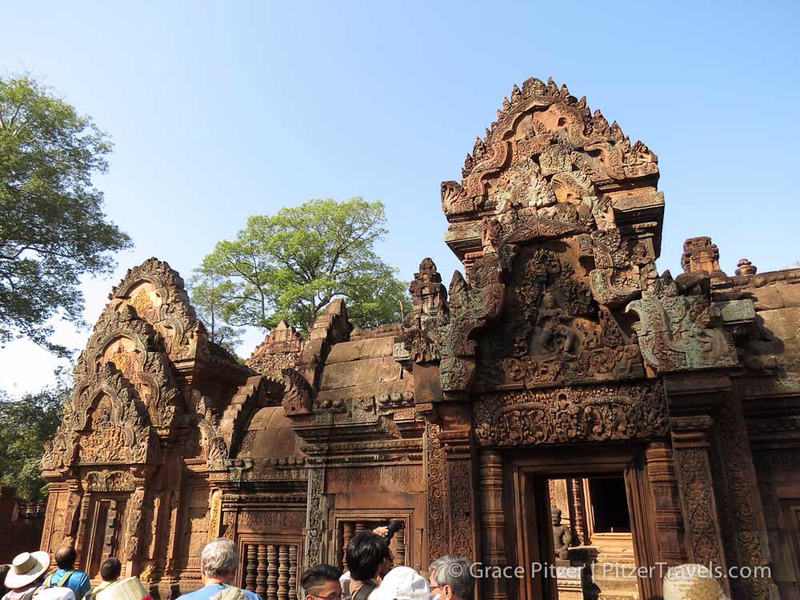 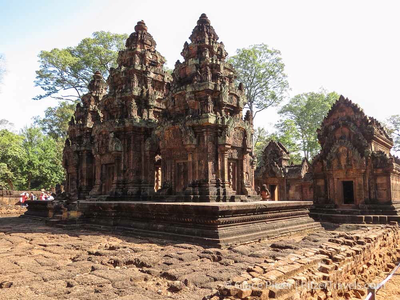 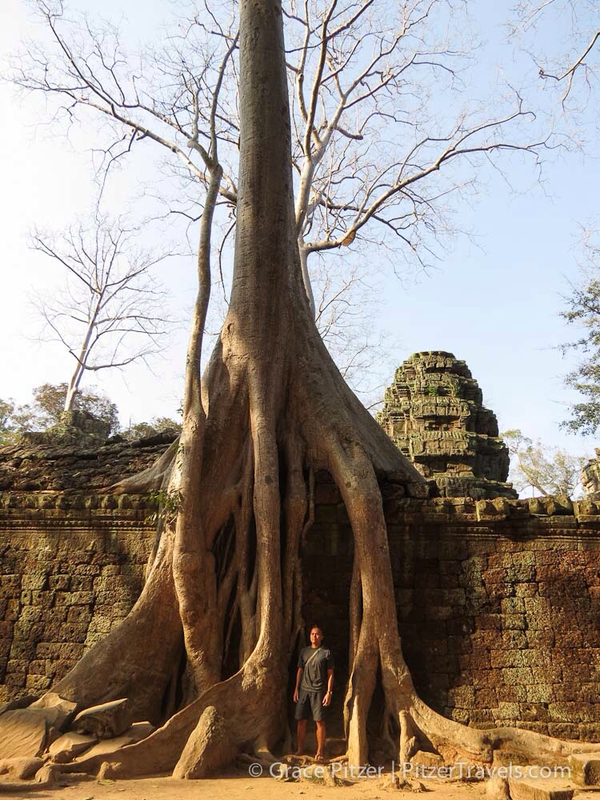 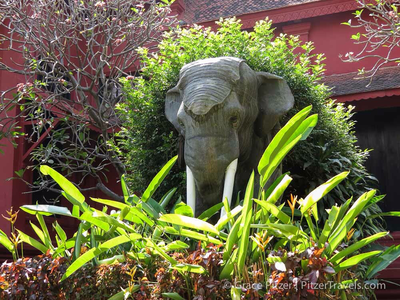 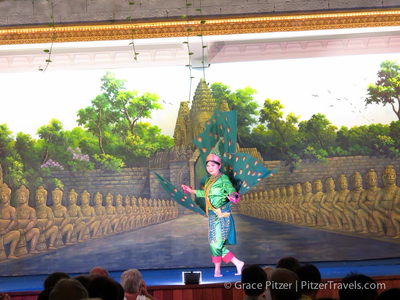 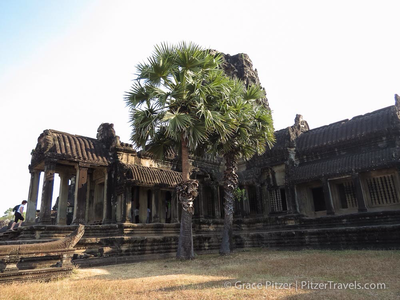 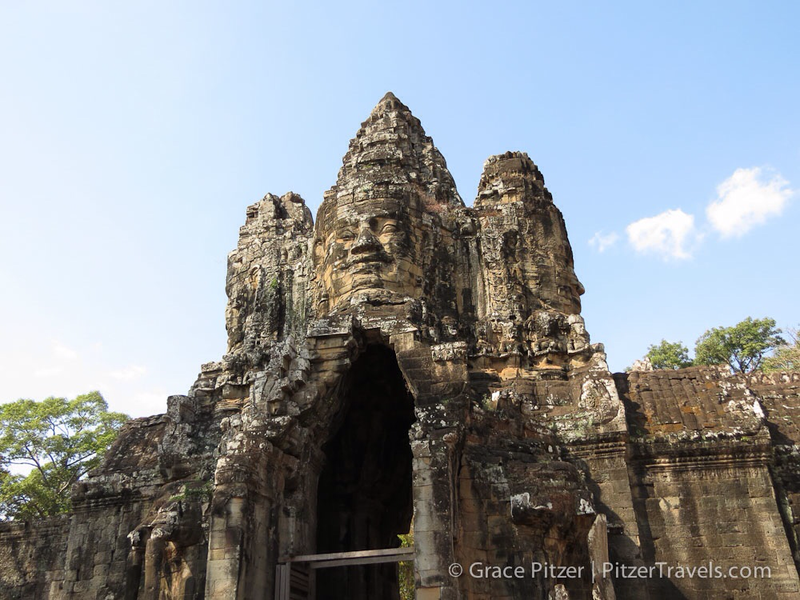 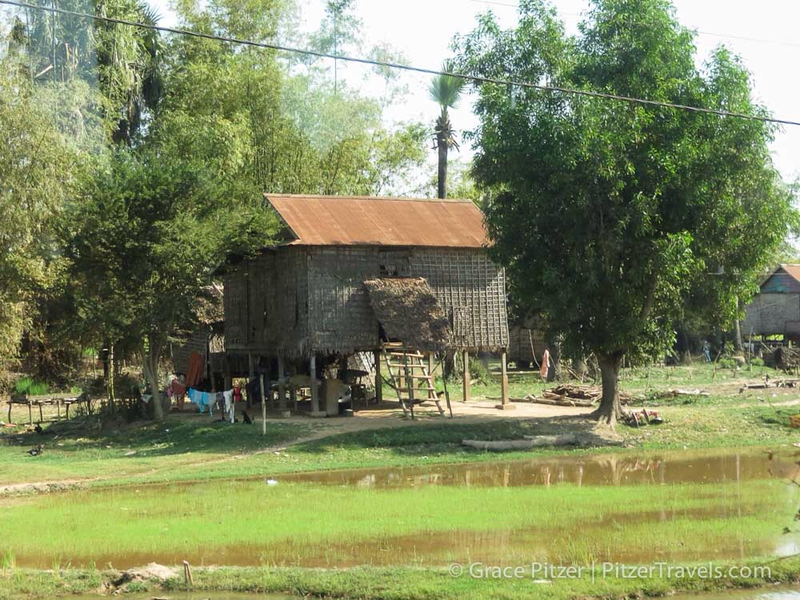 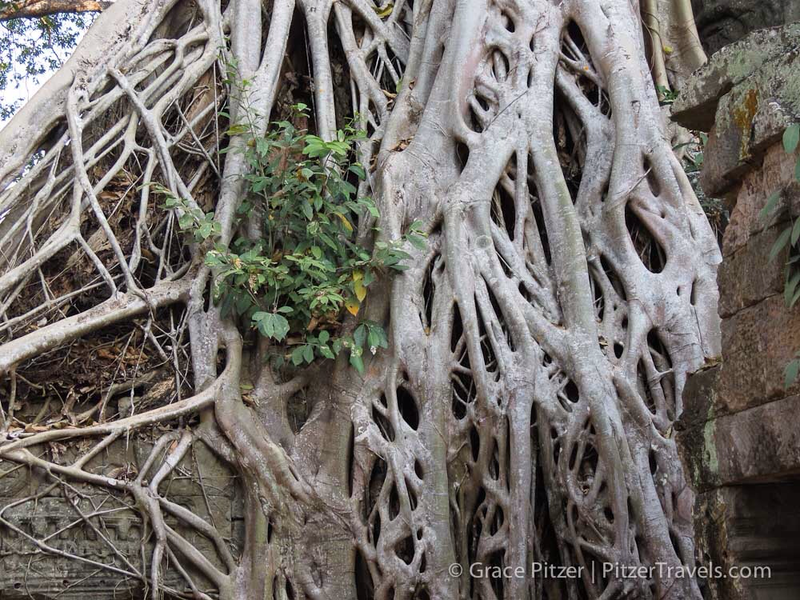 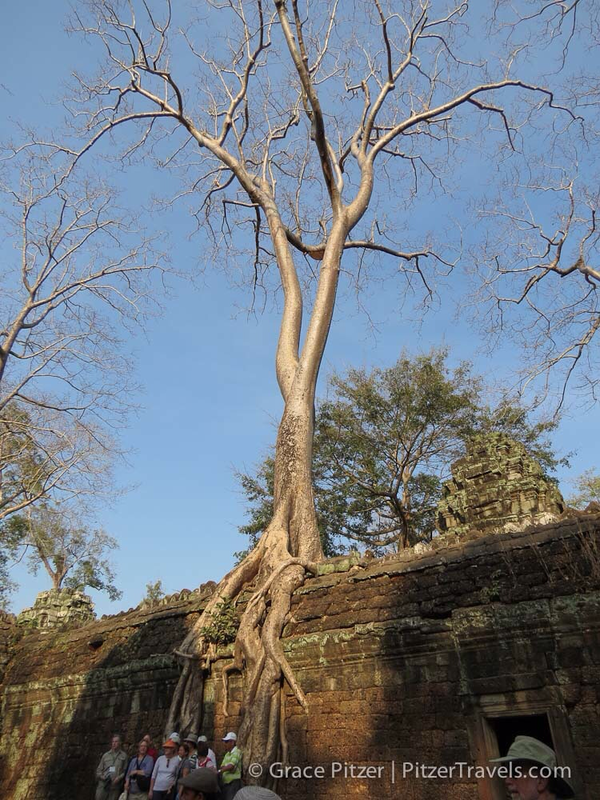 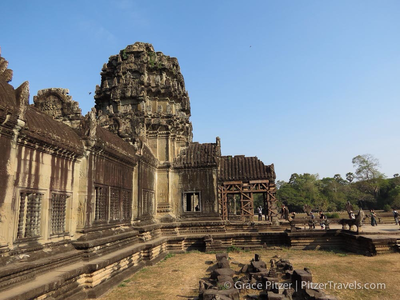 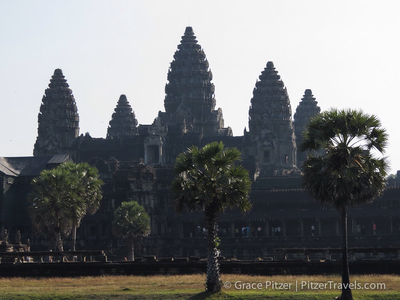 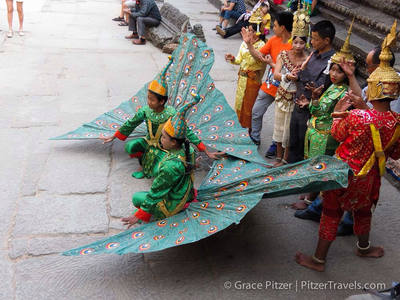 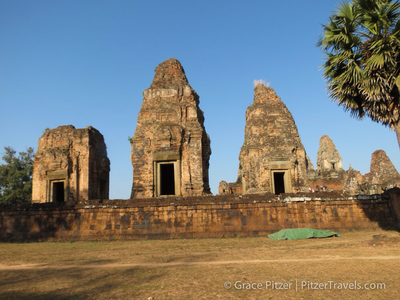 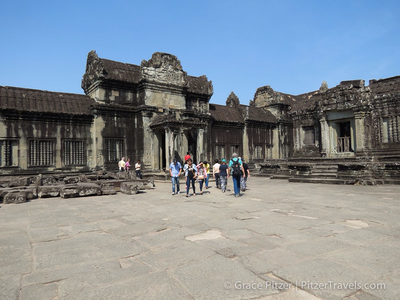 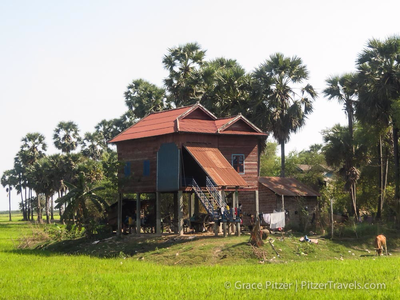 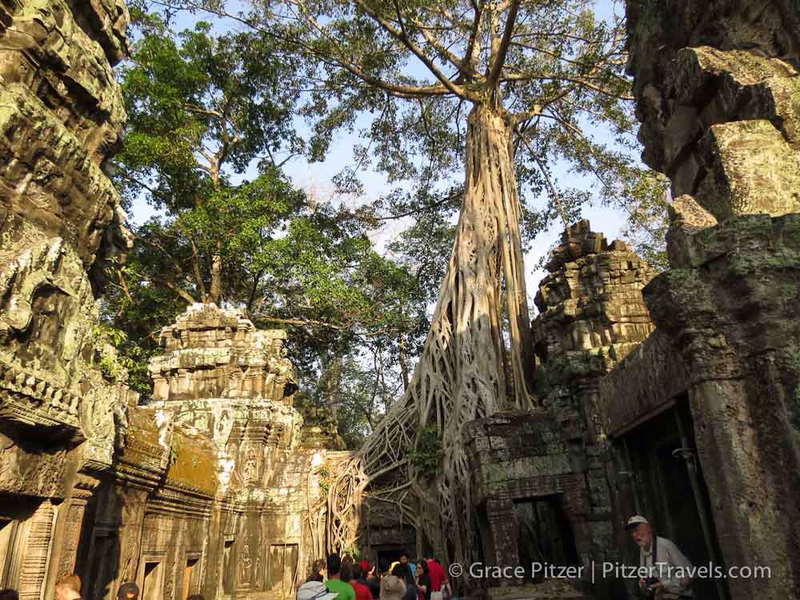 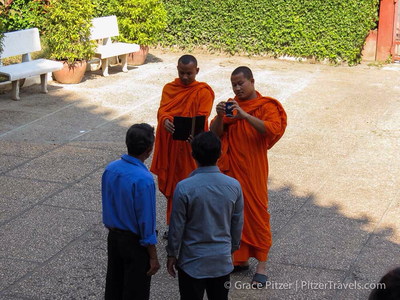 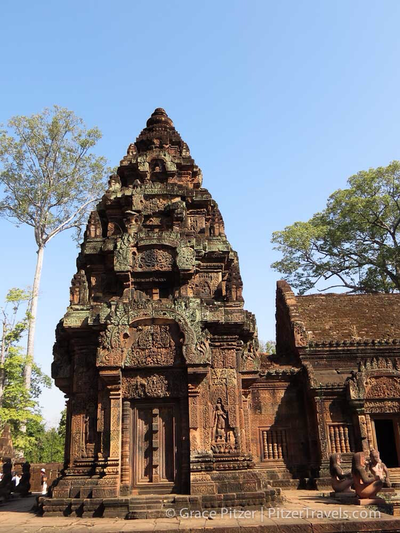 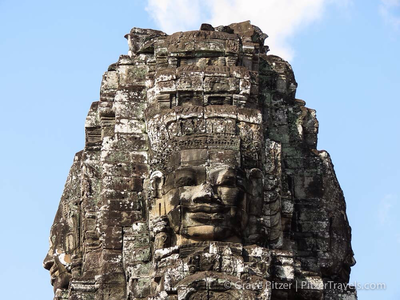 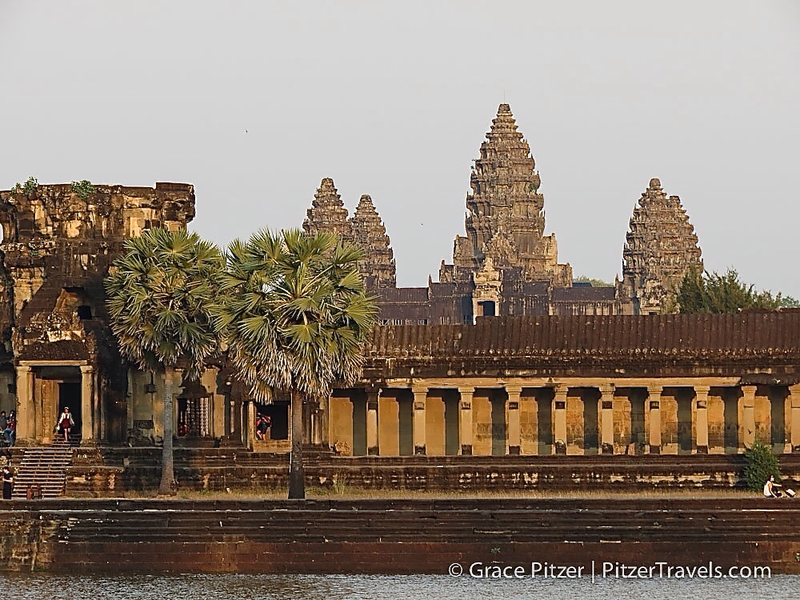 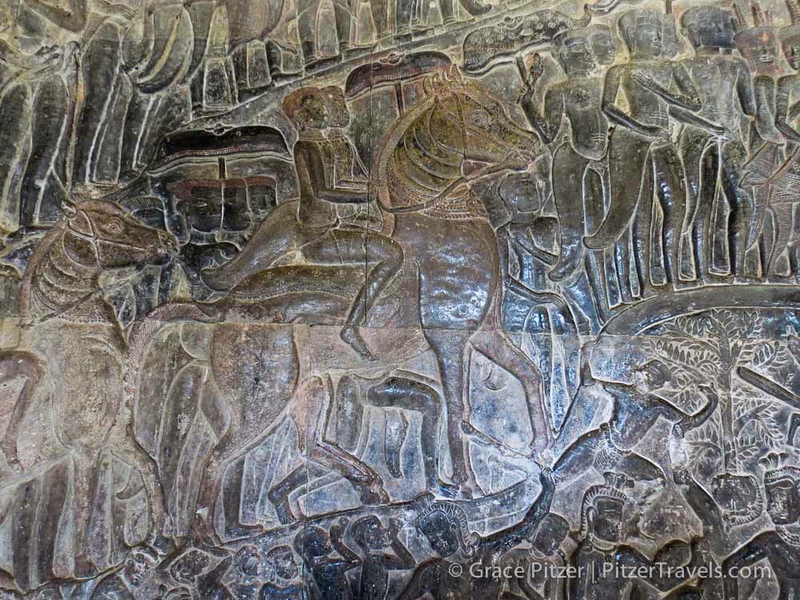 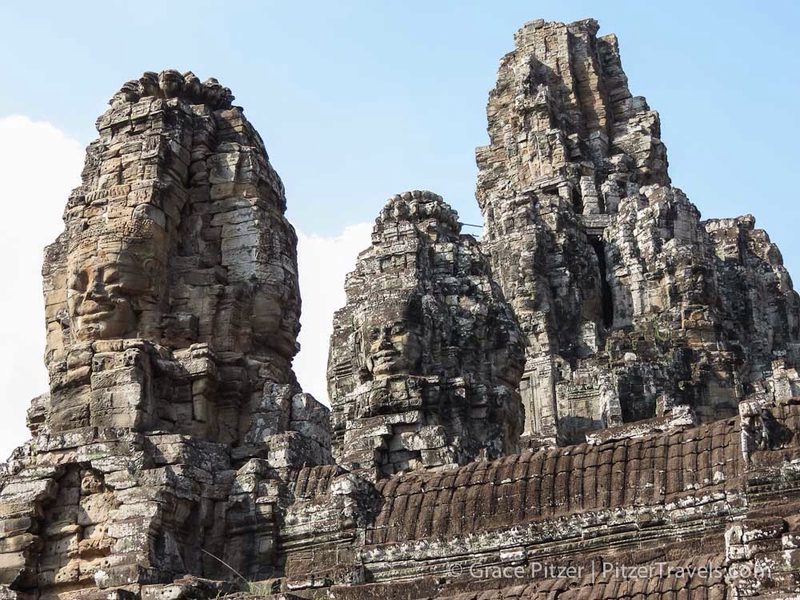 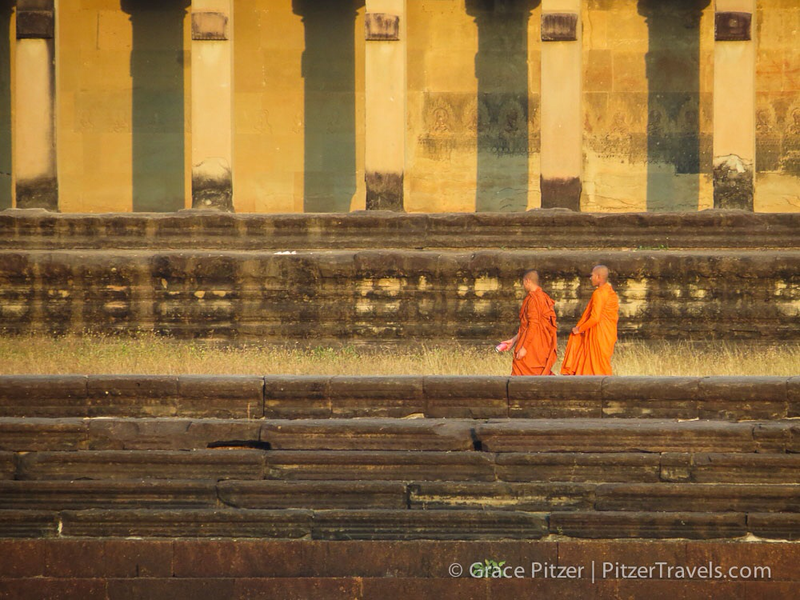 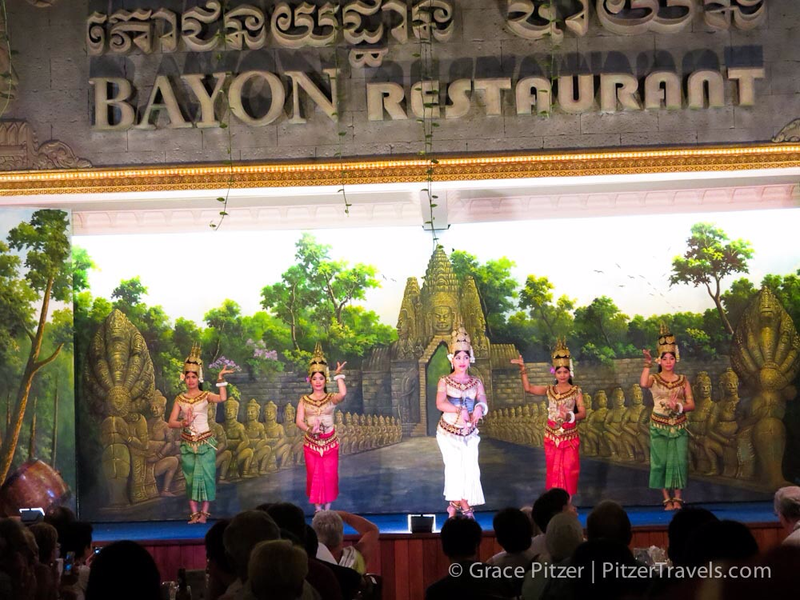 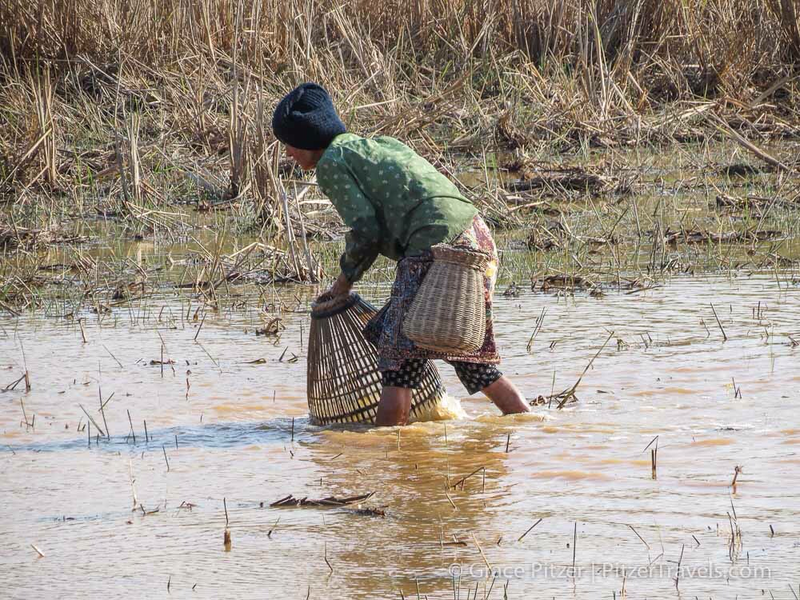 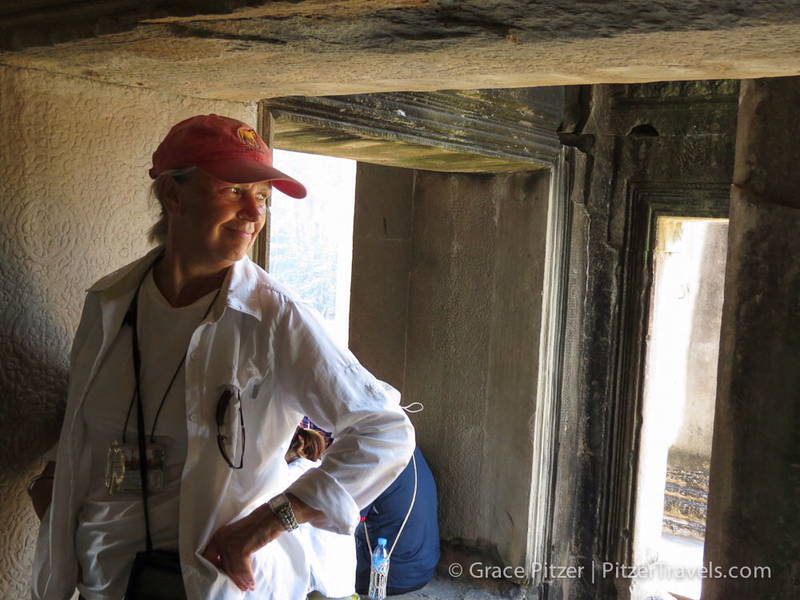 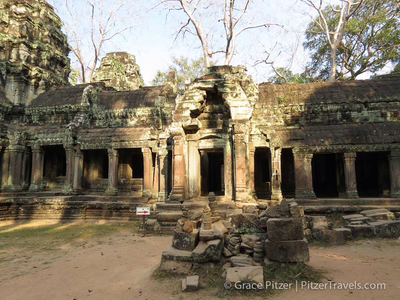 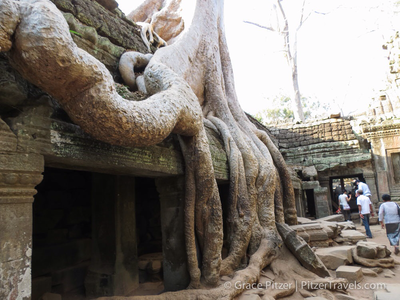 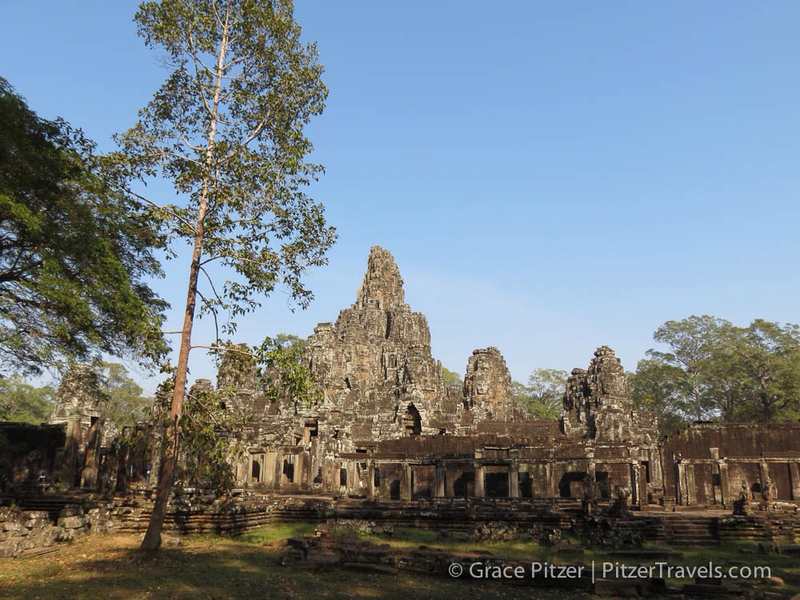 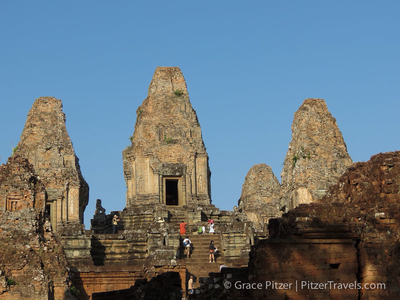 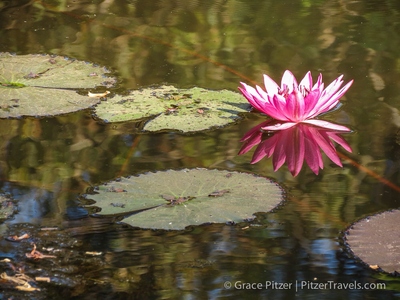 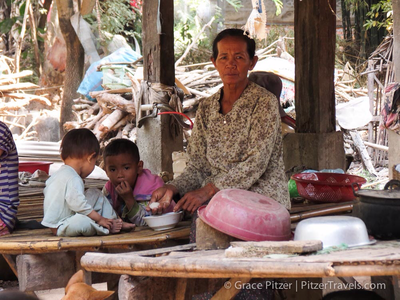 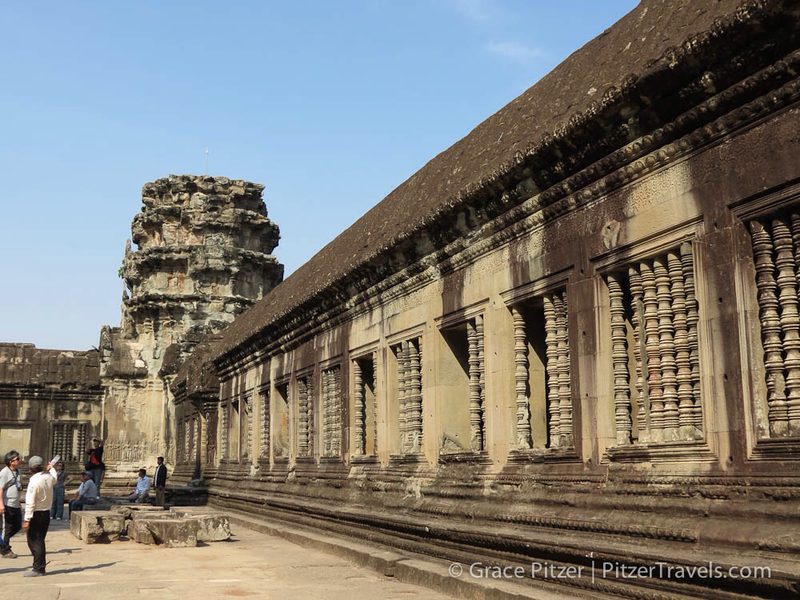 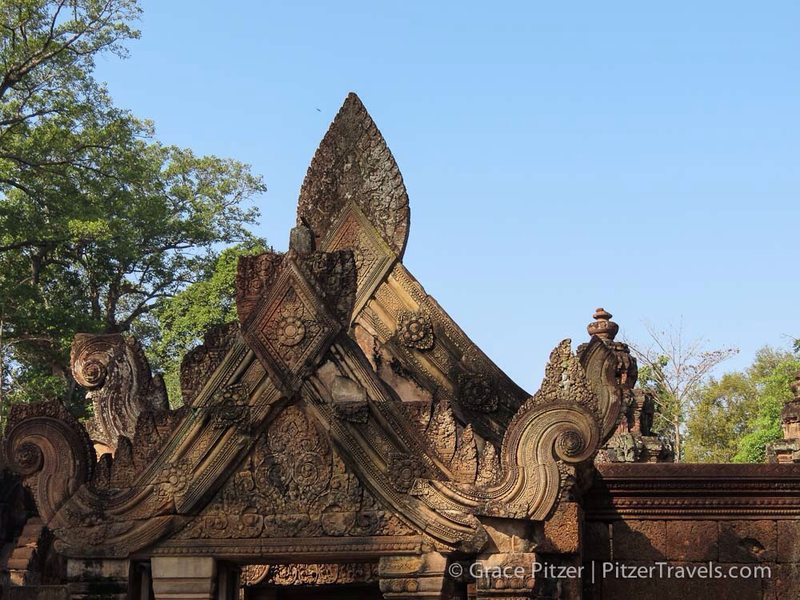 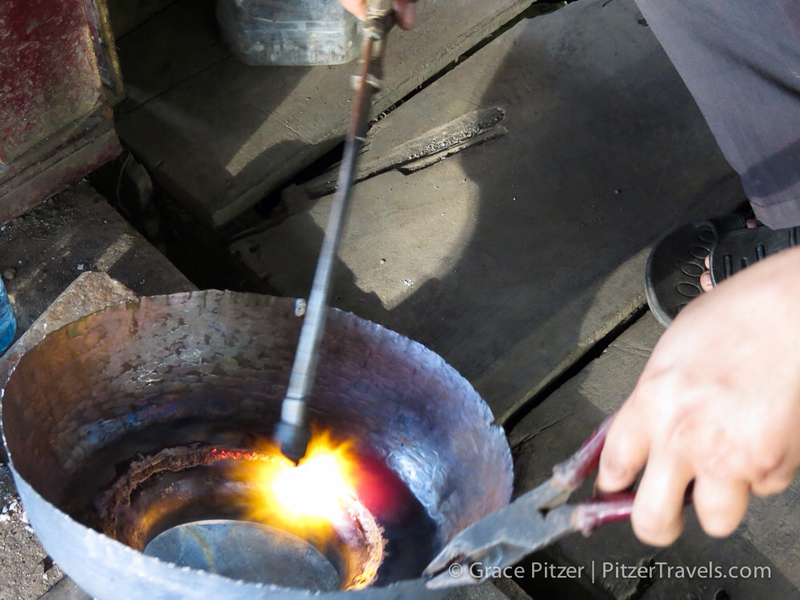 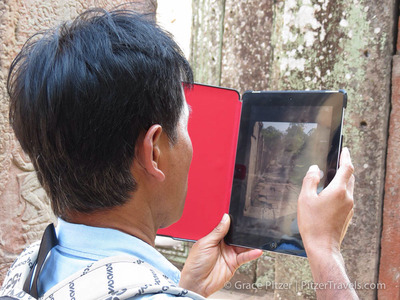 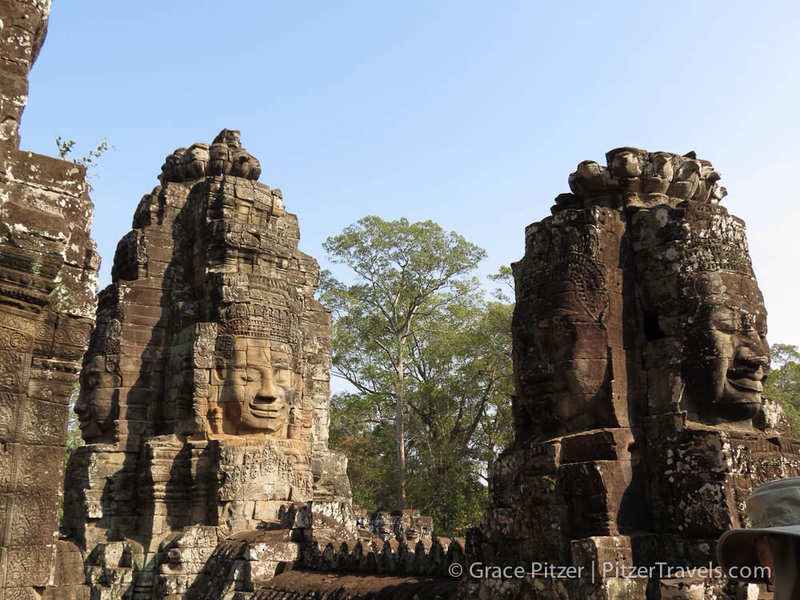 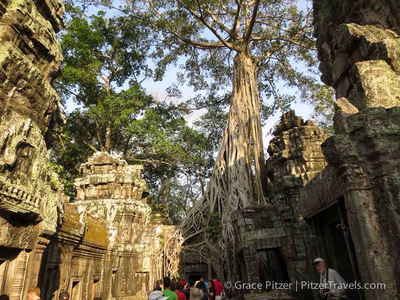 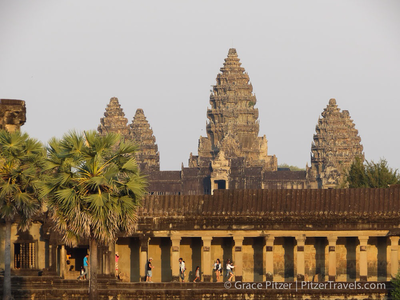 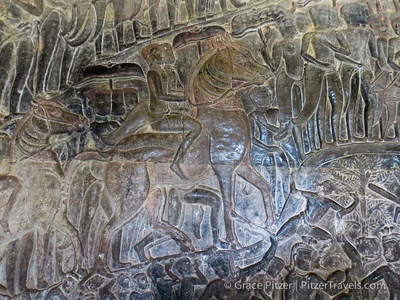 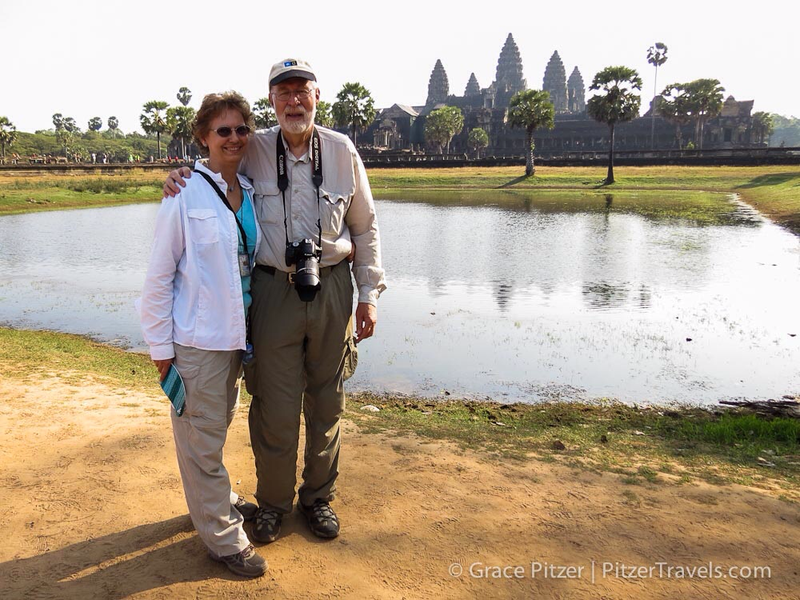 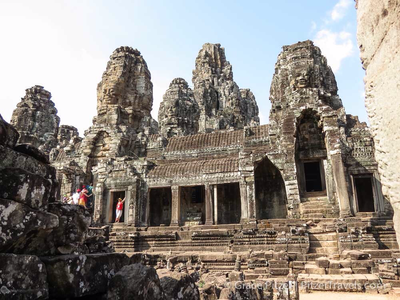 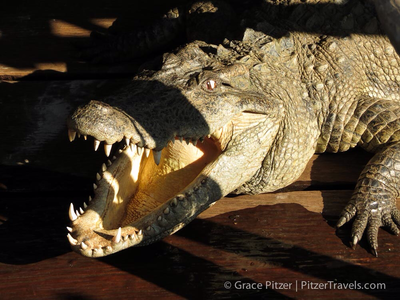 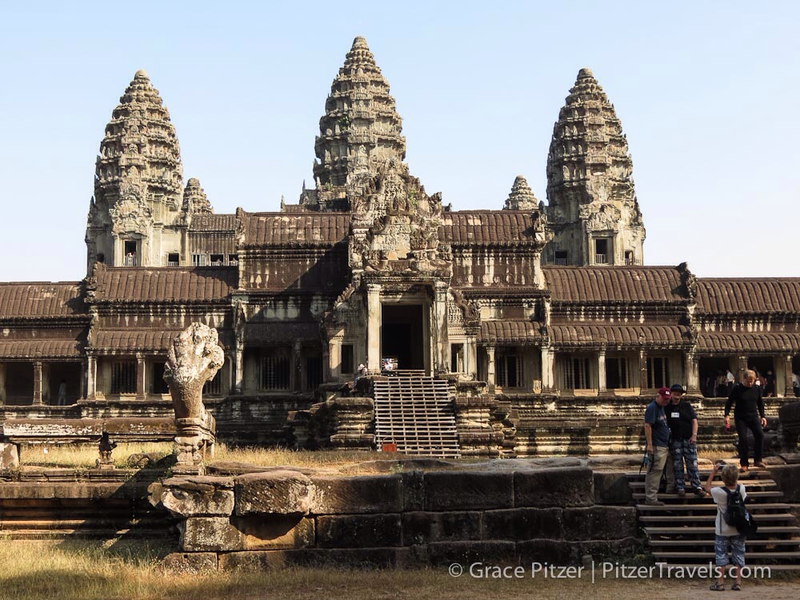 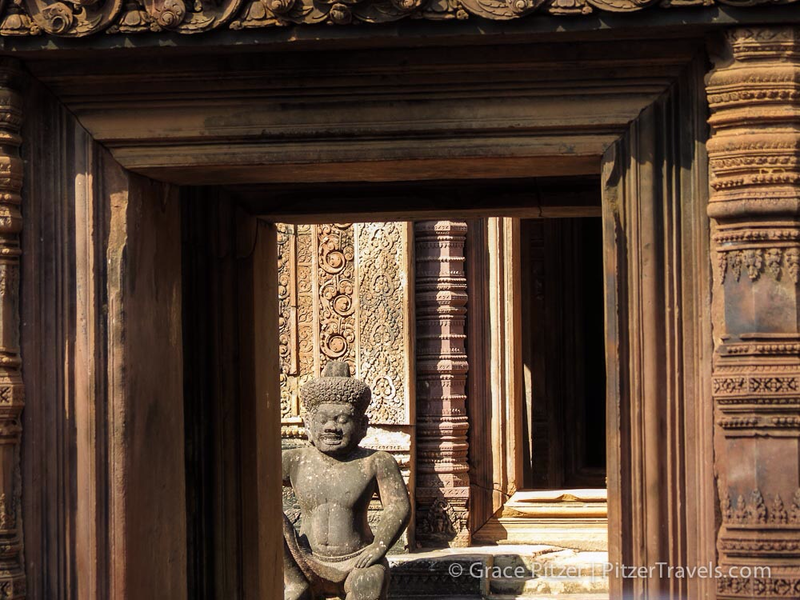 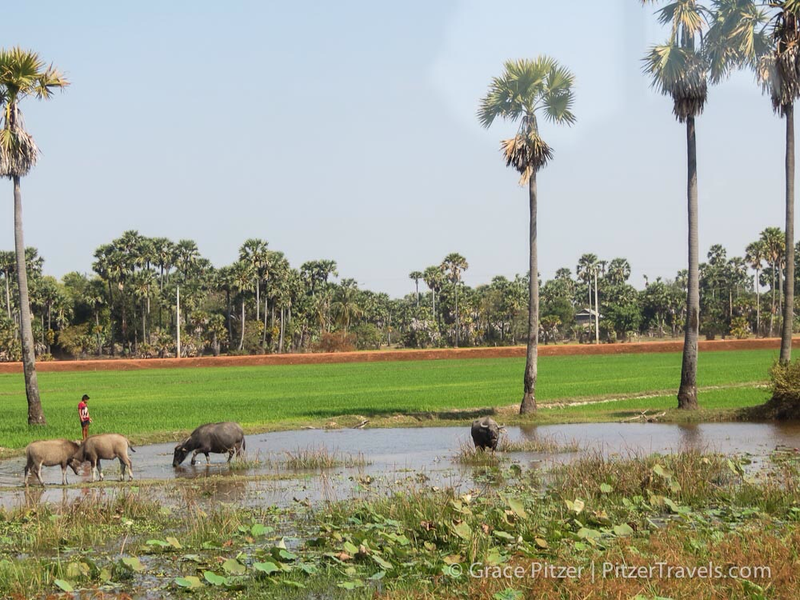 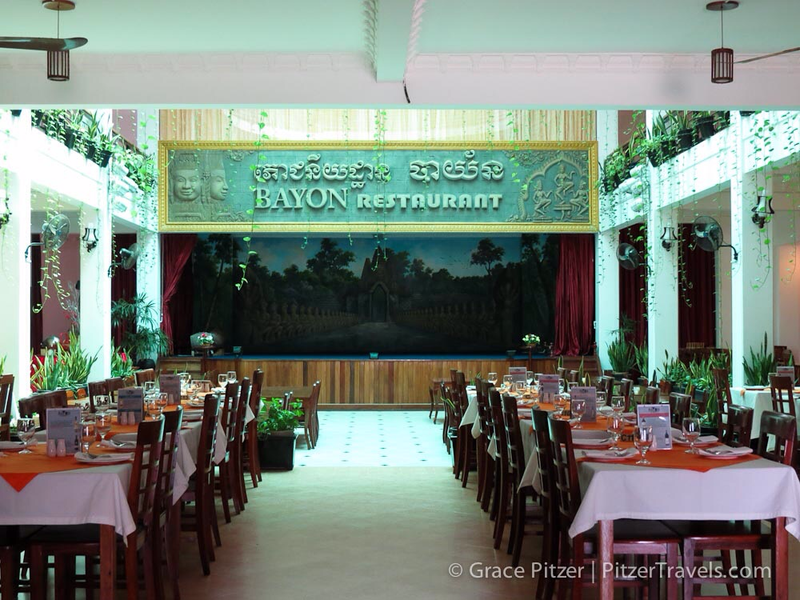 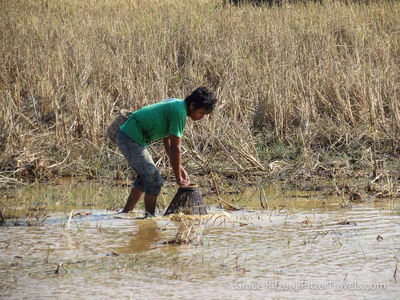 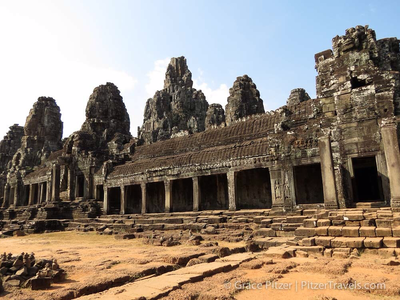 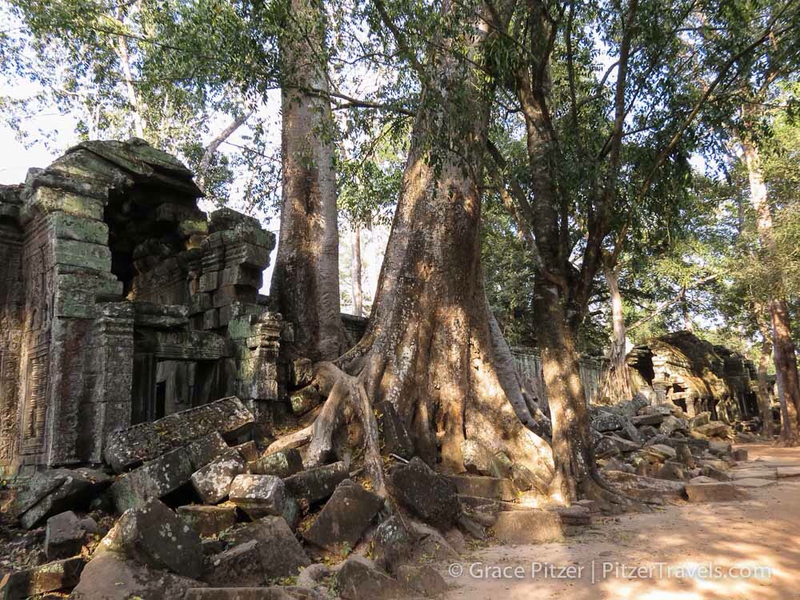 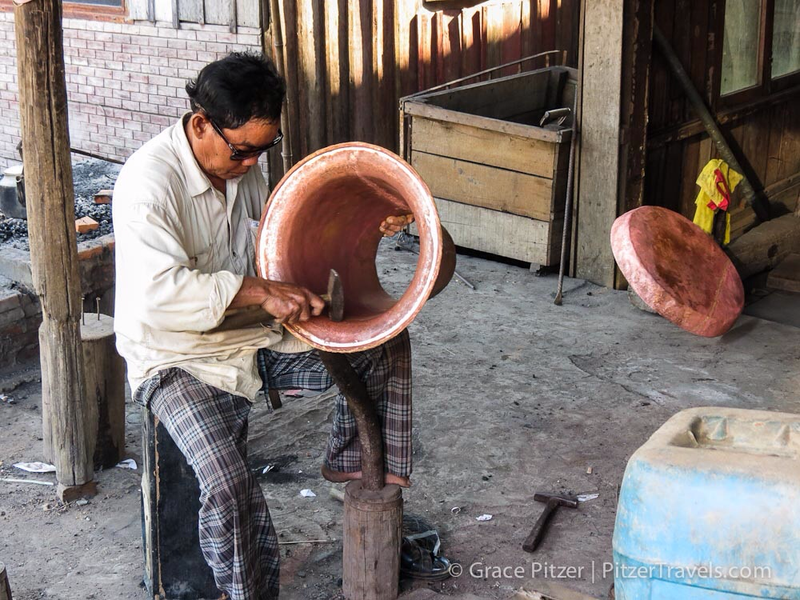 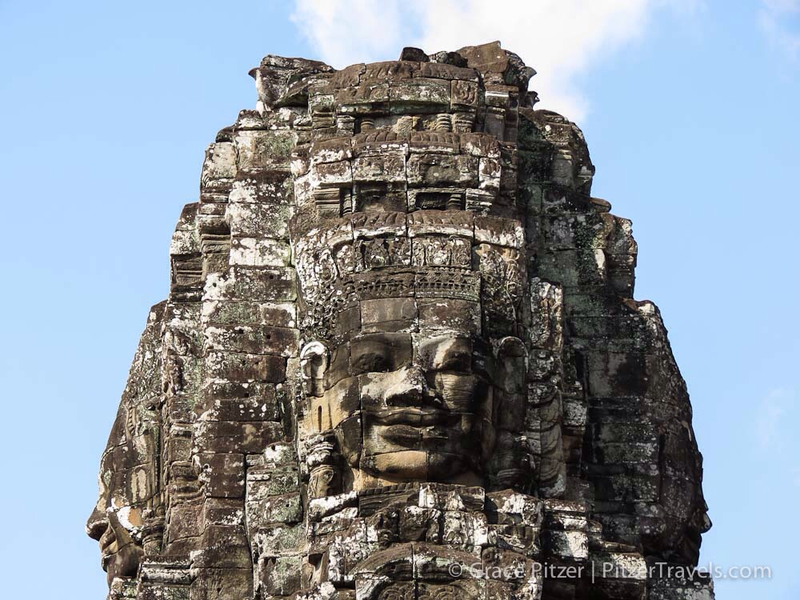 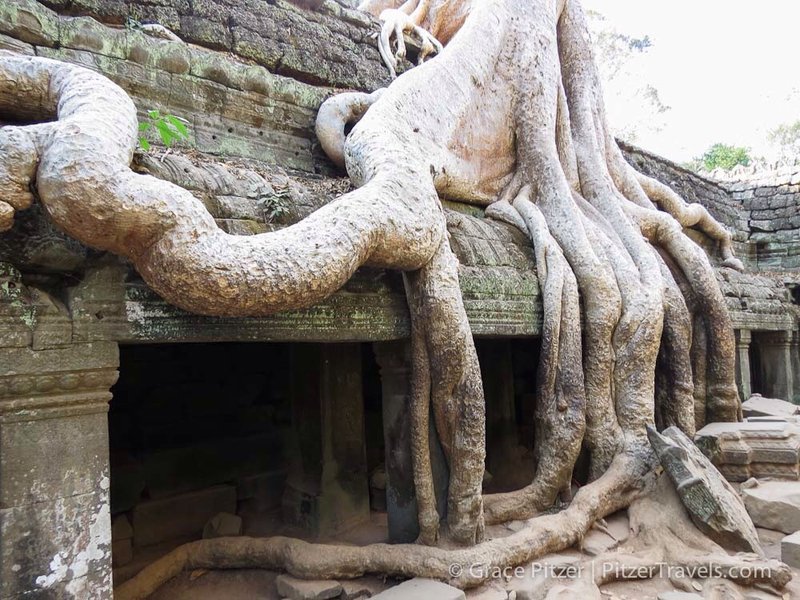 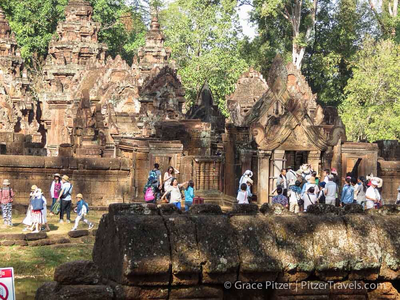 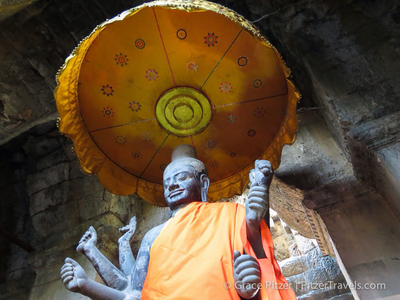 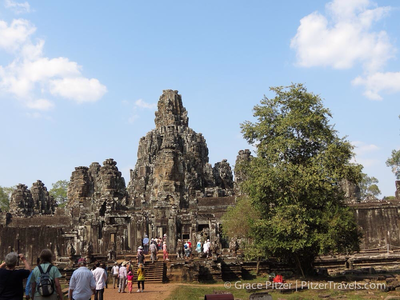 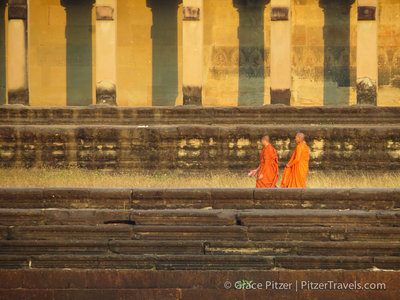 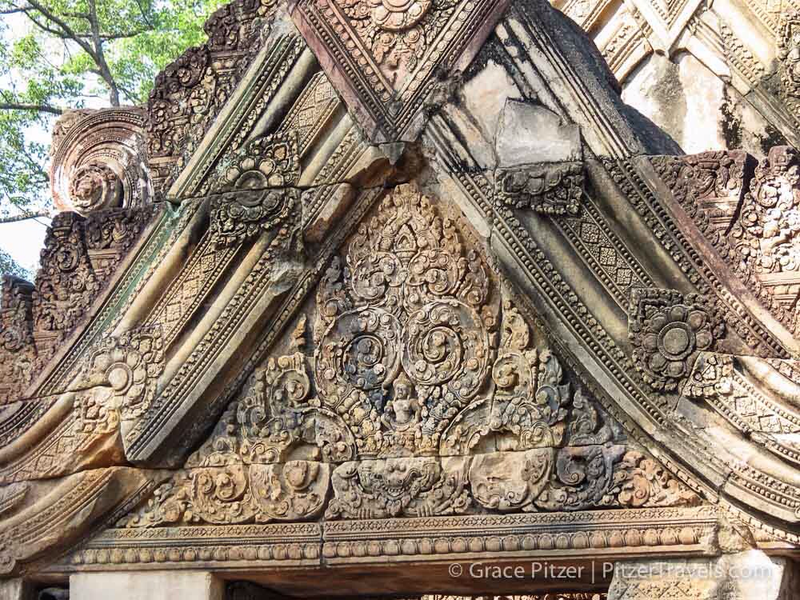 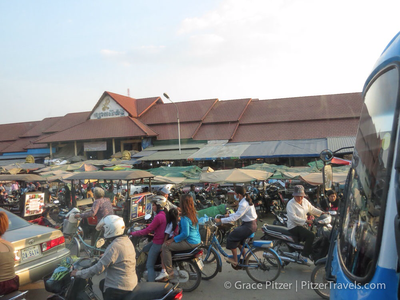 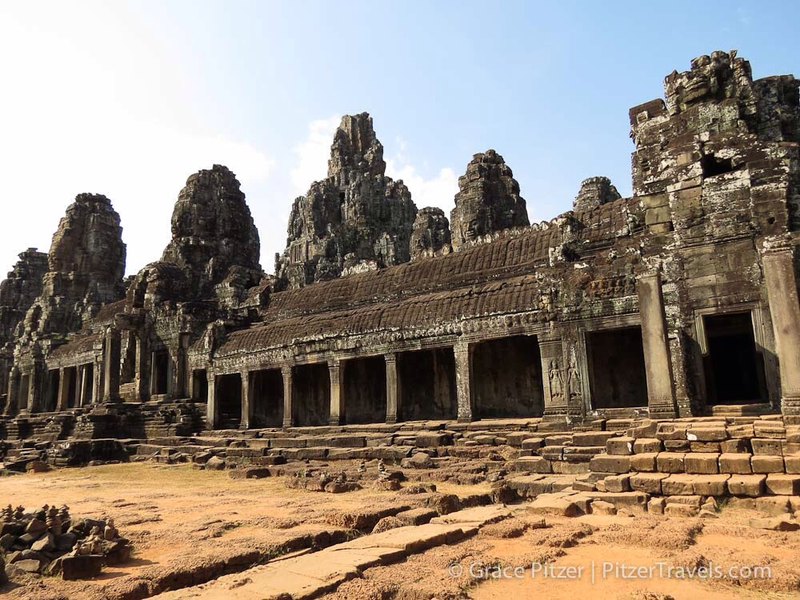 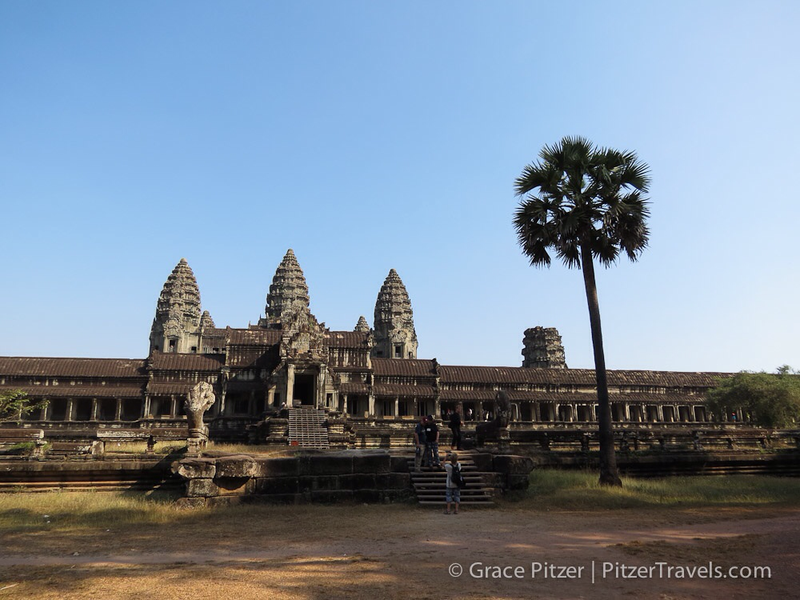 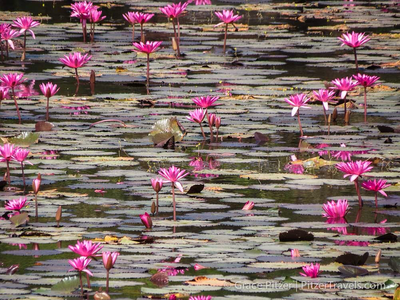 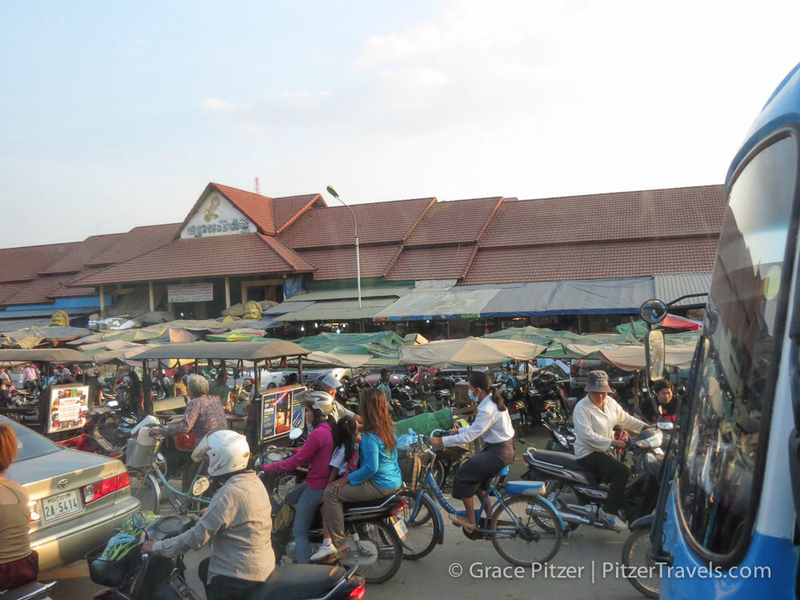 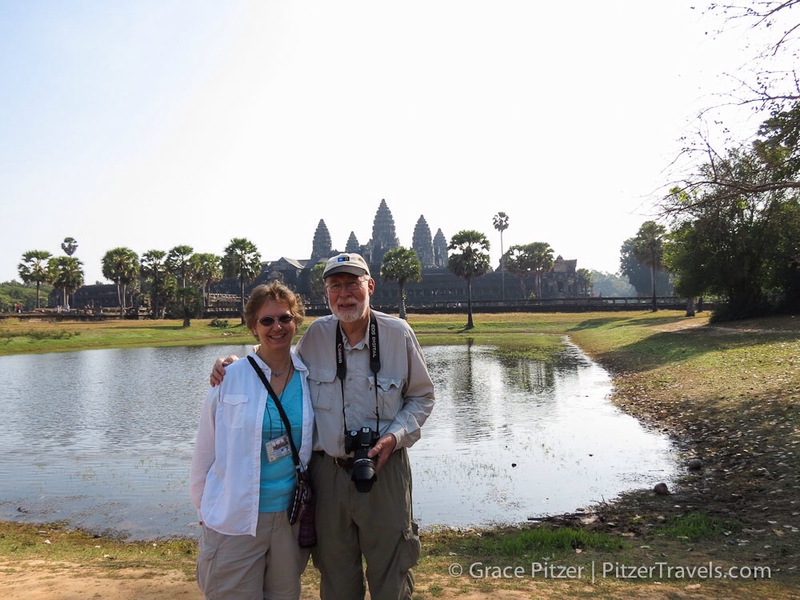 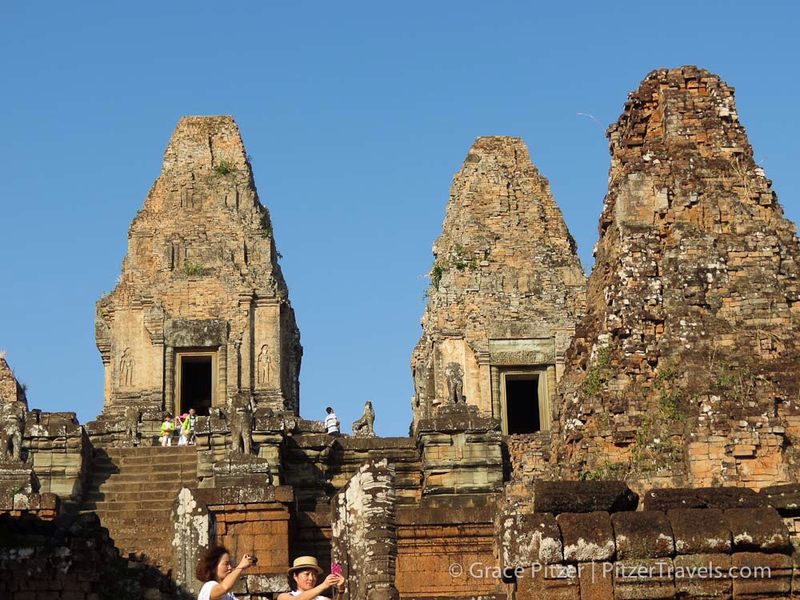 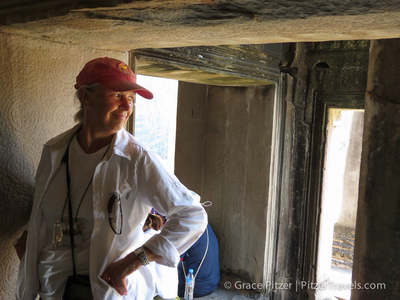 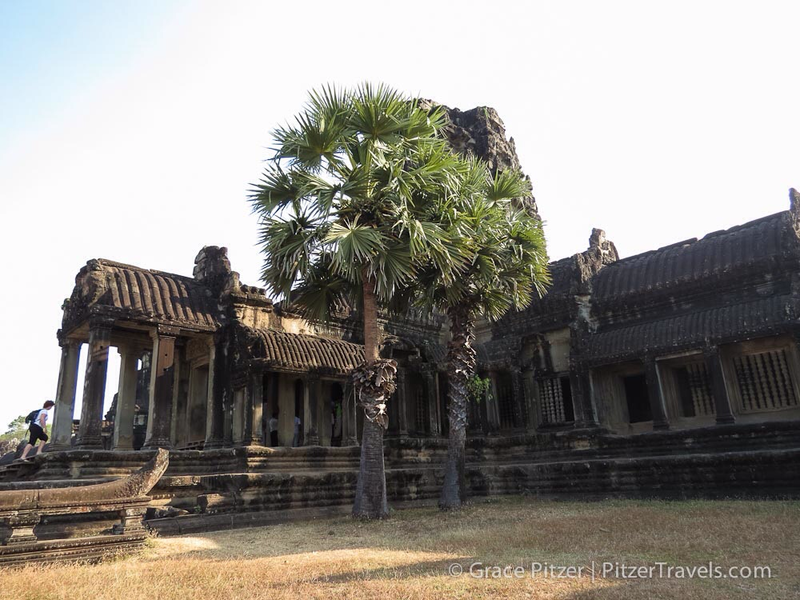 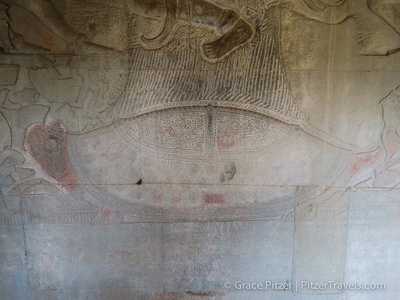 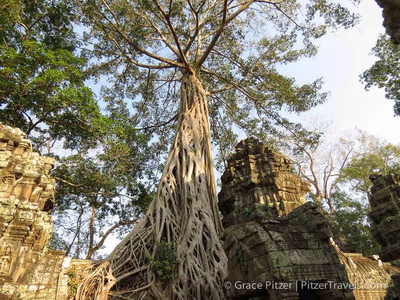 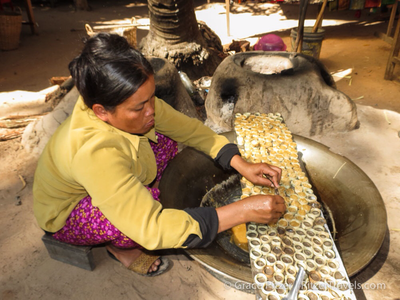 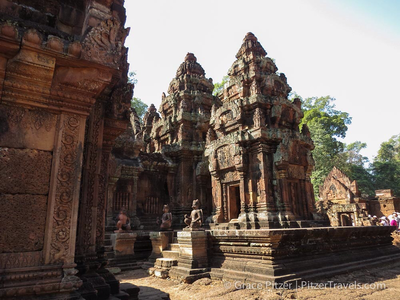 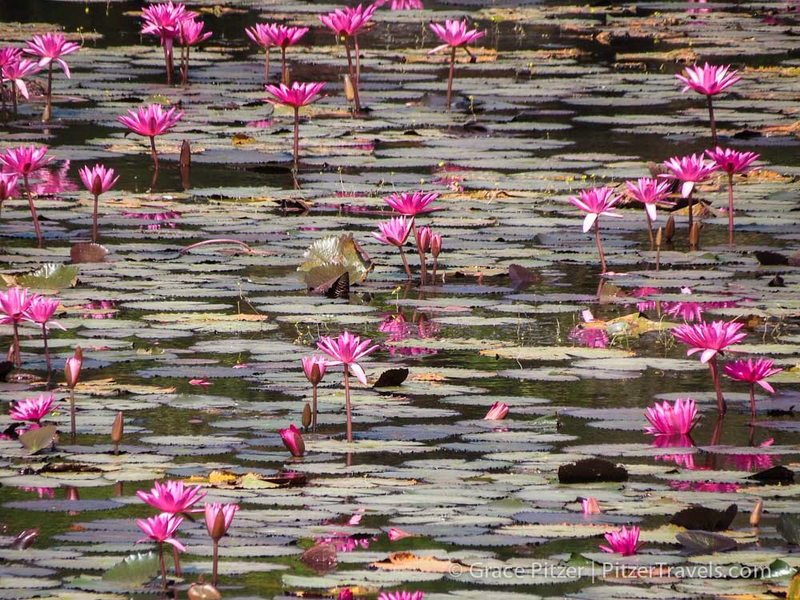 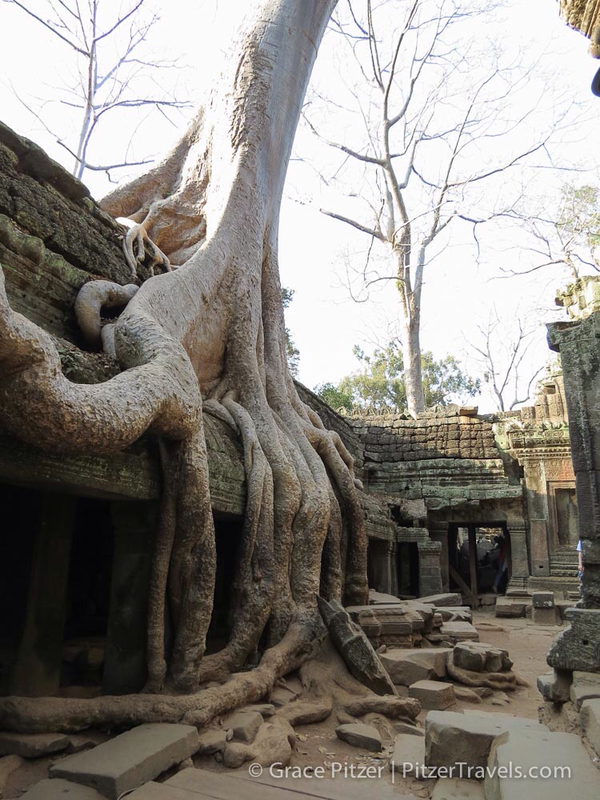 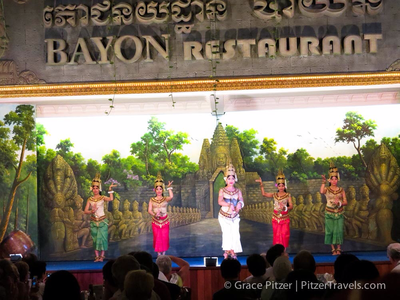 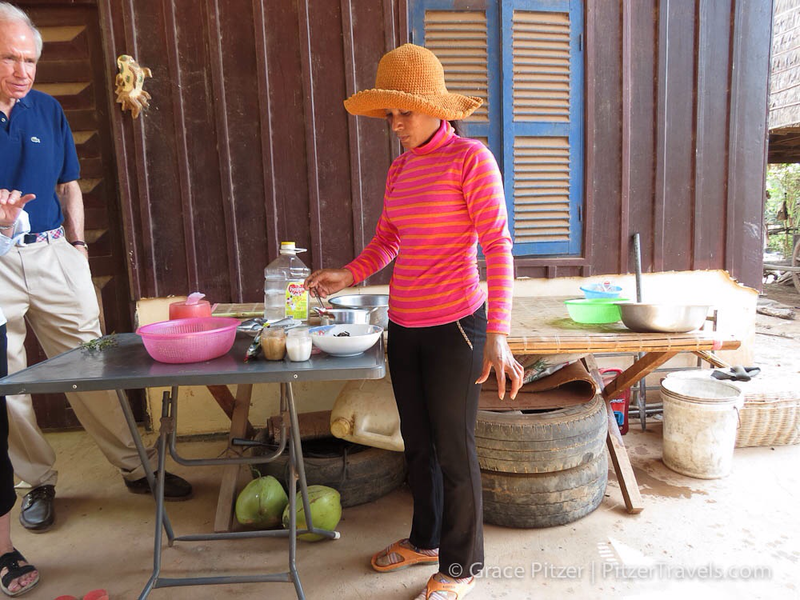 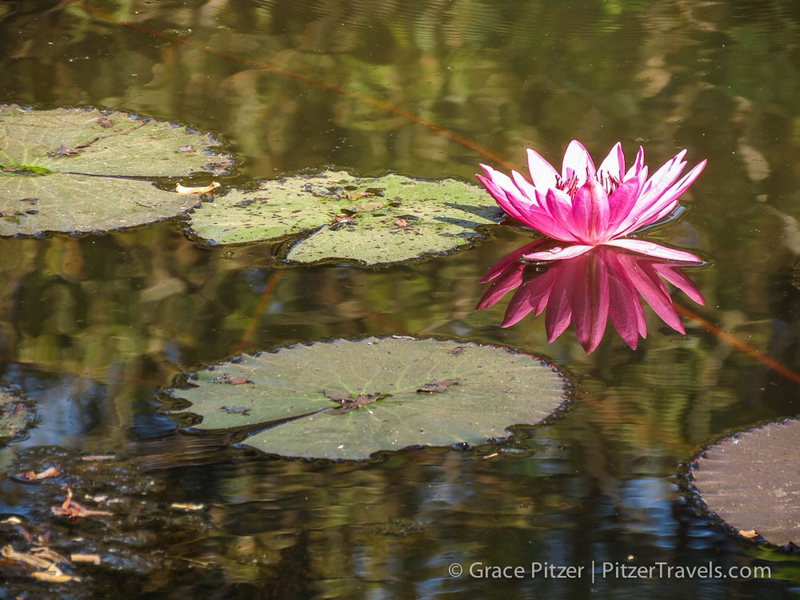 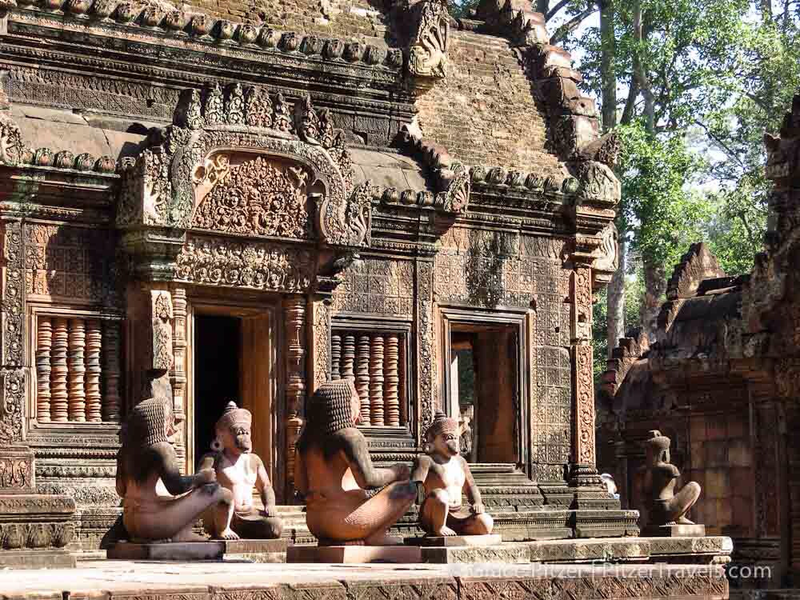 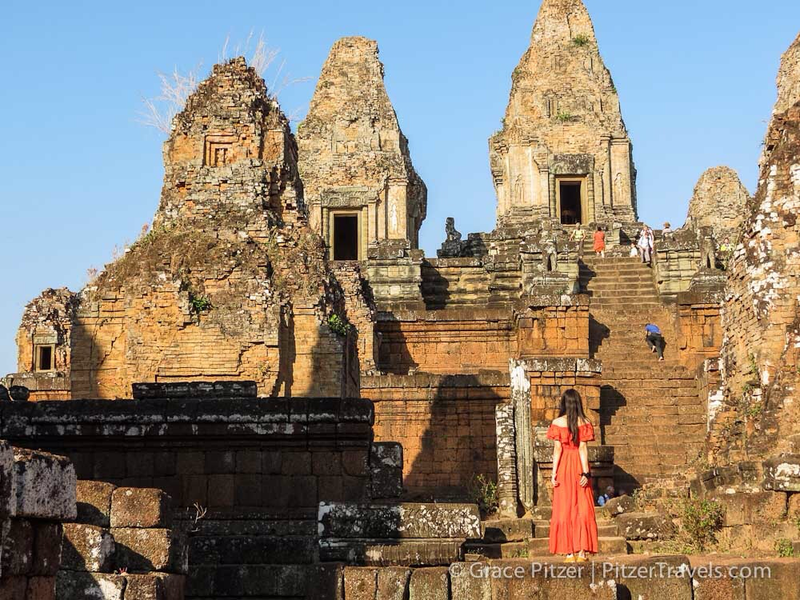 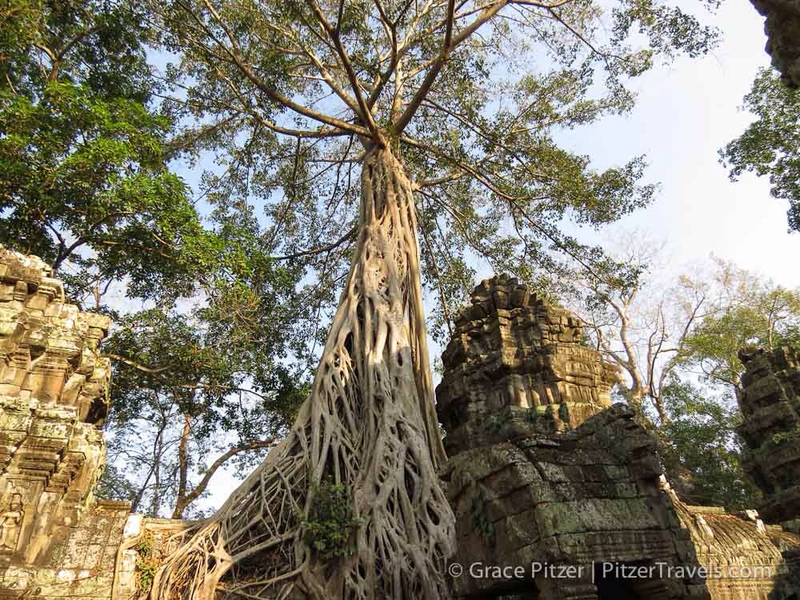 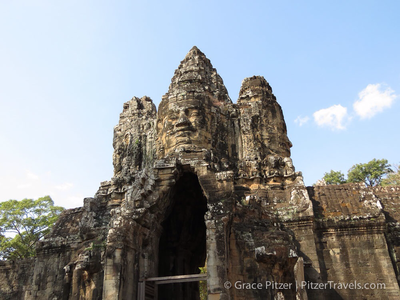 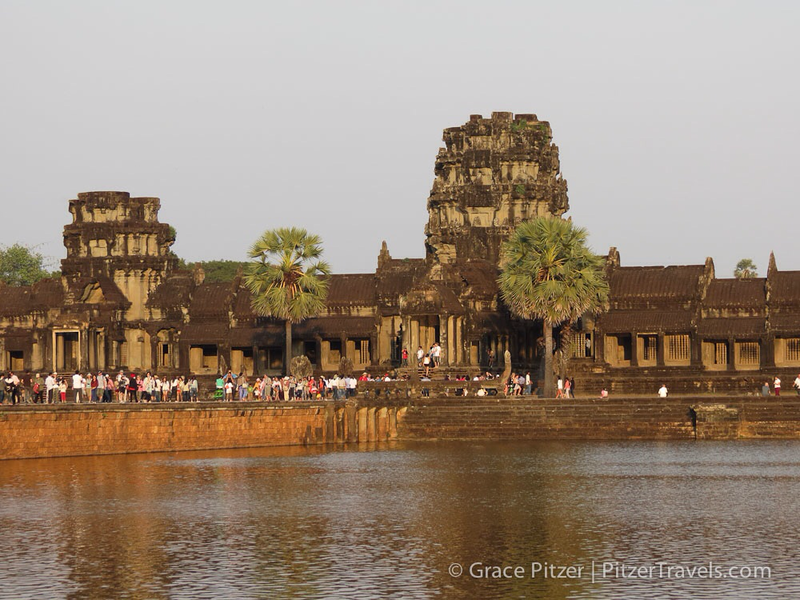 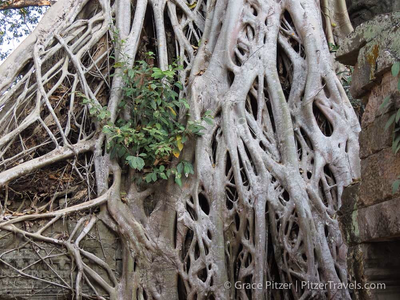 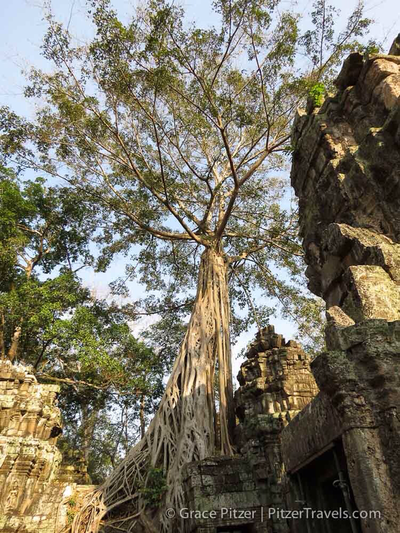 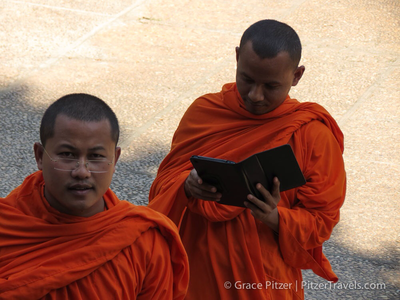 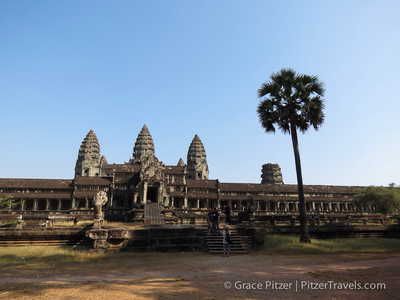 The three days we spent in Siem Reap didn’t allow for us to see all there is in the area. 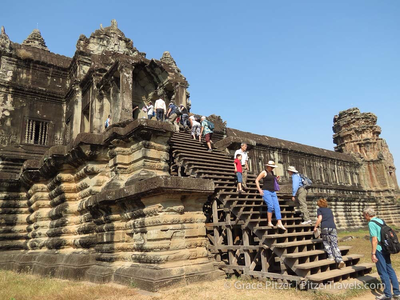 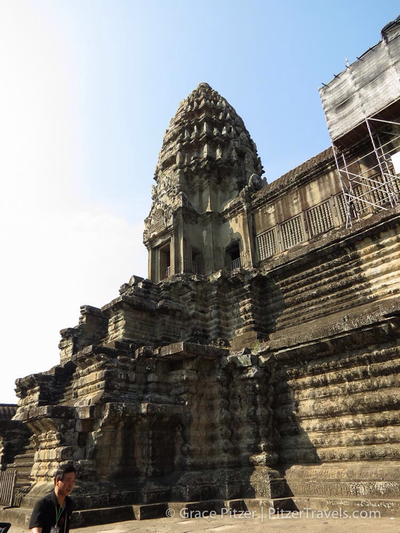 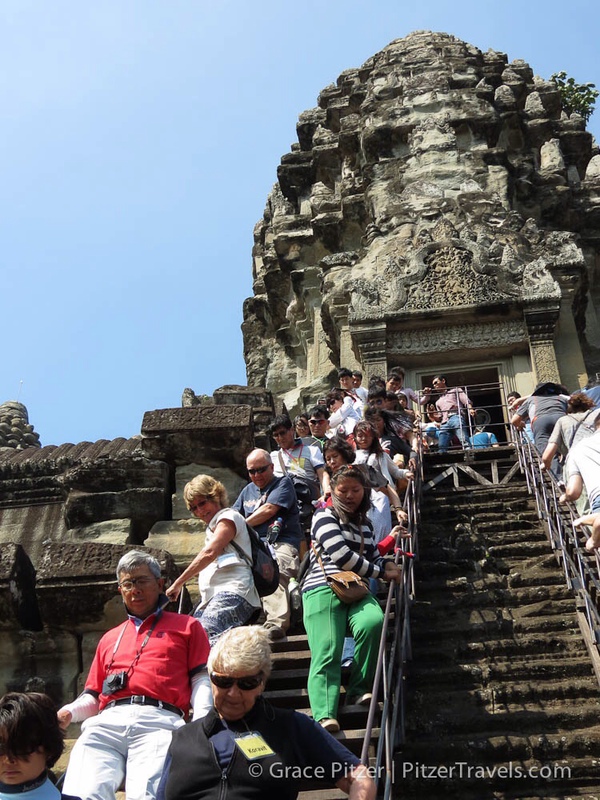 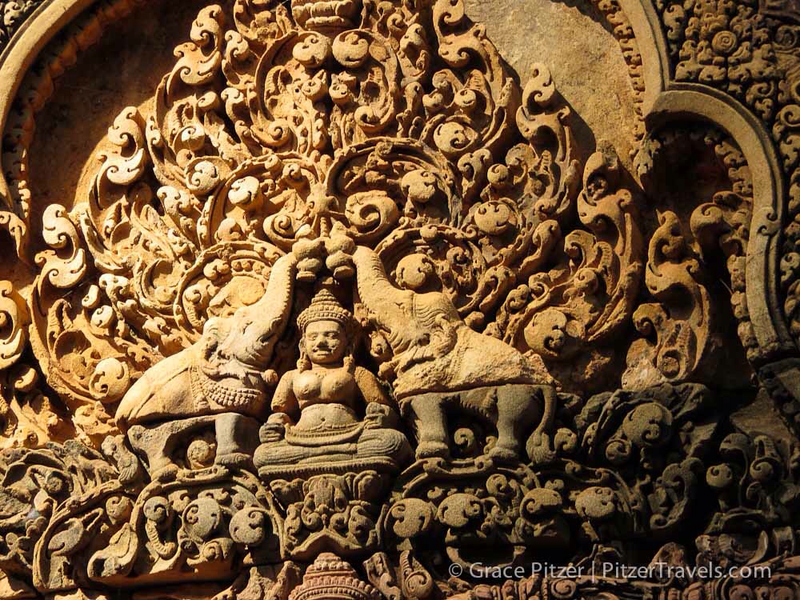 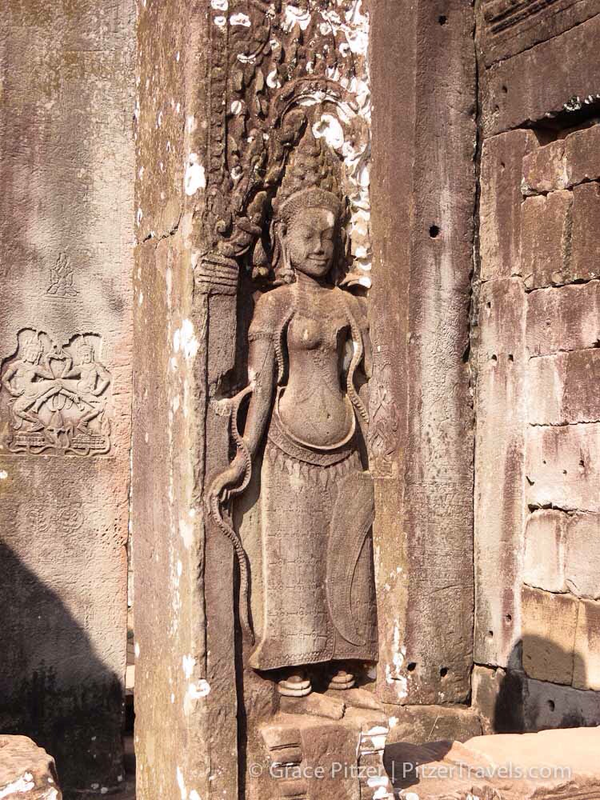 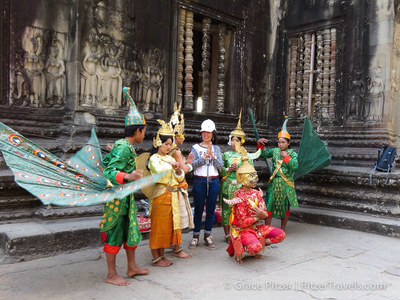 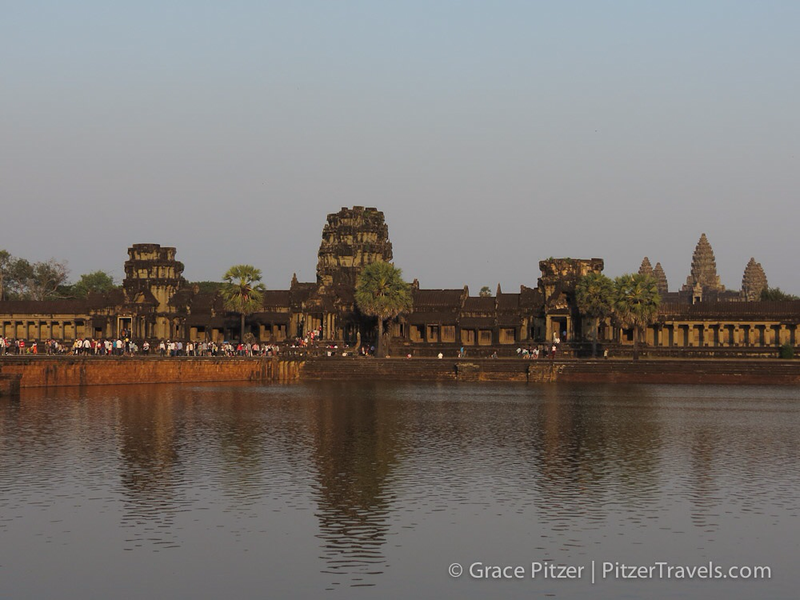 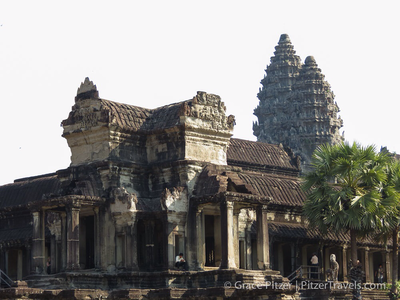 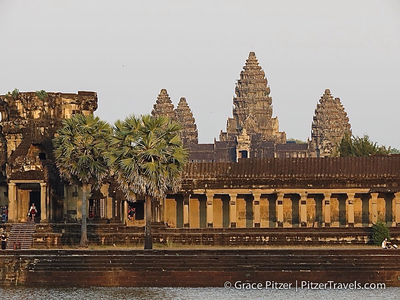 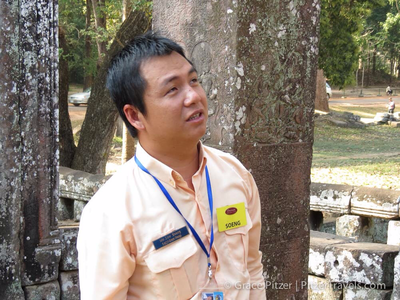 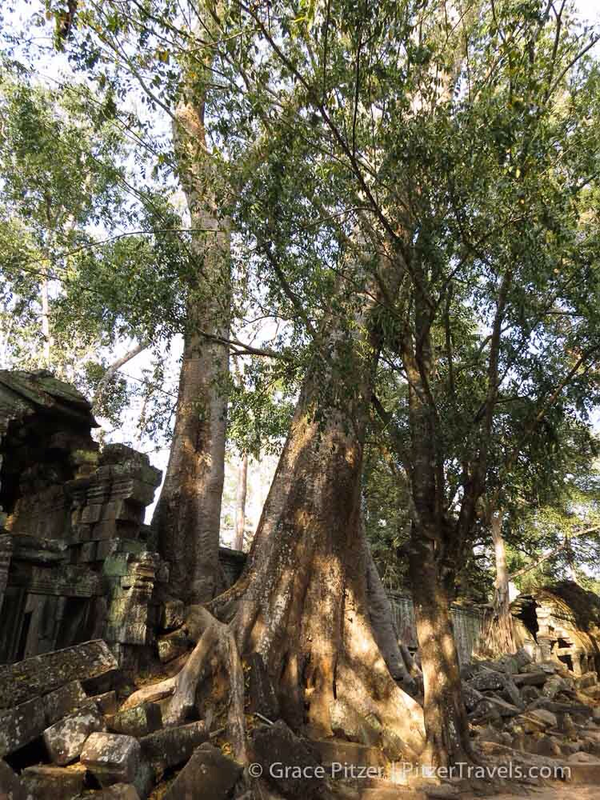 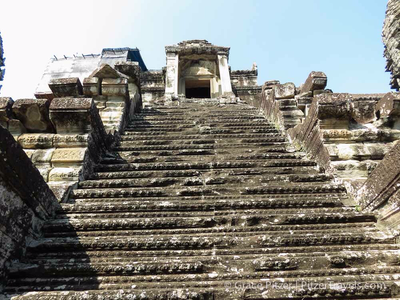 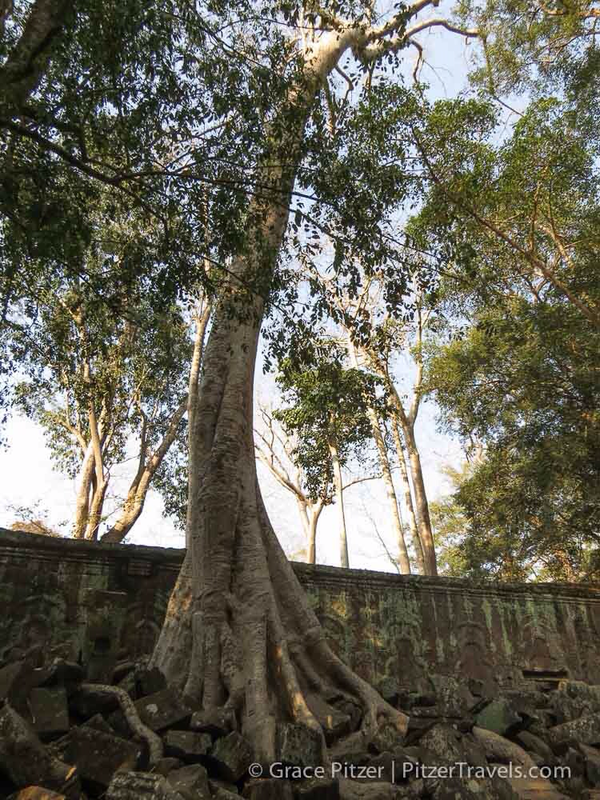 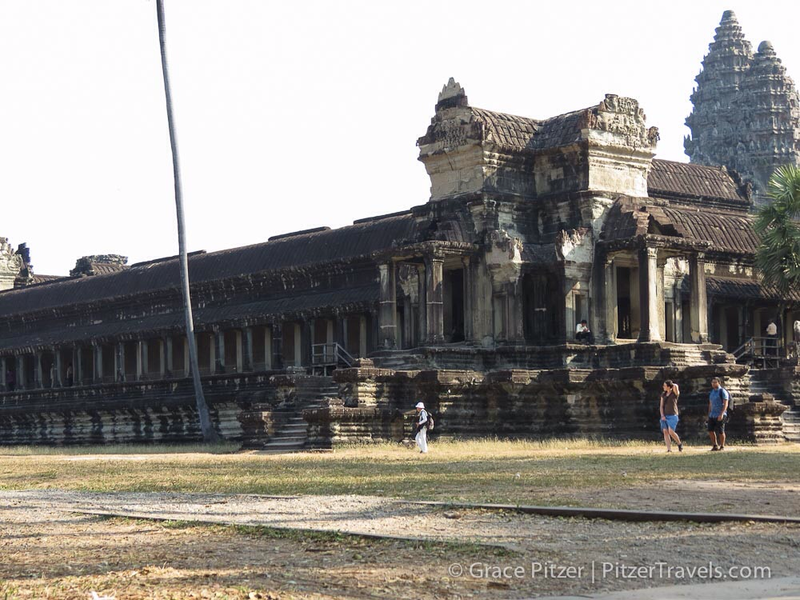 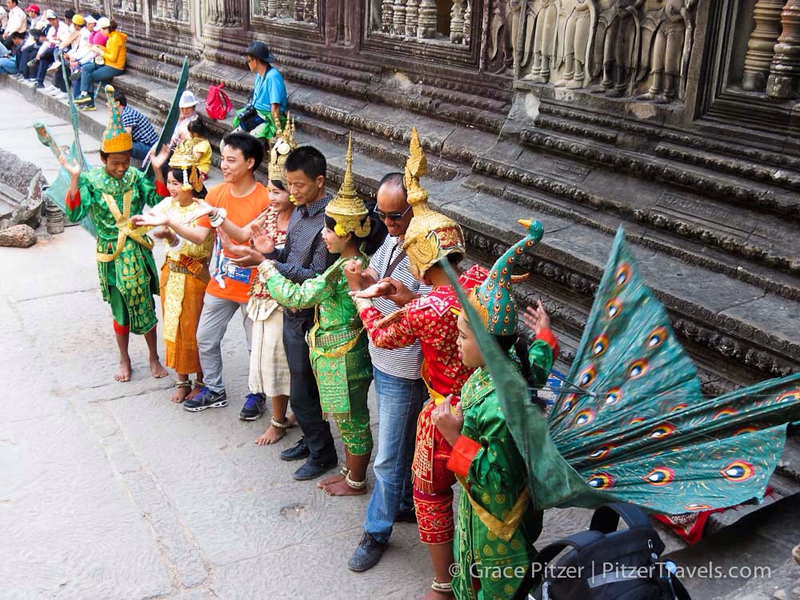 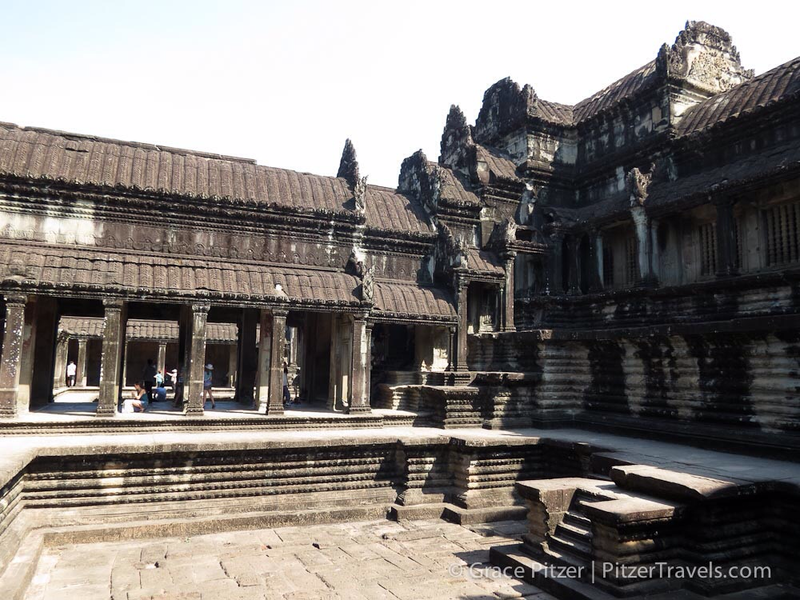 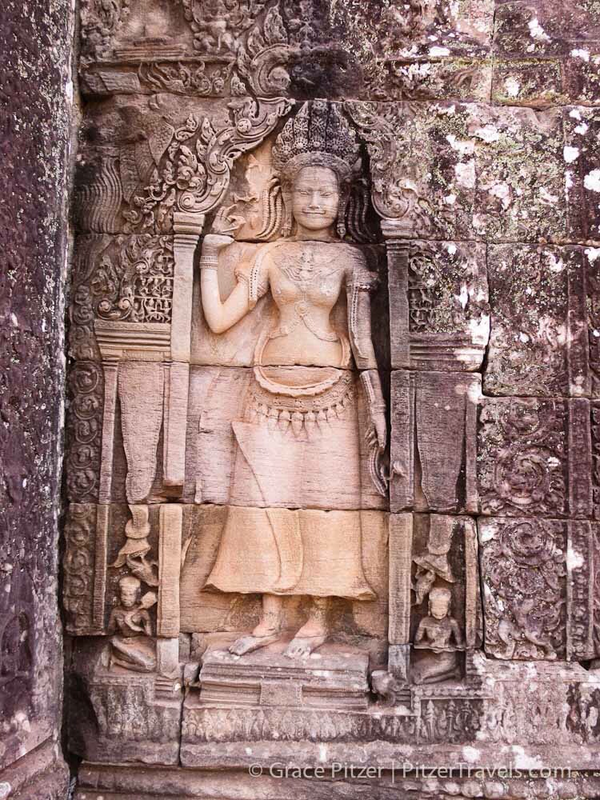 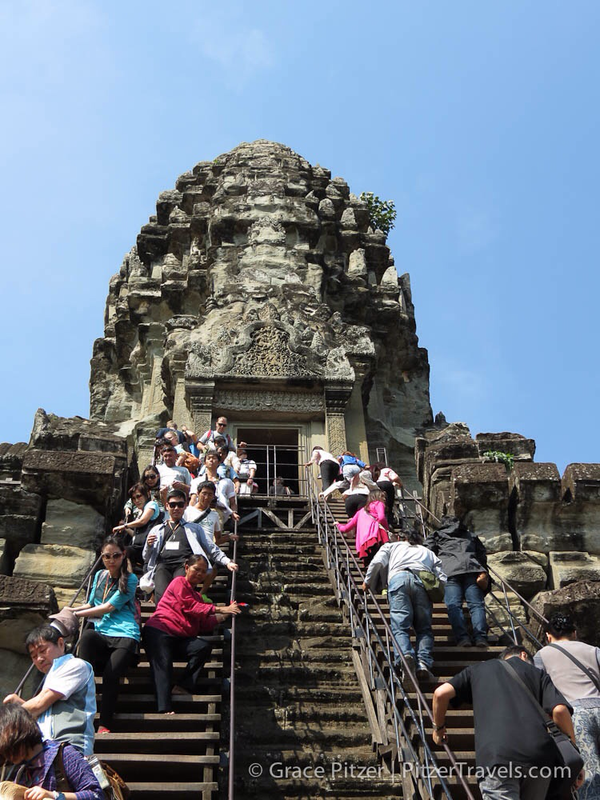 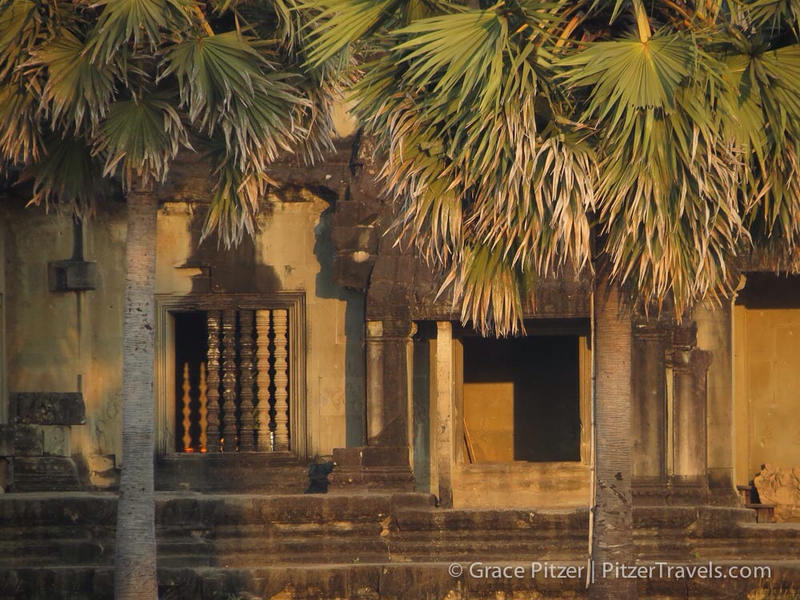 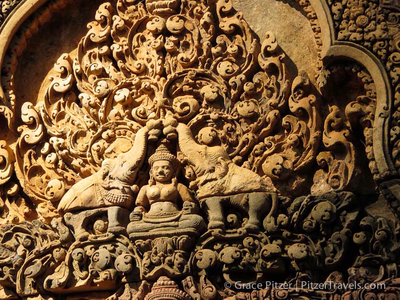 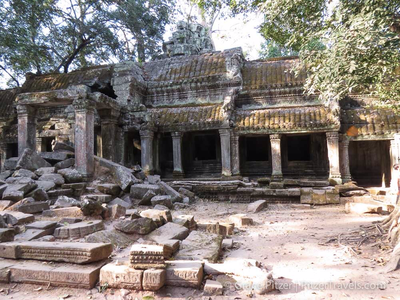 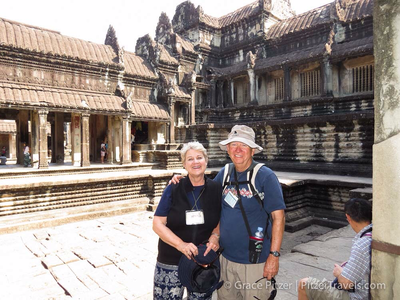 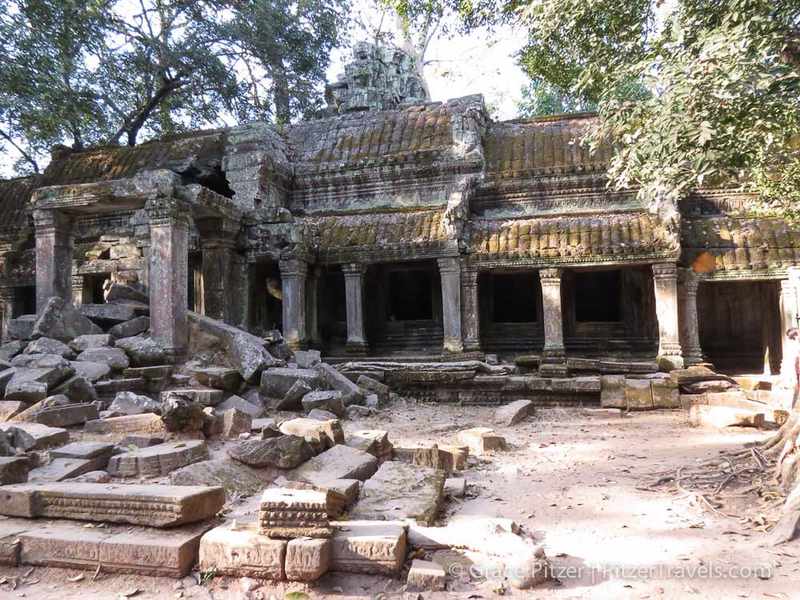 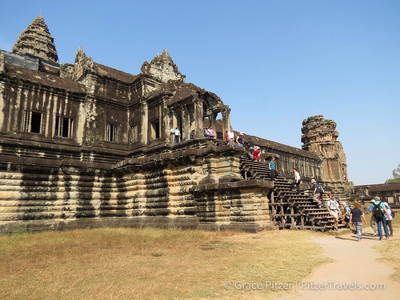 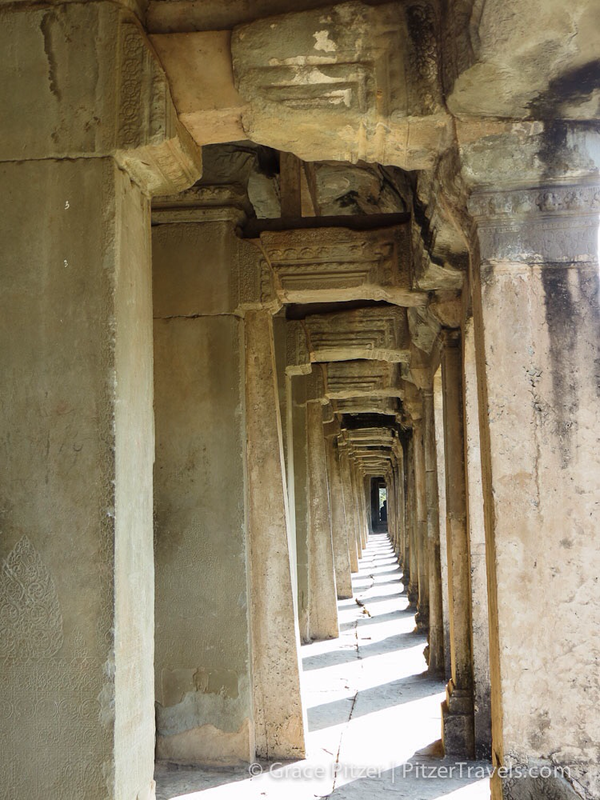 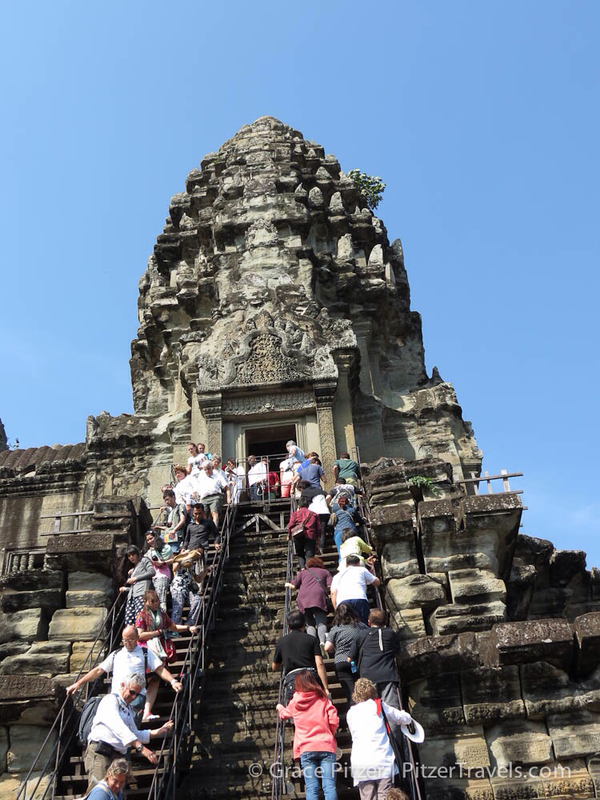 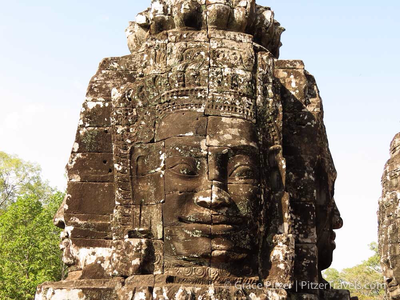 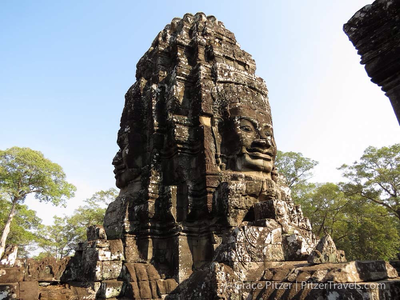 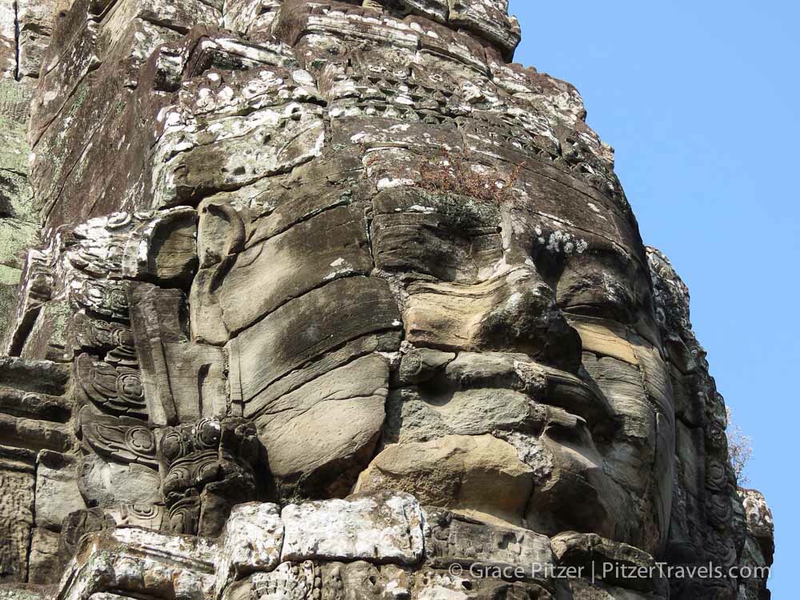 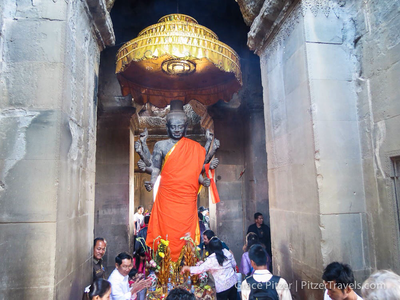 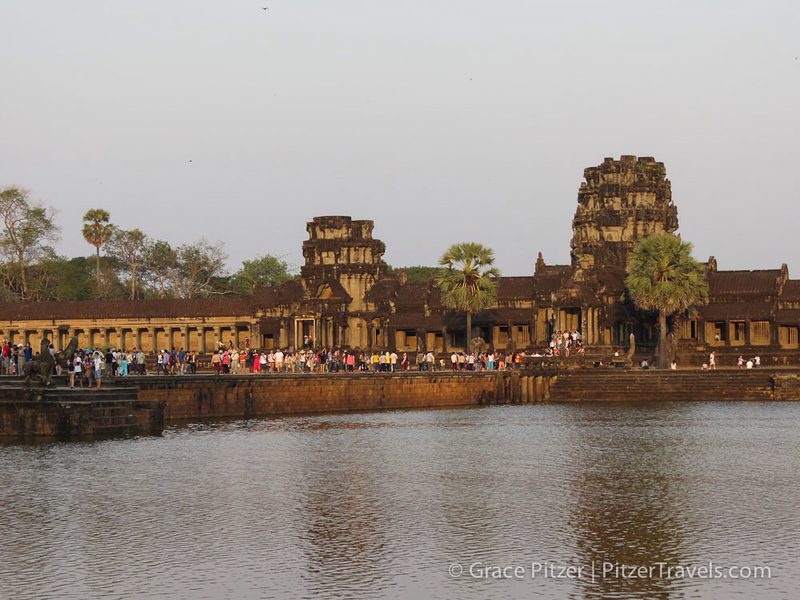 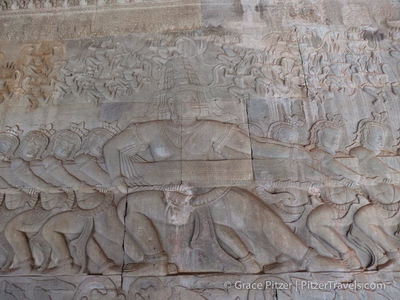 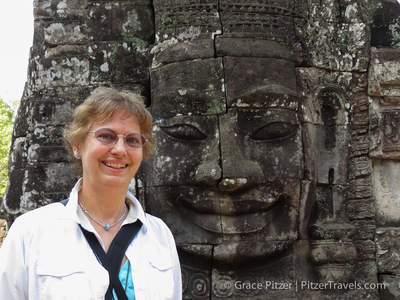 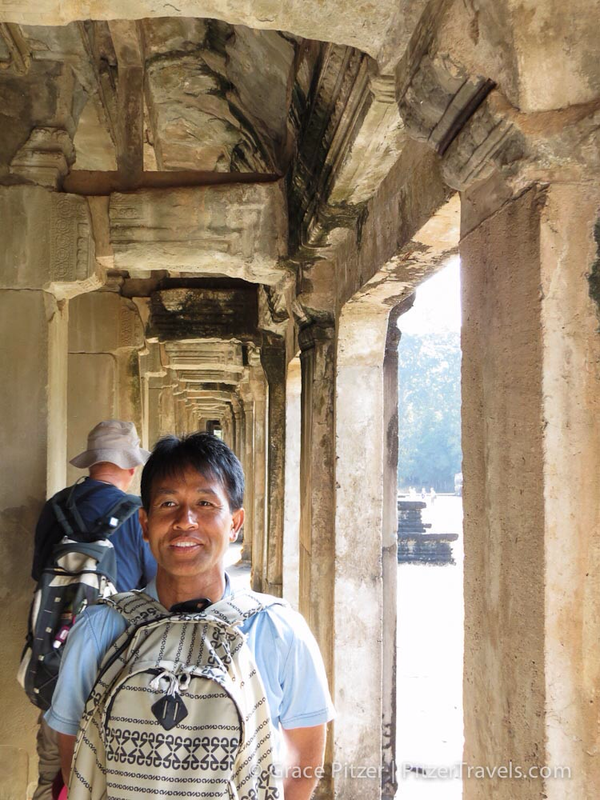 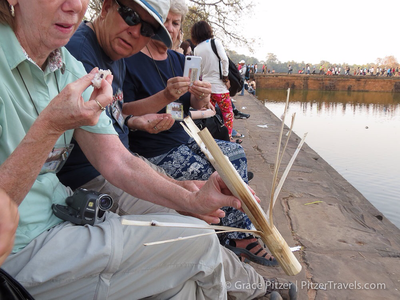 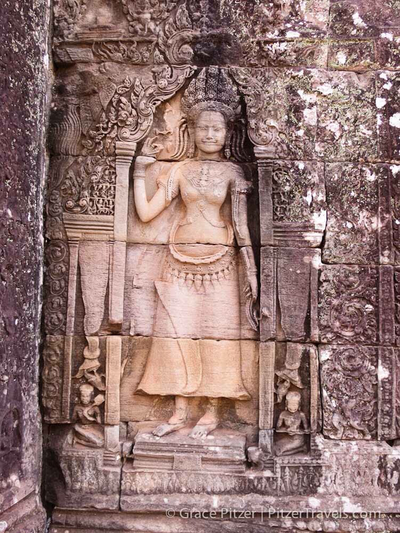 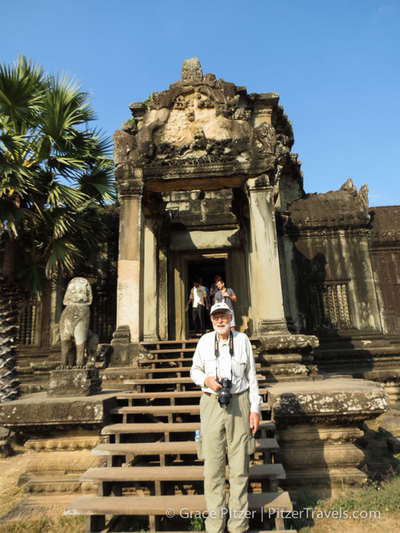 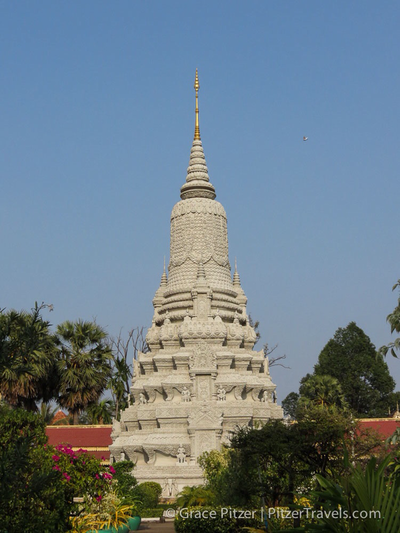 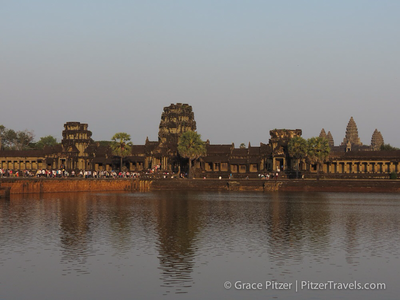 The big attractions, of course, are the many temples (Wats) like Angkor Wat. 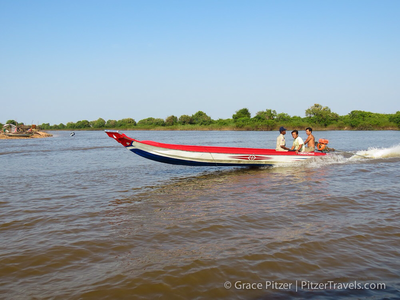 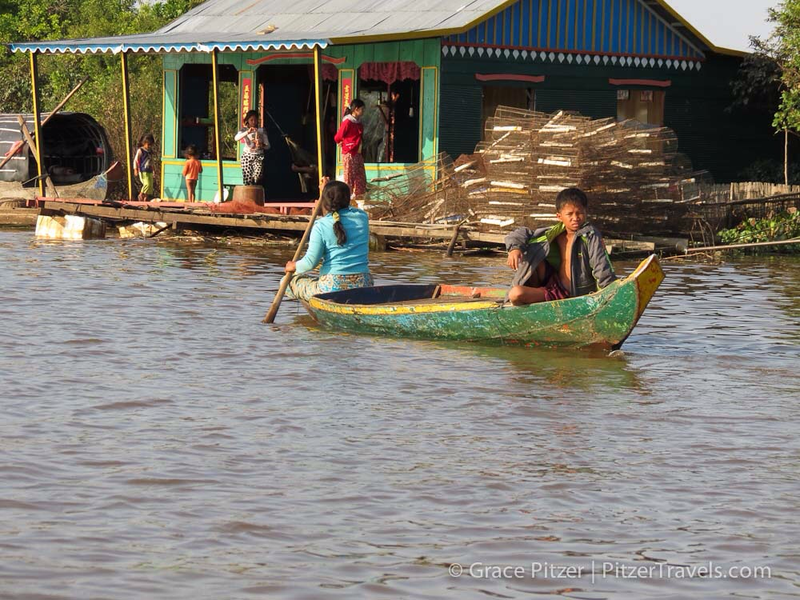 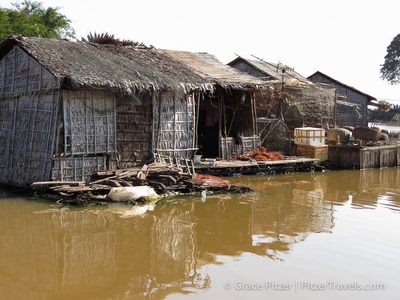 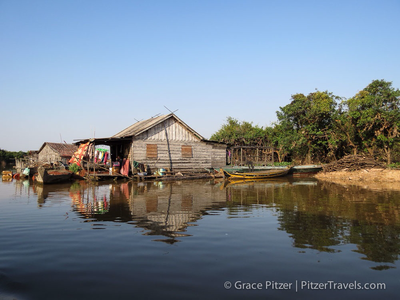 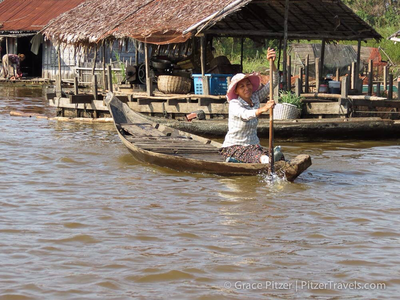 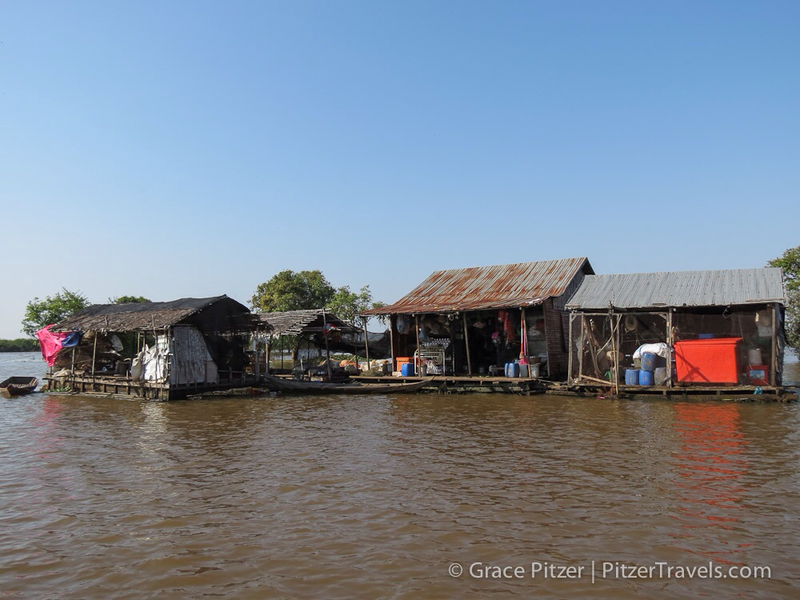 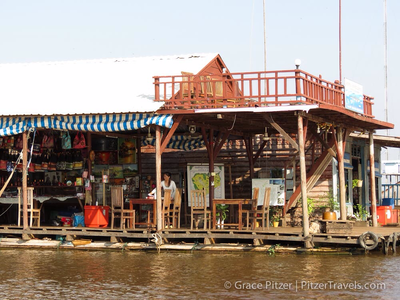 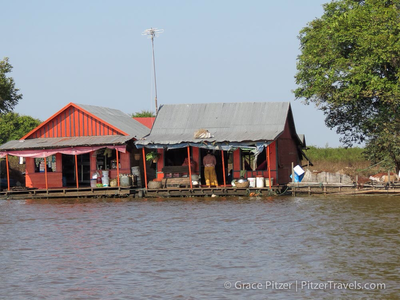 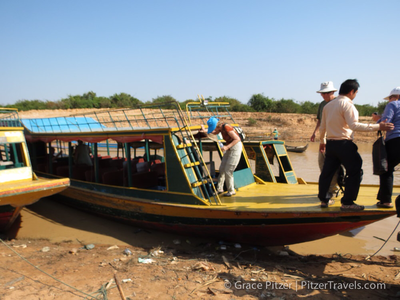 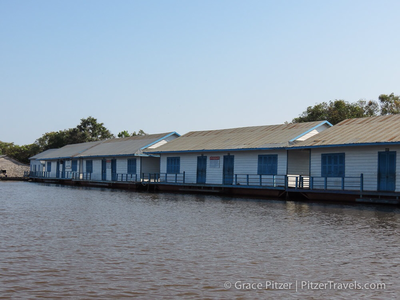 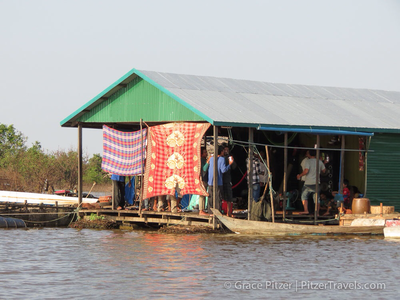 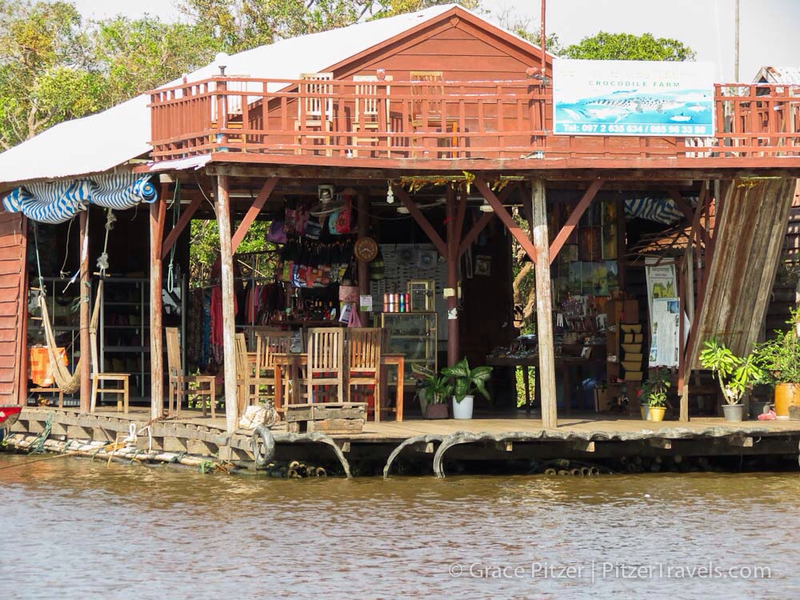 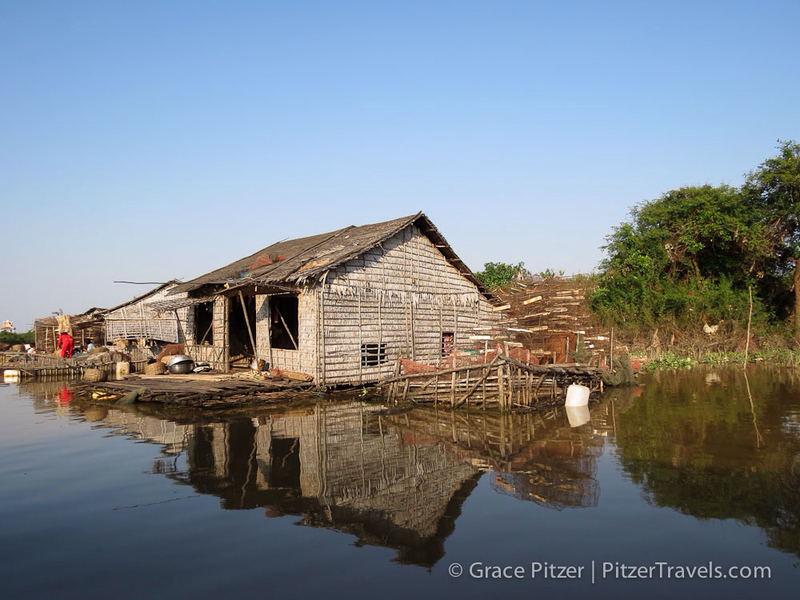 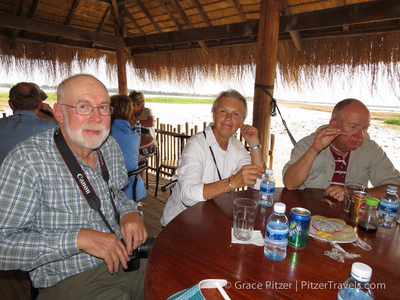 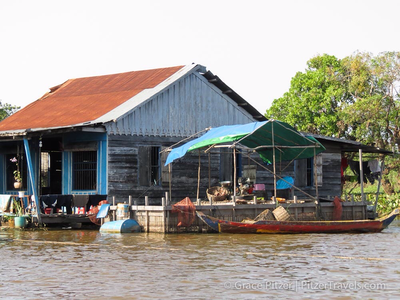 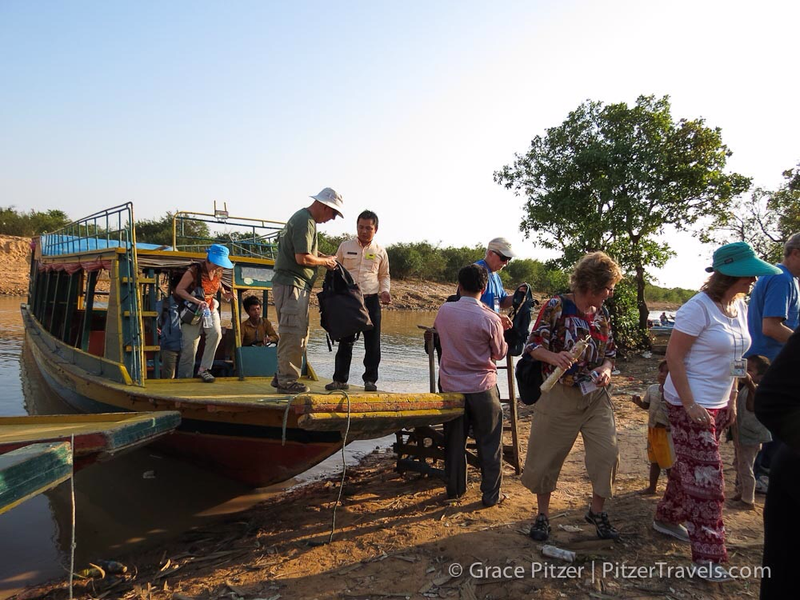 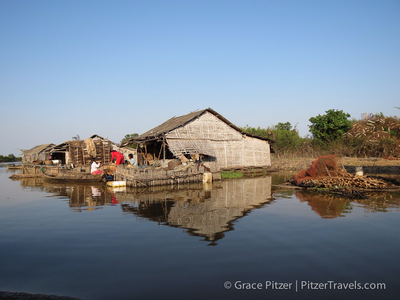 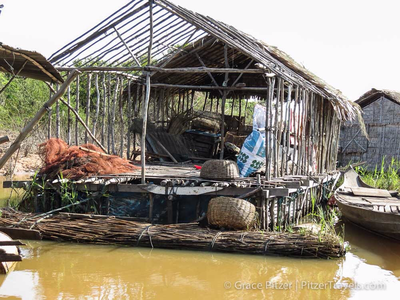 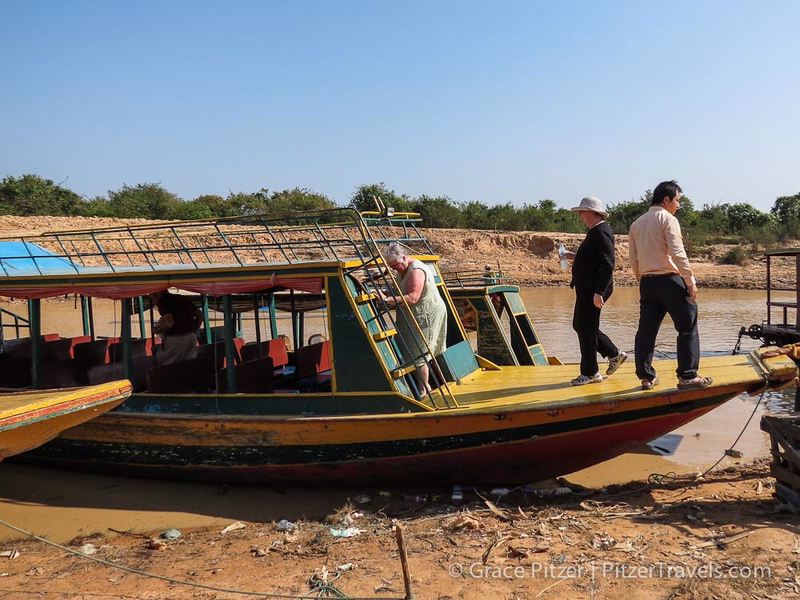 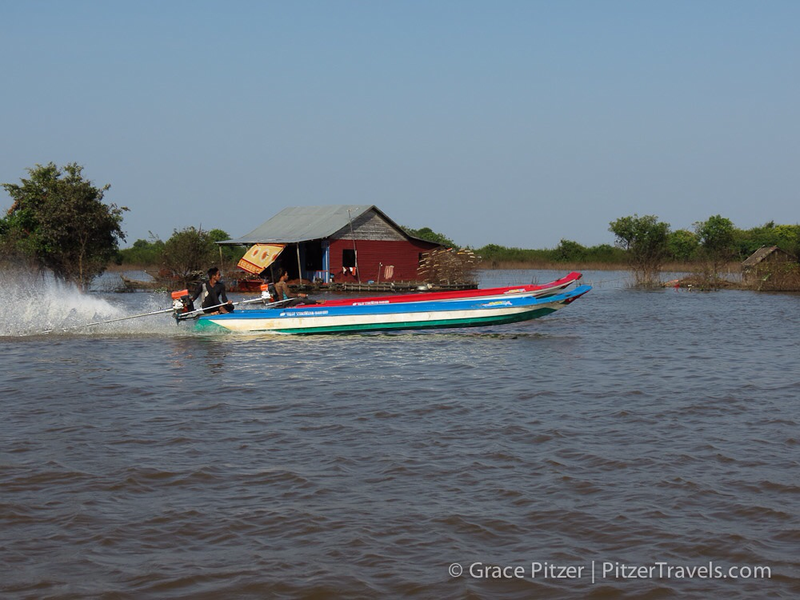 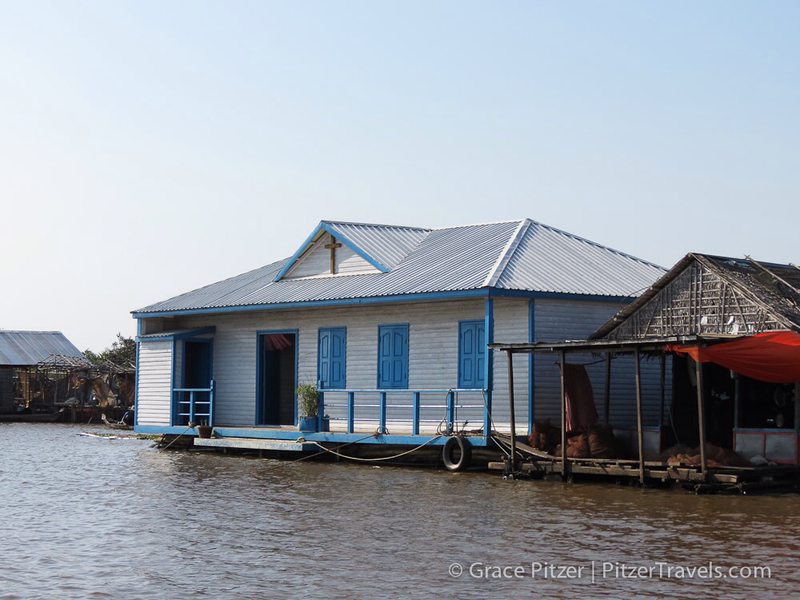 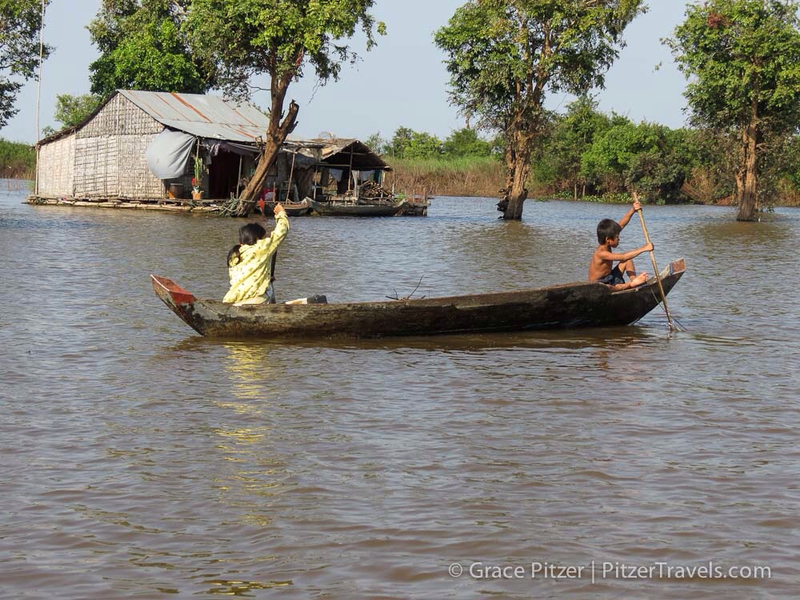 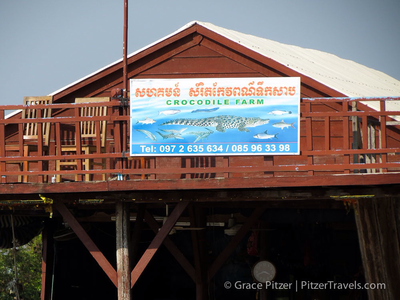 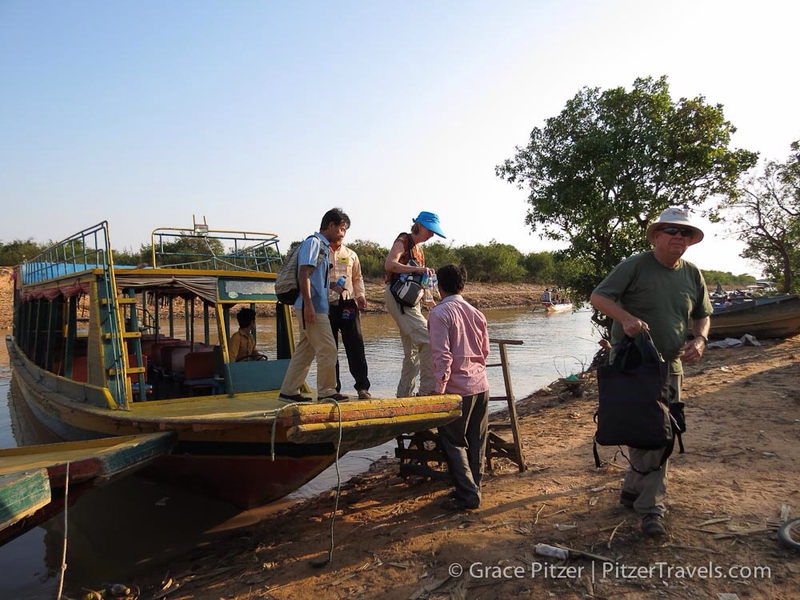 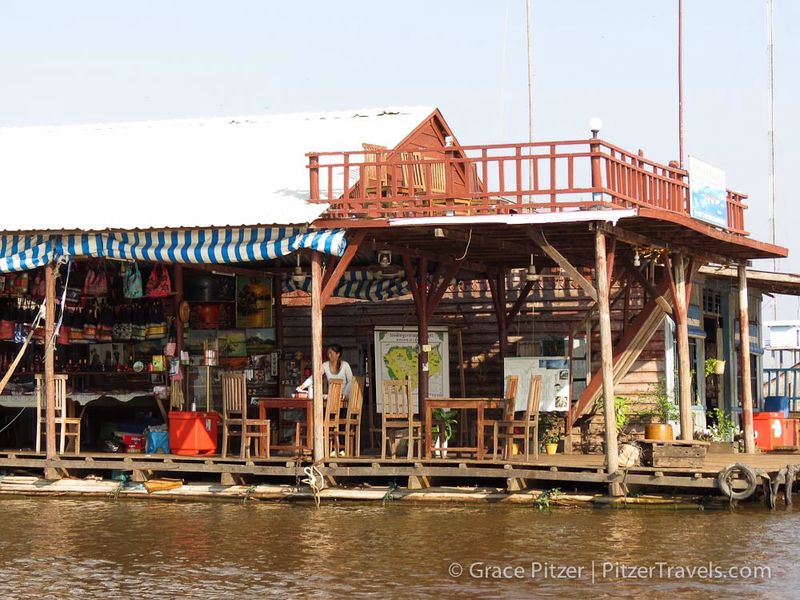 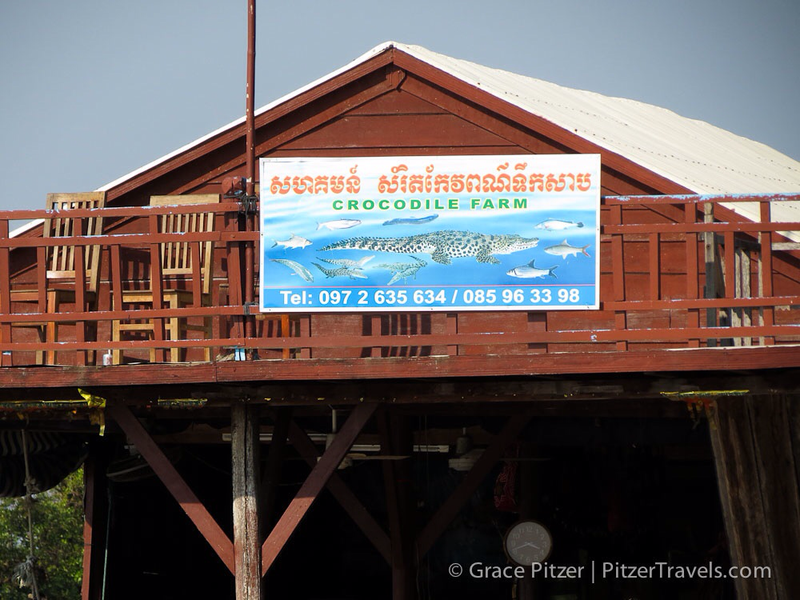 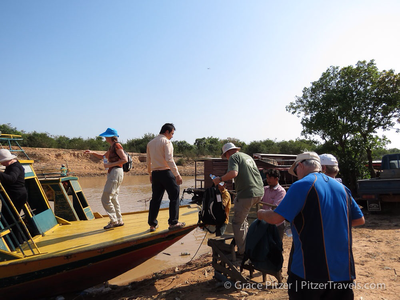 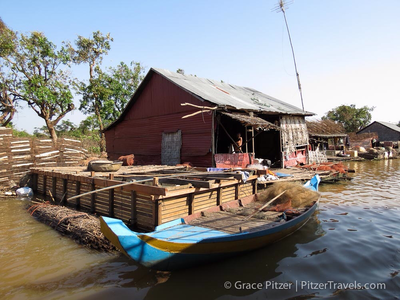 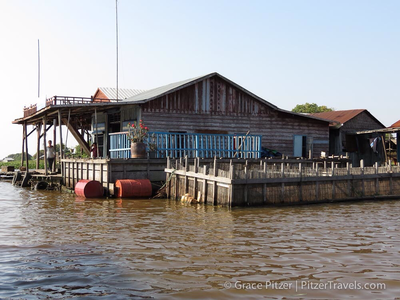 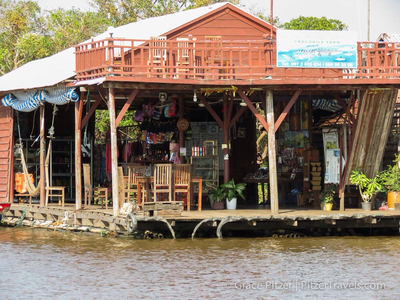 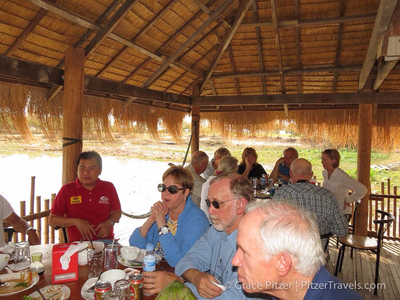 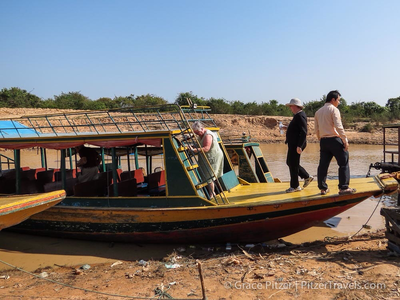 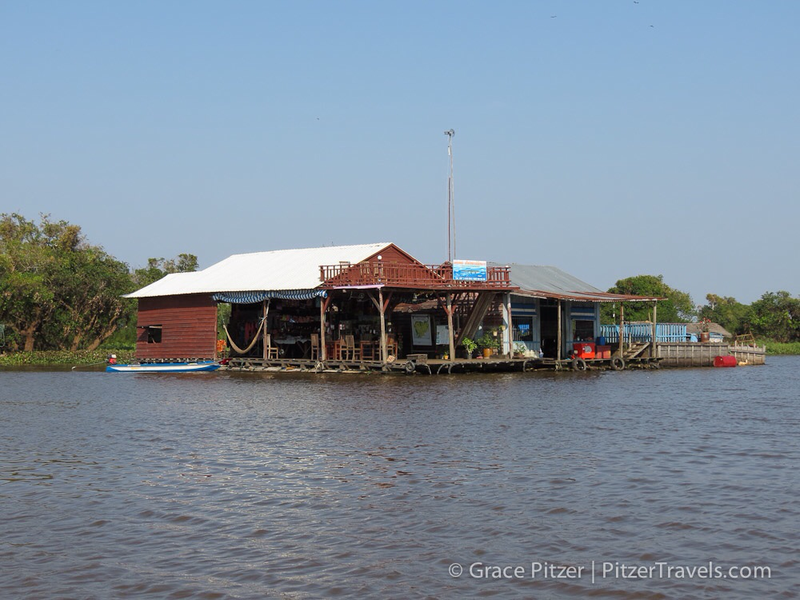 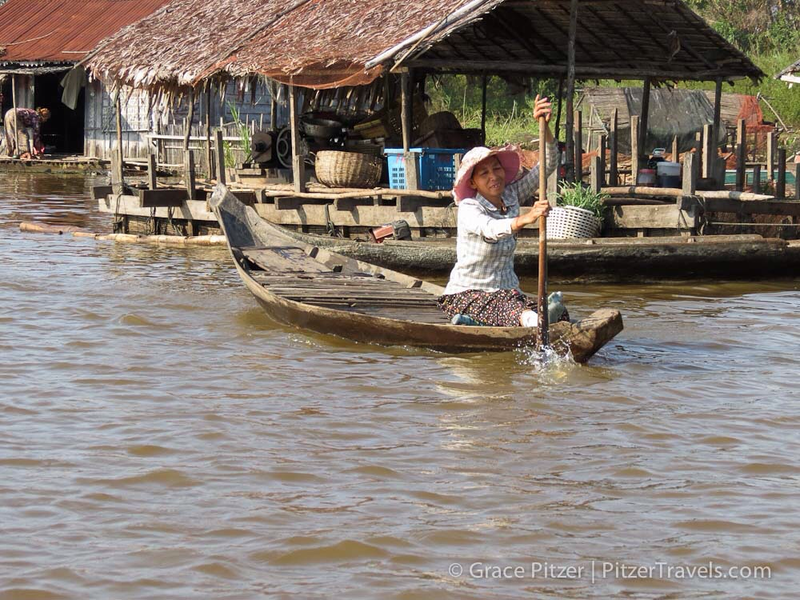 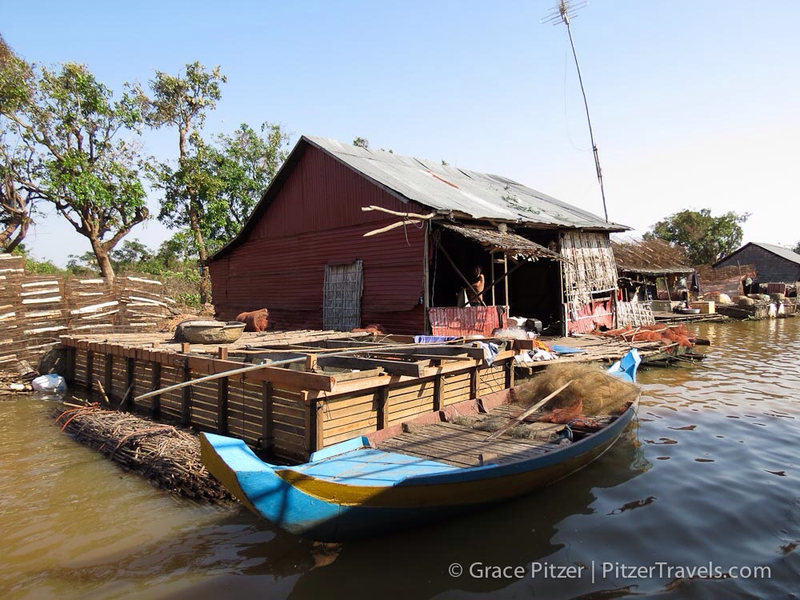 We also took a boat ride on Tonle Sap Lake viewing its many floating villages. 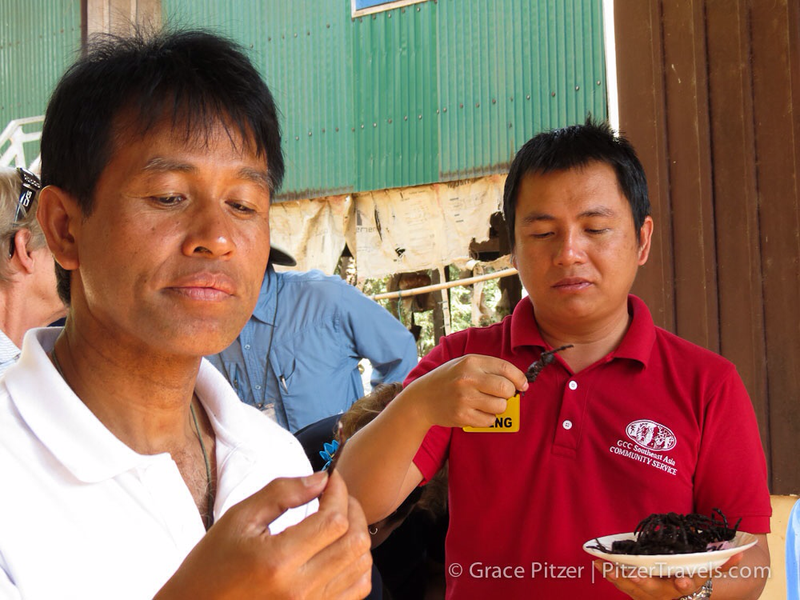 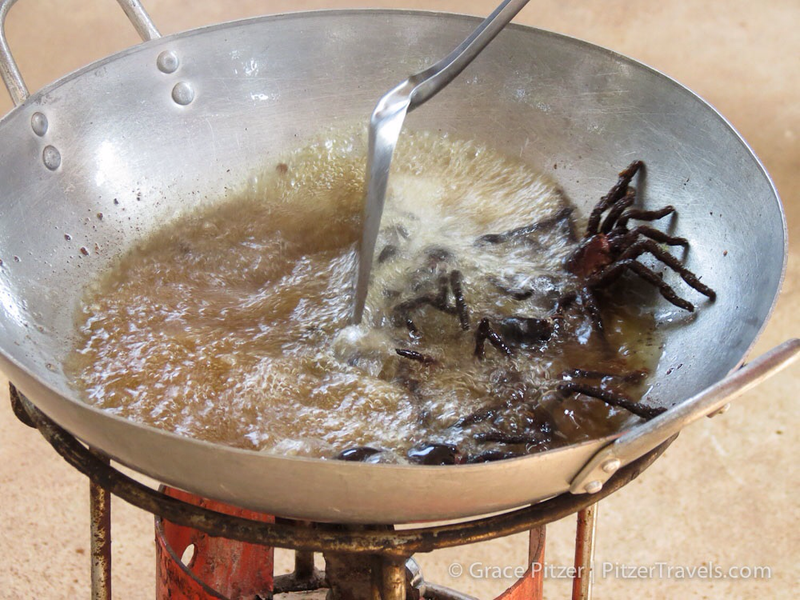 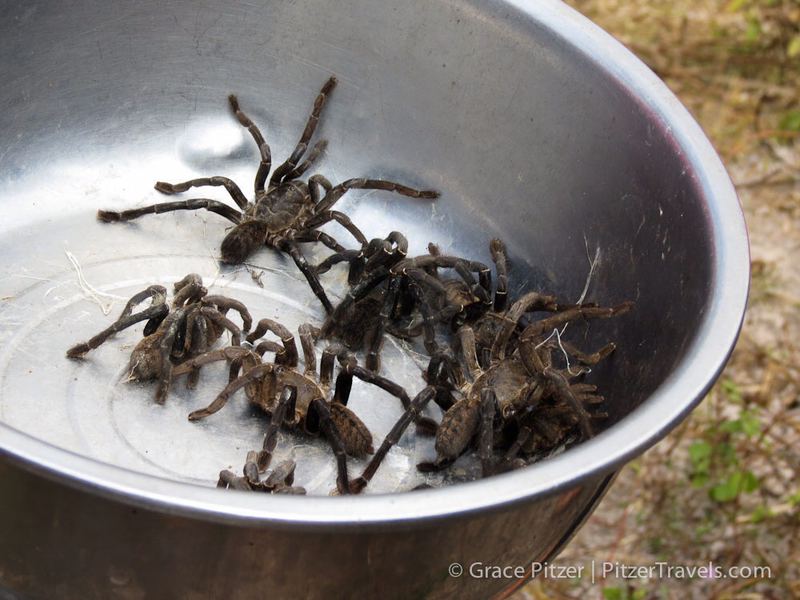 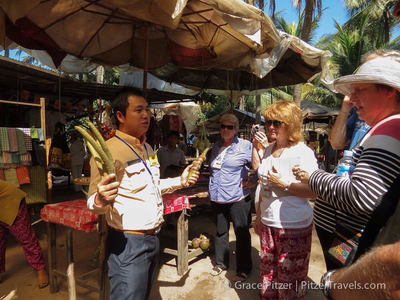 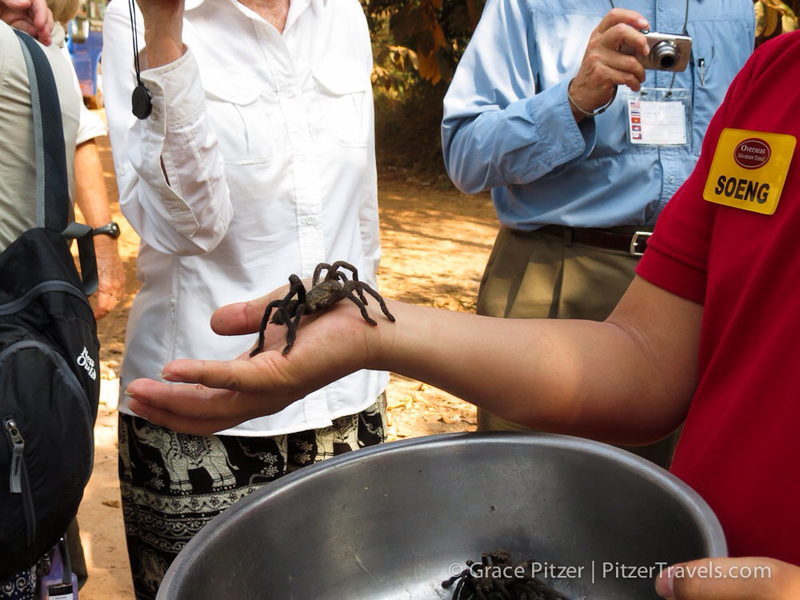 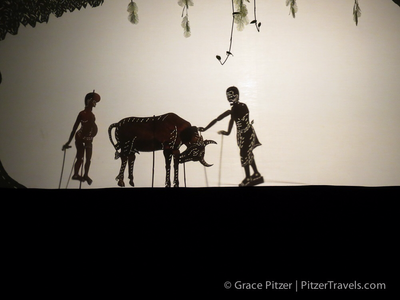 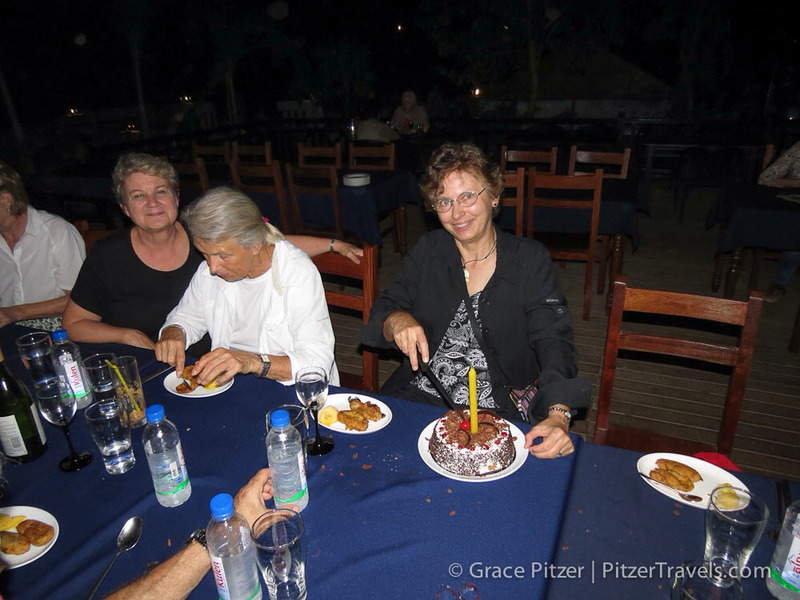 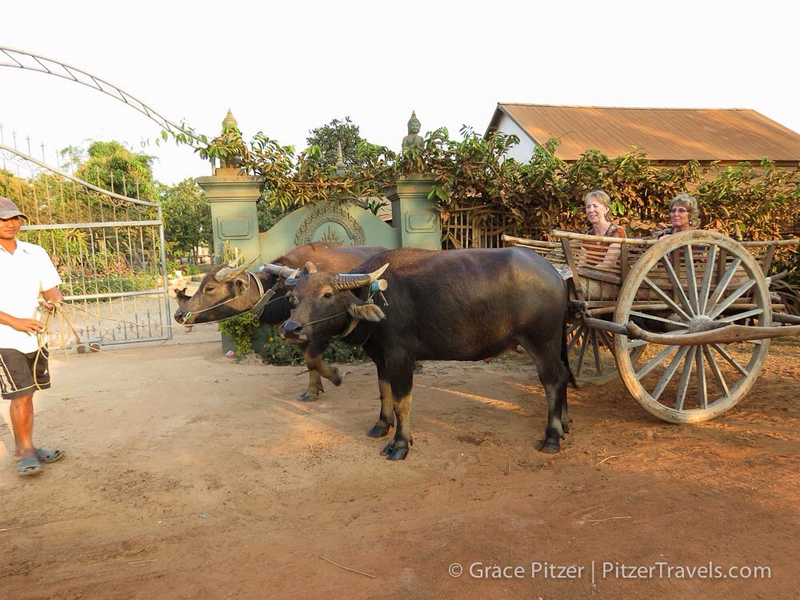 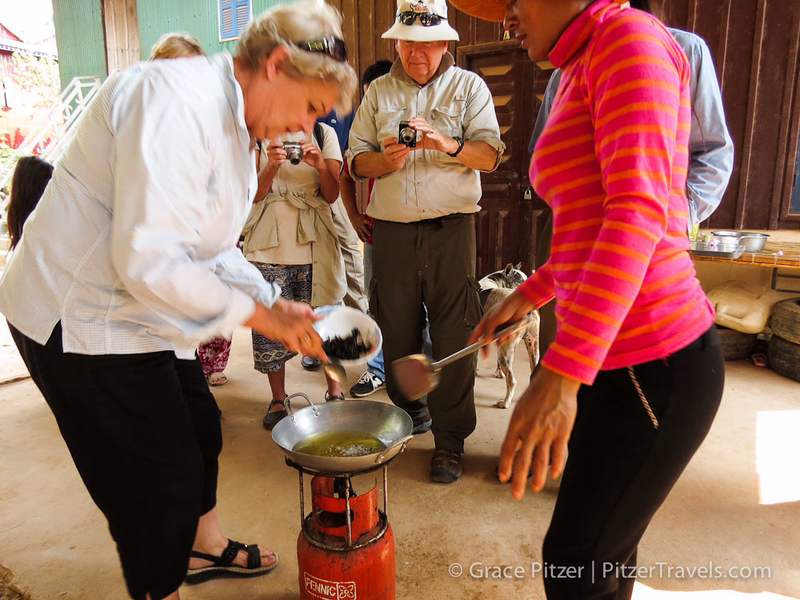 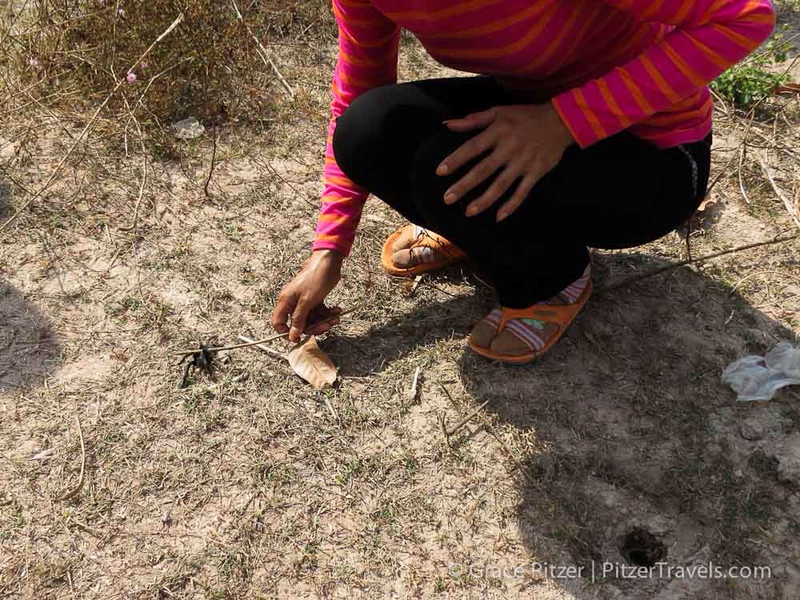 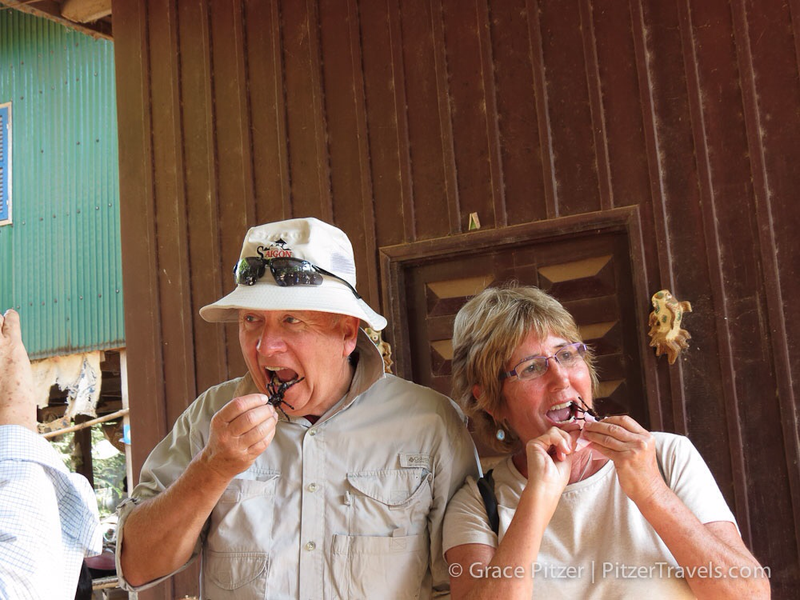 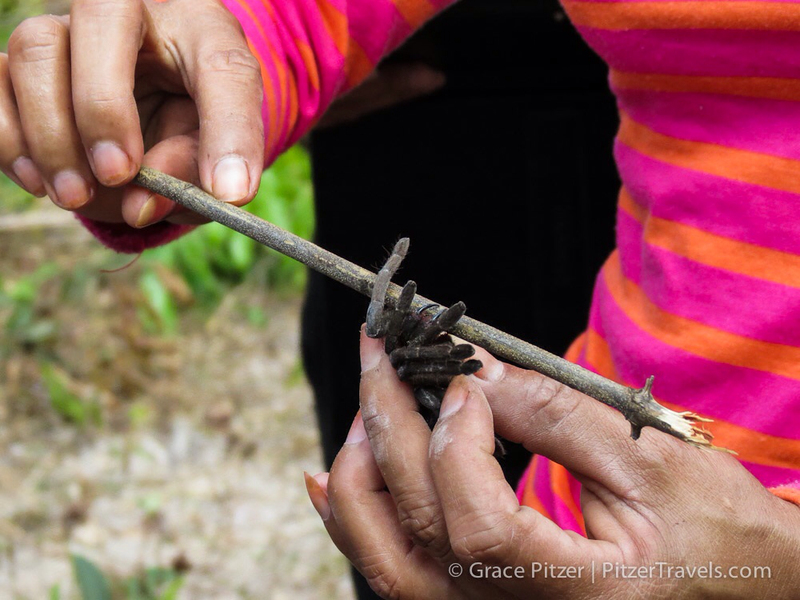 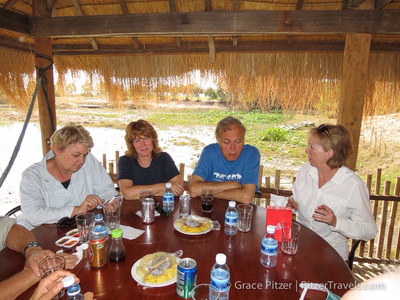 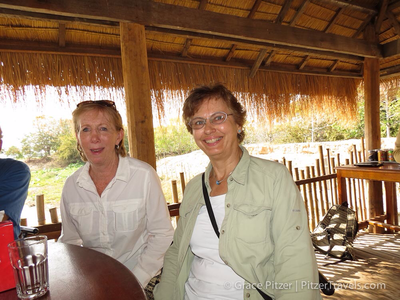 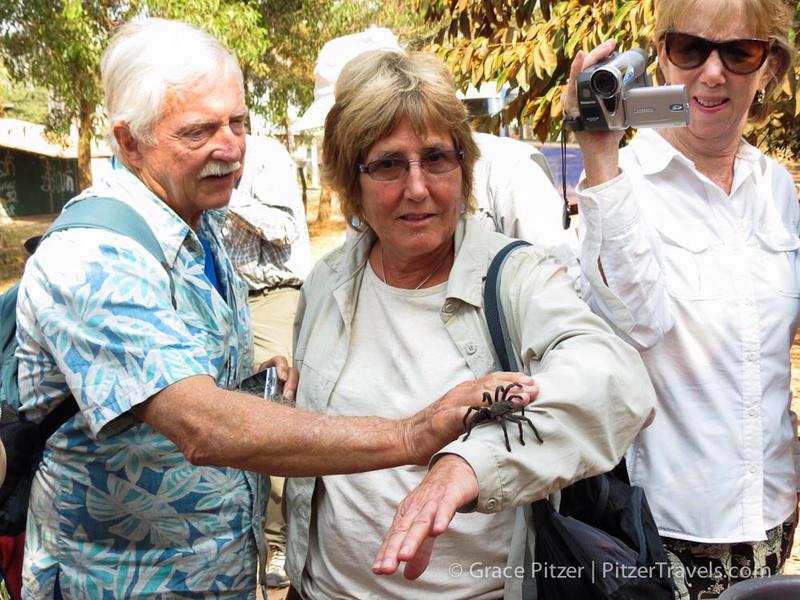 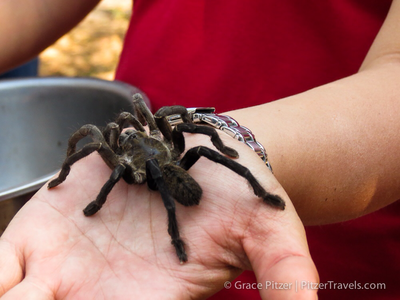 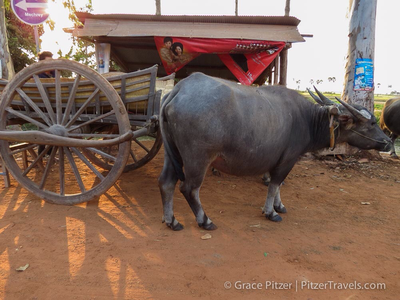 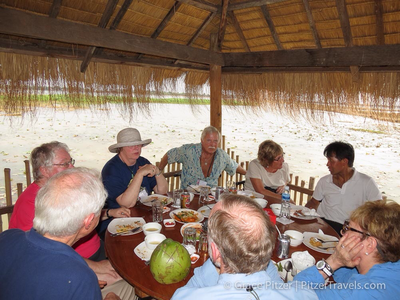 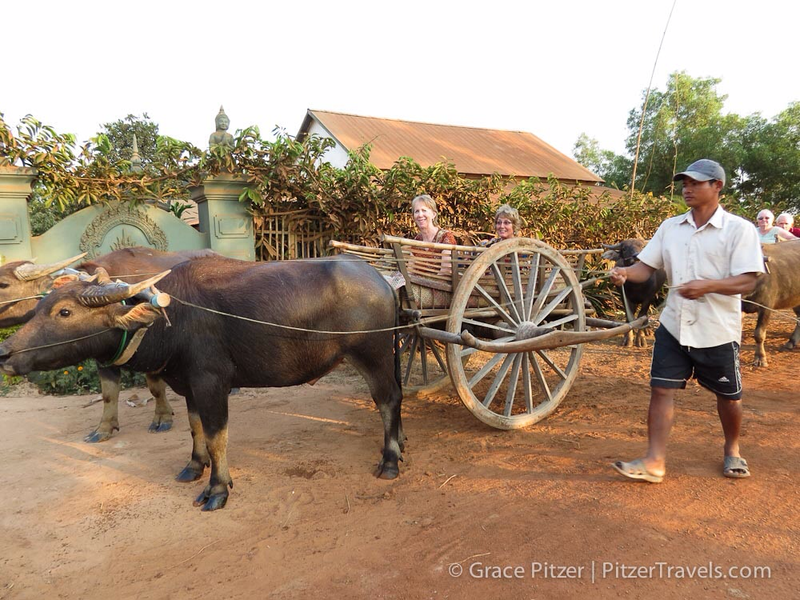 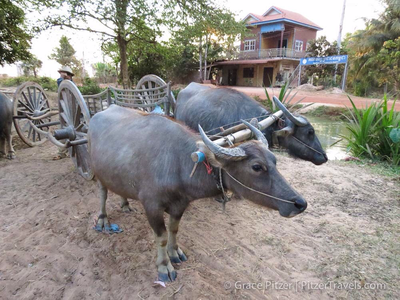 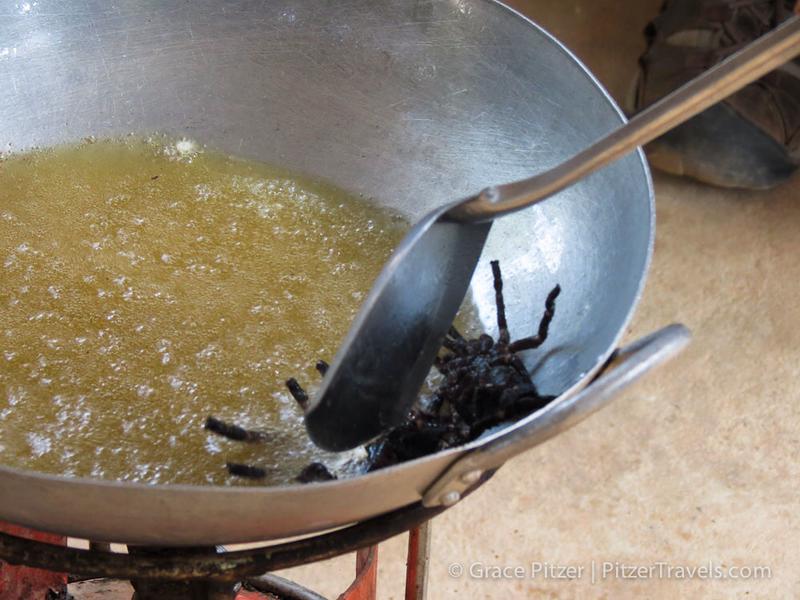 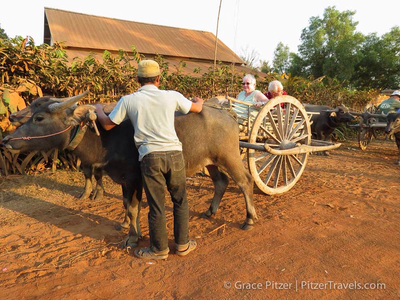 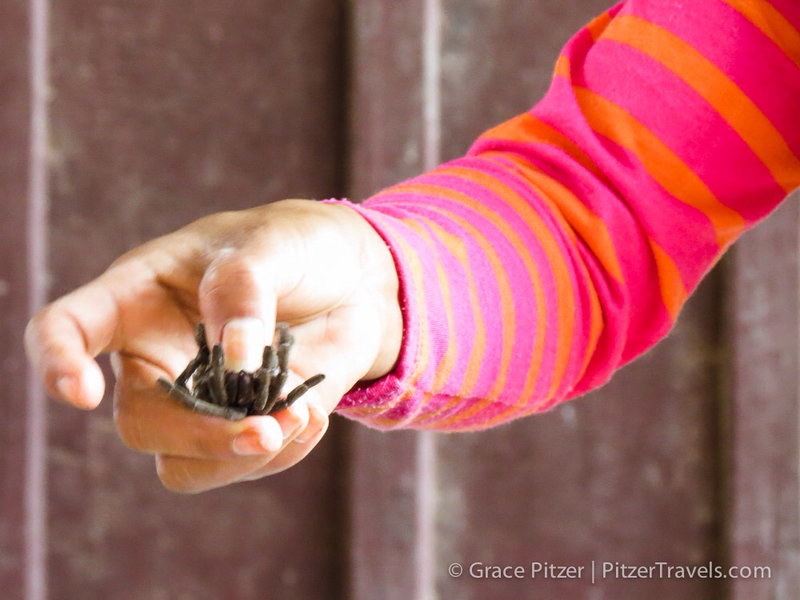 There were a number of “Learning and Discovery” stops, including the tarantula village and a water buffalo cart ride. 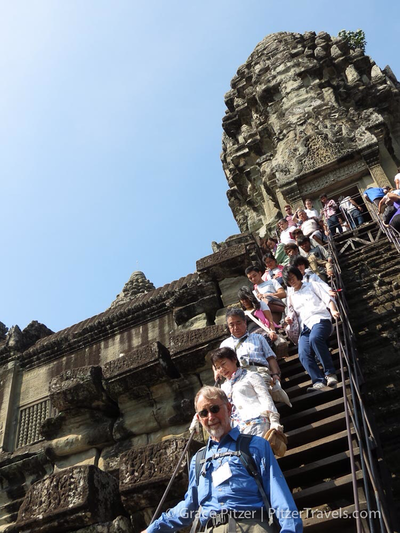 From here it was back to Bangkok for a final night and then the long flights home.